SELLERS: ADVERTISE YOUR CAR HERE Did you know? This page is viewed by thousands of new visitors everyday and photo ads on this page are only $10. PHOTOS MUST BE OF THE ACTUAL ITEM FOR SALE. To learn more about advertising on this page click here TO VIEW CARS THAT HAVE BEEN SOLD scroll down to the bottom of the page. 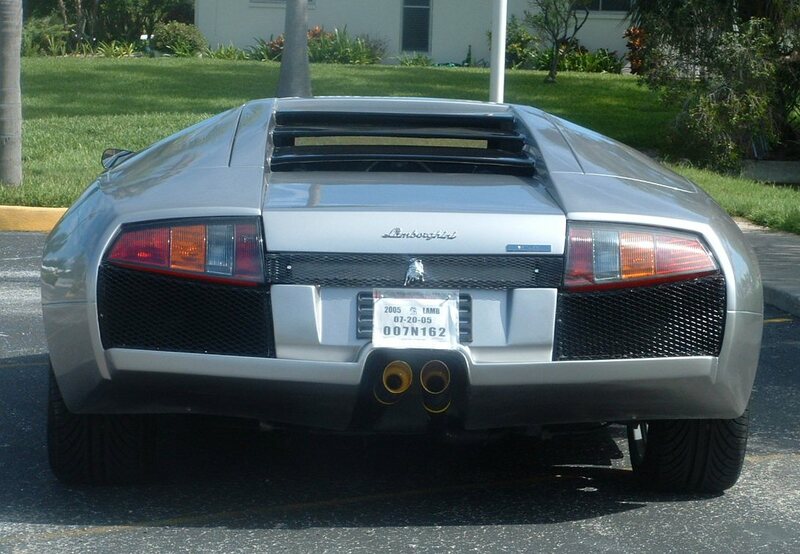 LamborghiniReplica.com cooperates with all local, state, and federal agencies investigating consumer fraud and false advertising. DISCLAIMER: The publisher makes no warranty, either expressed or implied, as to the accuracy, effectiveness, or completeness of the following material and assumes no liability for damages, either incidental or consequential, that may result from the use of this information: *** WARNING *** We highly encourage potential buyers to physically inspect any and all vehicles before giving anyone any money. Have a local dis-interested 3rd party inspect the vehicle if it is not possible for you to inspect personally. 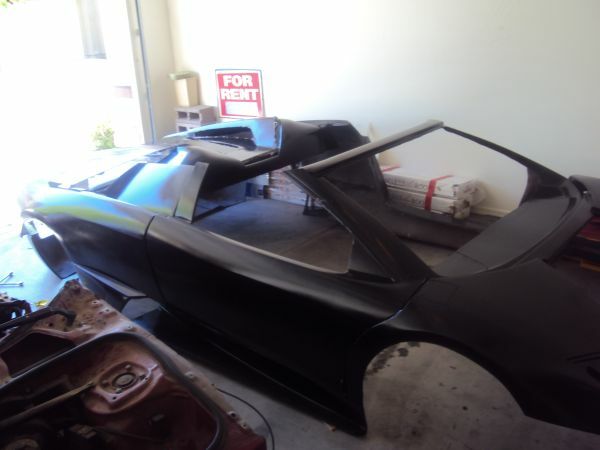 FOR SALE: 2000 Lamborghini Diablo replica Roadster. This has been my dream forever, but its time to go. I have had a few of these cars ,and this, is one of the better ones, for sure. I just don’t have time or space. 350 v8 plenty of power with a Kelmark transmission Learn more click here. 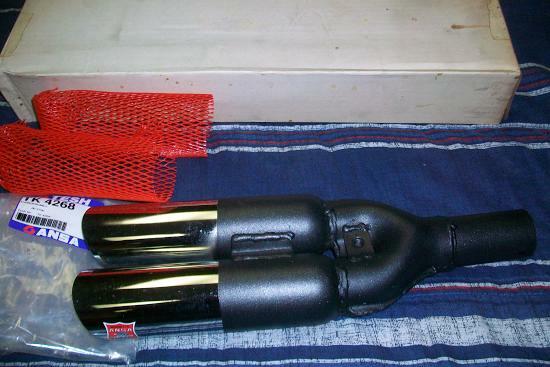 FOR SALE: New Original Ansa exhaust tips for Lamborghini and Ferrari. $350.00 pair. 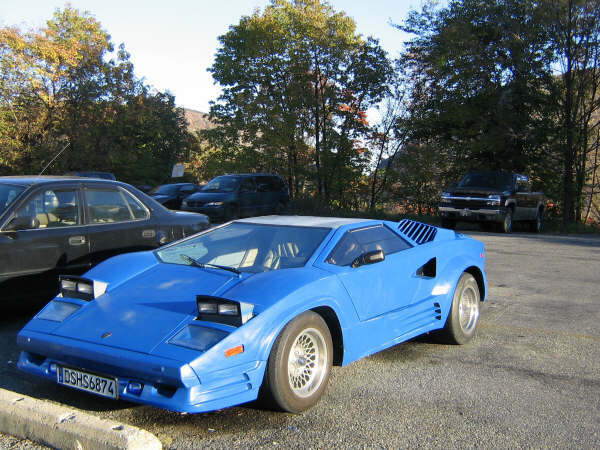 FOR SALE: Countach aluminum grills. Price on request. 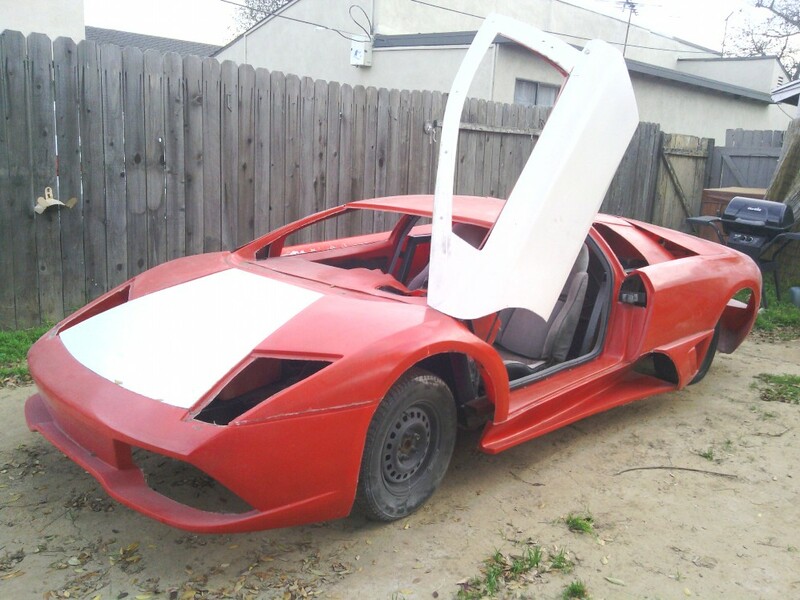 FOR SALE: Lamborghini LP640 replica. Interior is 100% genuine leather upholstered. Many parts are made from carbon. Payneed music system CD, DVD, TV, PDS, Rear camera. Xenon front lights and LED rear lights. Poppers at the doors and many other additional things. Engine is 2,000cc, 176hp from the donor car Toyota MR2. Learn more. Click here. 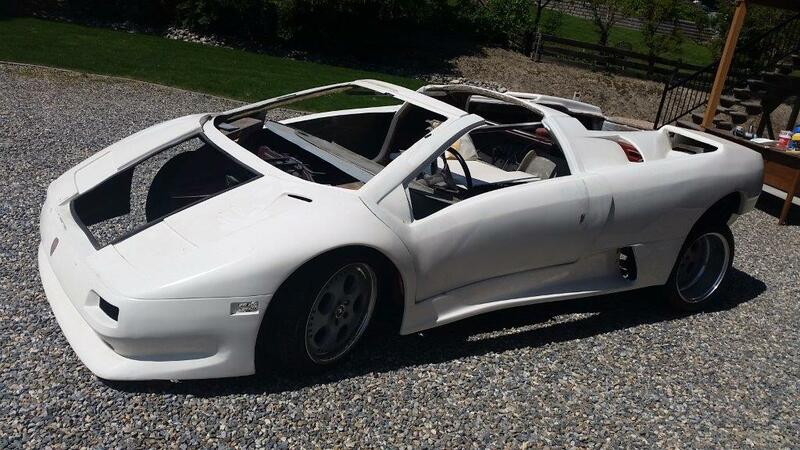 FOR SALE: Lamborghini Diablo replica. All the hard work is done...95% complete....needs very little...runs and drives...needs mainly paint and interior to be finished... I have started on the interior with a black suede dash mat, black suede back wall, black suede head liner and some black carpeting...needs the carpet finished, seats recovered and door panels recovered...has a total custom tubular boxed frame and chassis...coil over suspension...lean more click here. 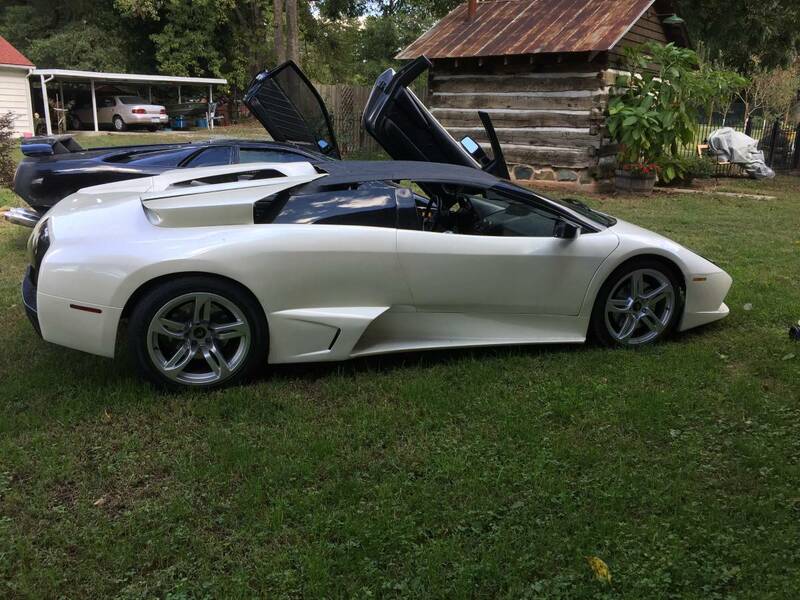 FOR SALE: Lamborghini Murcielago 2010 Replica. Based on a 2004 Toyota MR2. Only 29,000 miles. FOR SALE Lamborghini Murcielago replica headlights fiberglass parts only. NO LIGHTS AND CLEAR COVER INCLUDED (3 TO 6 DAYS TO MAKE)... PAY PAL ONLY or send email streetgraphics@live.com for more info. Thanks.... $270 free shipping in USA. 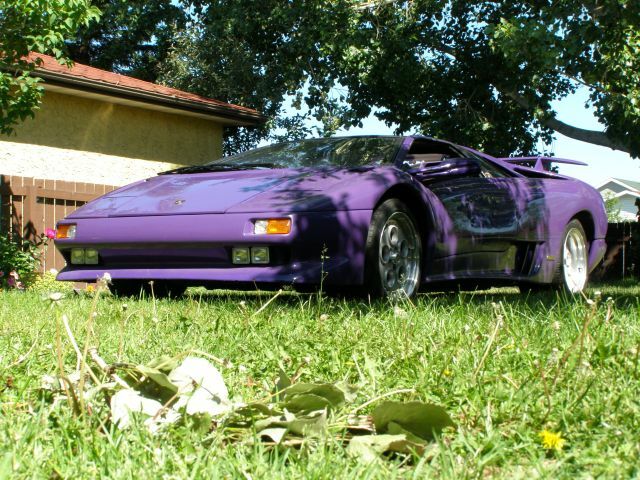 FOR SALE: Lamborghini Diablo replica. 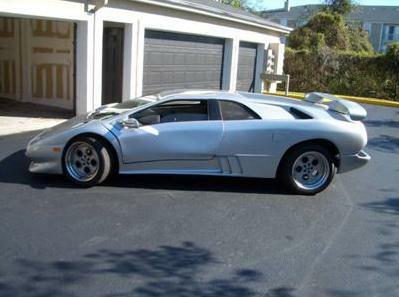 Built on a stretched 1986 Pontiac Fiero with automatic transmission and 3800 supercharged engine. I have most parts to finish. Needs interior, wiring, and paint. Windows are a project. I have over 14k invested in it. Sacrifice for $9,000 cash. I have the title for the Fiero in hand. Located in Chicago area 60005. Call me (847) 414-3709 jackdabears@icloud.com More photos click here. 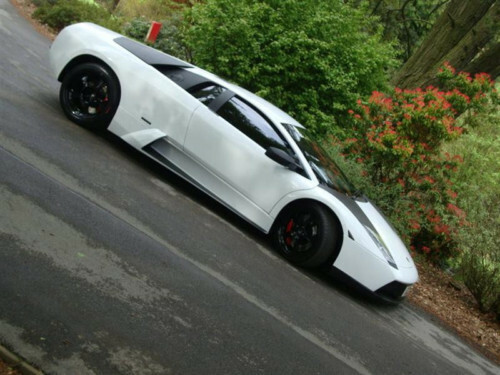 FOR SALE: Murcielago LP640 replica. Based on Fiero 6.5 with electric super charger. Adjustable suspension , this is a roadster Murcielago LP640 (Kit body 2009 model, 1990 engine), with all interrogators remake, Lamborghini engine cover, original Kenwood touch screen radio and music, all the buttons are made in Lithuania. All interior covers are in carbon fiber . For more pictures or info JUST TEXT OR EMAIL atcyntg@hotmail.com Tel: 787-214-7376 No criticism, no dreamers, cash on hand only! 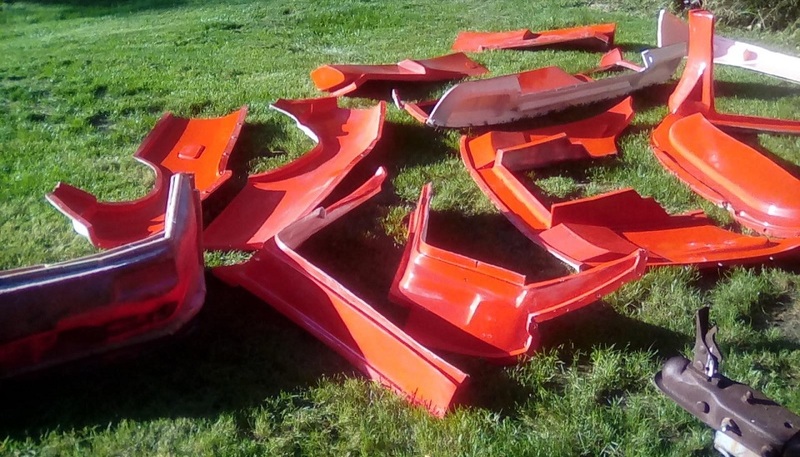 FOR SALE: 2 LP640 exterior kits for sale. Pick up yourself in a pick-up truck or pay shipping (El Paso, TX 79936). 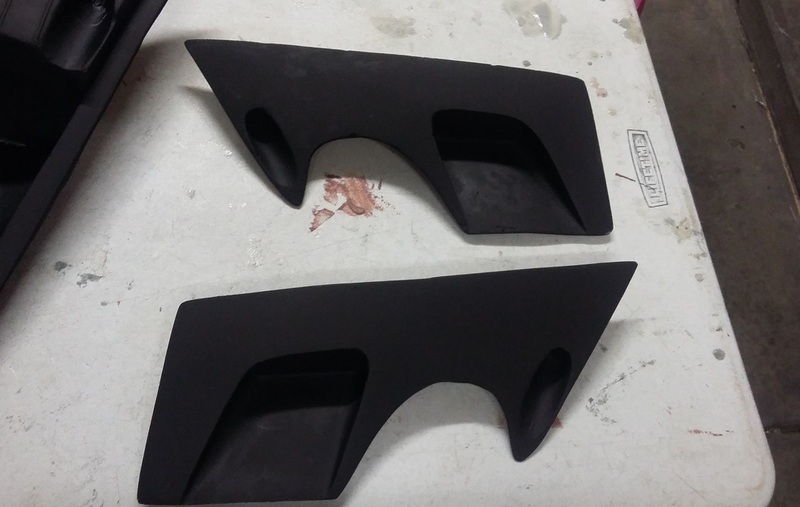 1 Black Color, Thick, Strong, and Smooth kit $4870 (includes only exterior fiberglass pieces with rear view mirrors plus middle door cards, no inner door cards, color is no longer shiny due to weathering). 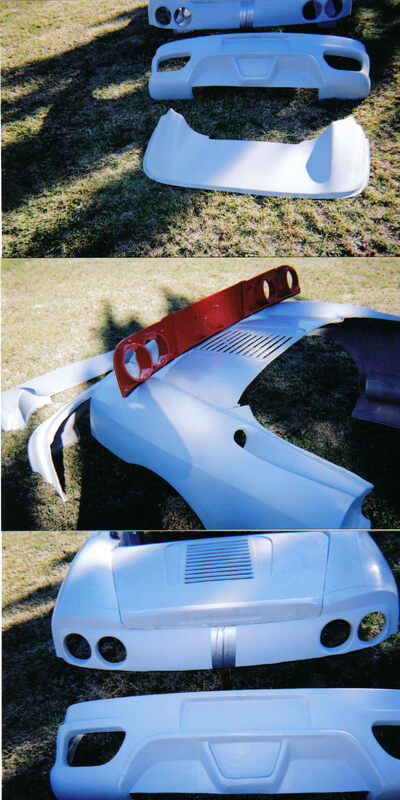 And another 1 Resin Color, Thin, Light, and rough kit $1000 (no rear view mirrors or middle or inner door cards). Text John 915-856-0953. 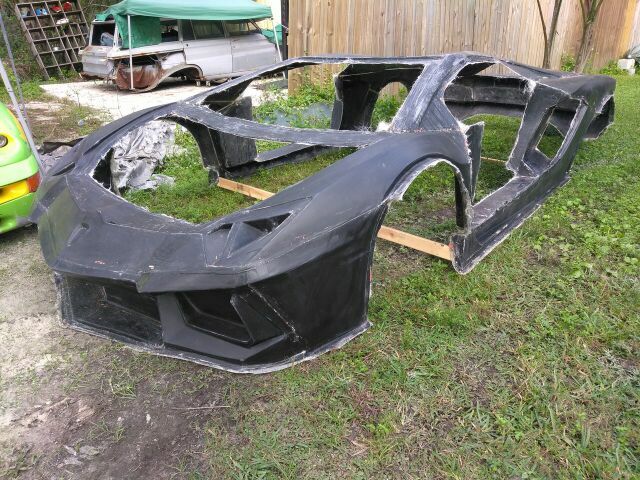 FOR SALE: Lamborghini Reventon Replica Body Kit. Kit comes with: one piece body, hood, rear engine bonnet, both doors, and inner door tubs, mirrors, full interior, dashboard, gauge pod, inner door panels, center console, and the right and left seat. Available in a Hardtop or Convertible. Complete kit cost $7500. Wood shipping crate $400. Freight shipping cost is extra. 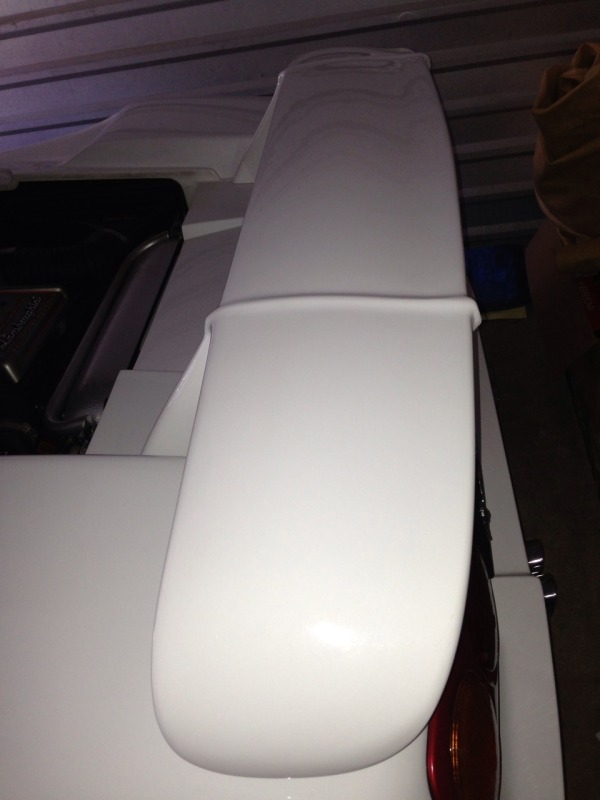 Body is hand laid commercial grade fiberglass. By Dur-A-Flex Motorsports, 875 West Shore Rd. 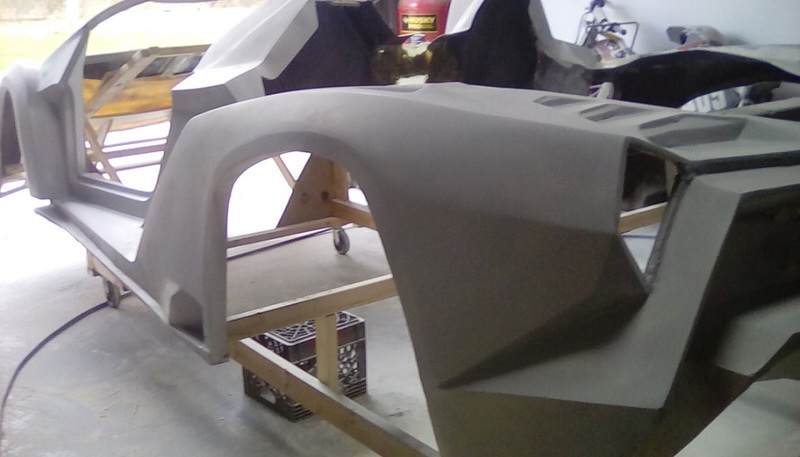 Warwick RI 02889 Work Number - 401 739 0202 Facebook - https://www.facebook.com/duraflex.racecarbodies We also are professional mold makers, give us a call about your mold ideas! FOR SALE: 99 Porsche 911 Carrera 4 all wheel drive convertible. 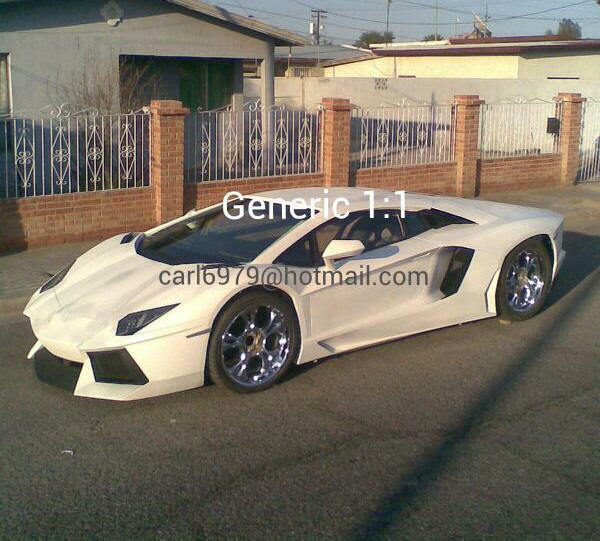 I'm offering the car as a trade for Lamborghini replica or Ferrari. Your car must be as nice as my car. A few things about my car . It absolutely needs nothing. All it need is gas and a driver. Less then 7k in new engine cost of engine 11,000.00 receipts to prove it. Car is in amazing shape runs and drives like a champ with out noises. Learn more click here. 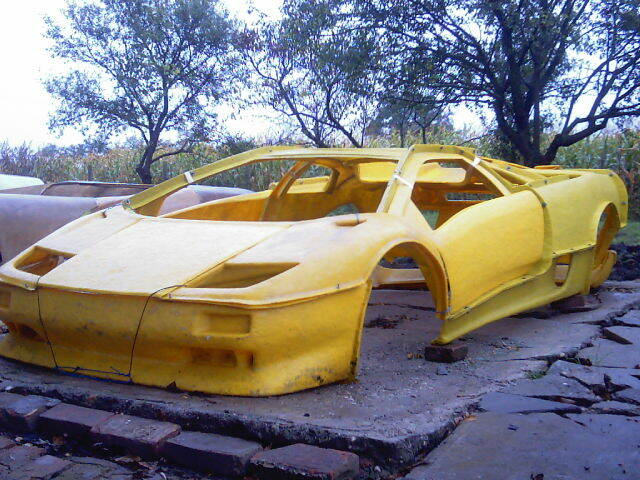 Learn how to build a Lamborghini Diablo replica. 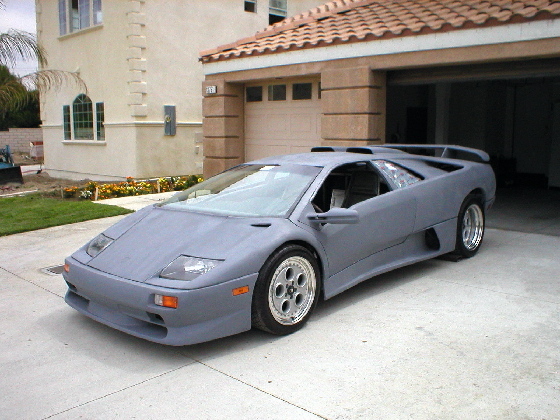 The "Fifteen Dollar a Day Diablo" was a project undertaken by Fred Nelson Fabrication in conjunction with LamborghiniReplica.com with the goal of building a custom chassis 7 liter Lamborghini Replica on a $15 a day budget. The project was such a success that we decided to write a book. We painstakingly assembled dozens of photos, illustrations, and patterns together with more than 14,000 words in an informative eBook on how this remarkable machine was built. Available on-line or on a PC compatible compact disk. Learn more click here. SPECIAL OFFER FOR LamborghiniReplica.com visitors. FOR SALE: 24 inch "Lamborghini" sign. Made from laser cut wood. $32.99 includes shipping (USA only). Produced by MyLaserCutting.com. Easy to purchase, just click the 'BUY NOW' link below. 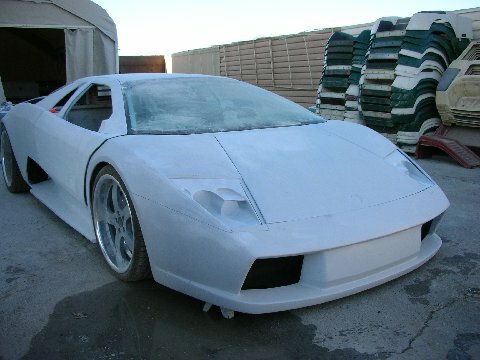 FOR SALE: UBER RARE........OEM Lamborghini Murcielago RGT official race car parts. These are not fiberglass pieces but a full carbon fiber body panels made by Lamborghini Spa with conjunction with Reiter Engineering from Germany. They are very lightweight and will bolt on to a real car. 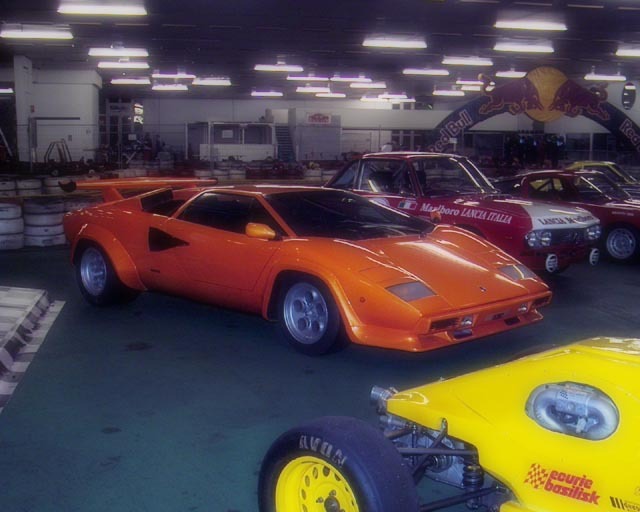 Own a piece of the Lamborghini race history or build your ultimate replica. Some are new some were used on the actual race cars. More information and photos click here. 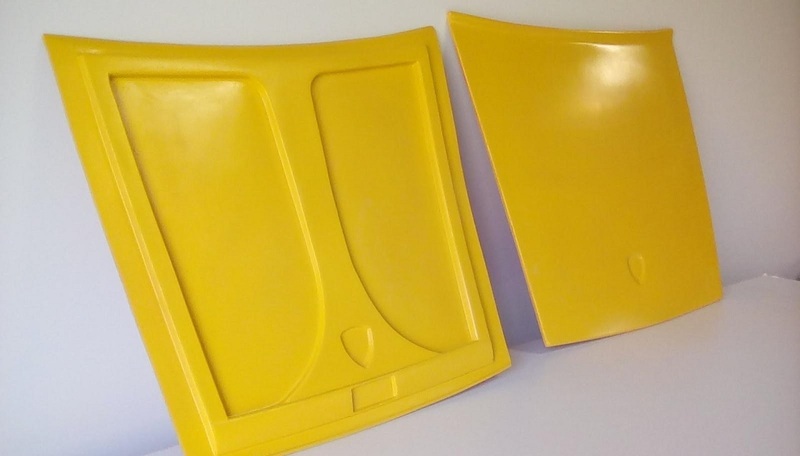 FOR SALE: Lamborghini Murcielago LP640 (G28/Murci 2) Fiberglass Kit Panels (not the car, only exterior panels) to make Kit Car Replica - For Sale only $1870. For info and details contact John at 915-856-0953 text/call & leave message or at john_m_79936@yahoo.com I can crate it for $170 if needed. 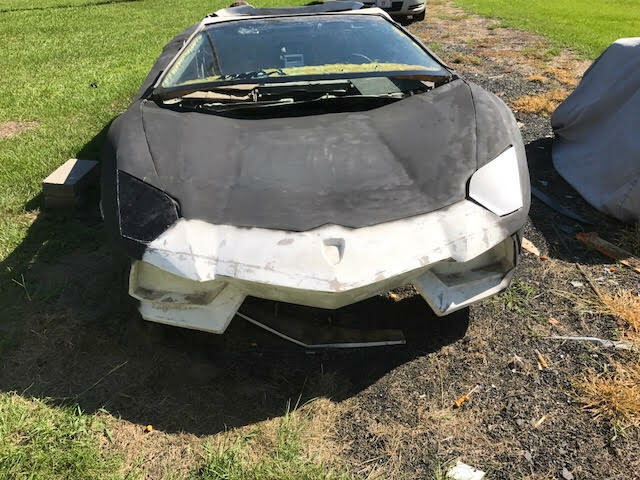 FOR SALE: Lamborghini Murcielago replica. 2008 model.. This is a once in a life time opportunity. This car is gorgeous. It gets extra attention and turns heads everywhere I go. I bought it about a year and half ago and I have been treating like a star because everybody wants to take pictures and talk to me about it. I m selling it because of some personal issues. 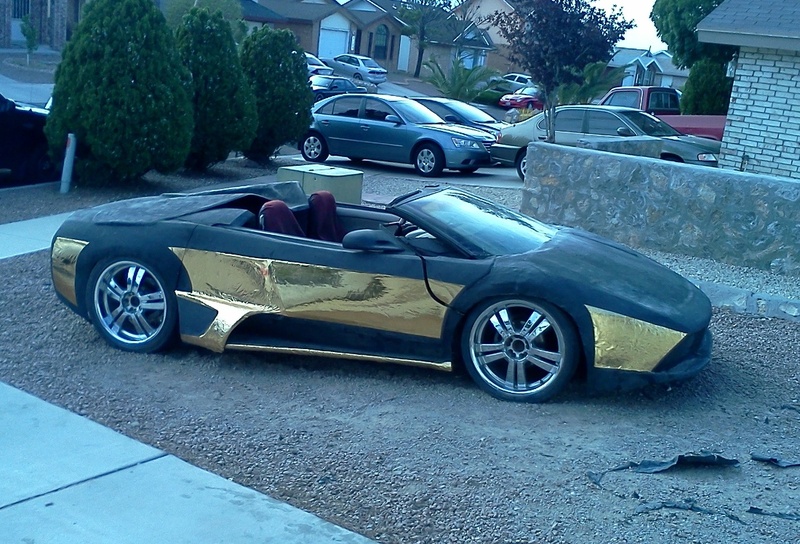 This Lamborghini replica is based on a 2008 Pontiac Solstice. The mileage is very low so it's almost a brand new car. Runs smooth, and drives fast. Learn more click here. FOR SALE 03 Ferrari Enzo Replica 1/1 in USA. 2003 Ferrari Enzo kit car, based on a 1992 Toyota MR2 T-Top NA. 1 of 1 in the United States, body was CNC 99% to scale. 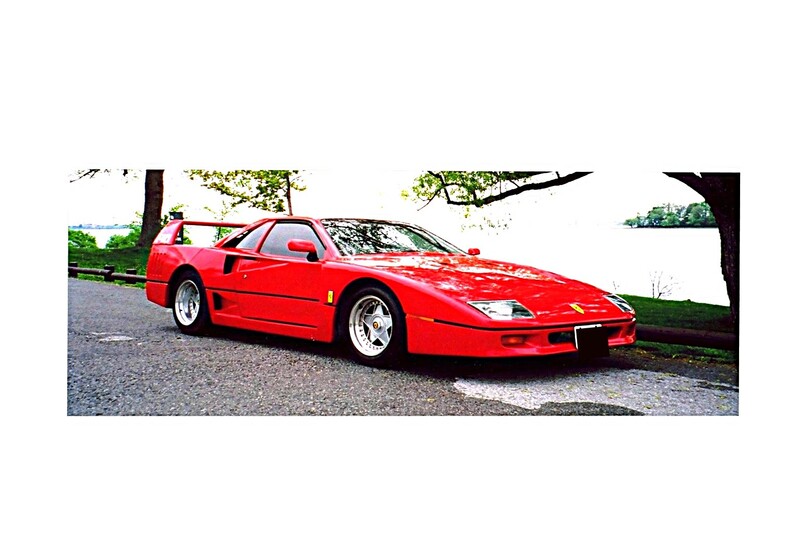 The MR2 was professionally stretched to the exact wheel base of the Ferrari Enzo. Body is 100% mounted and installed, over 500 hours of body work done since the kit was installed to the car to eliminate all imperfections! All panels line up great, all doors, hood, trunk, etc are all hinged perfectly. Learn more click here. 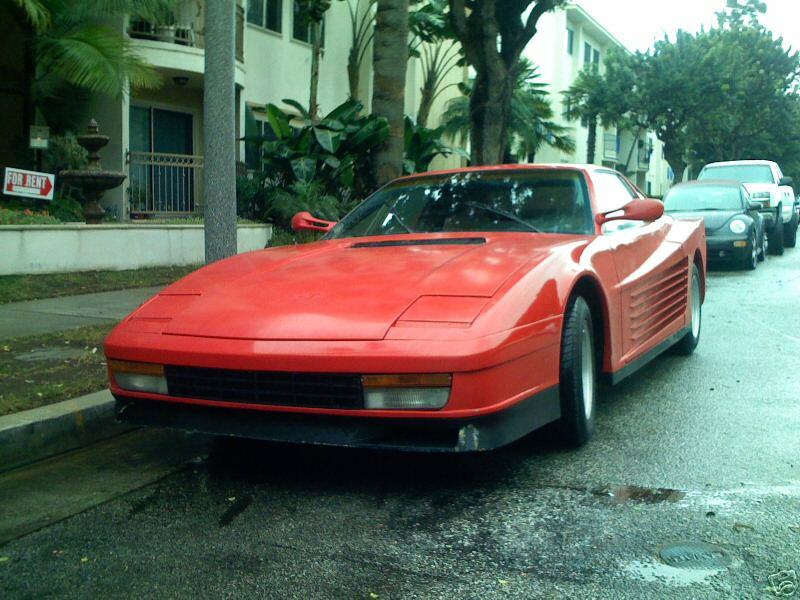 For Sale: 1986 Ferrari Testarossa (real, NOT a replica) 80% complete. 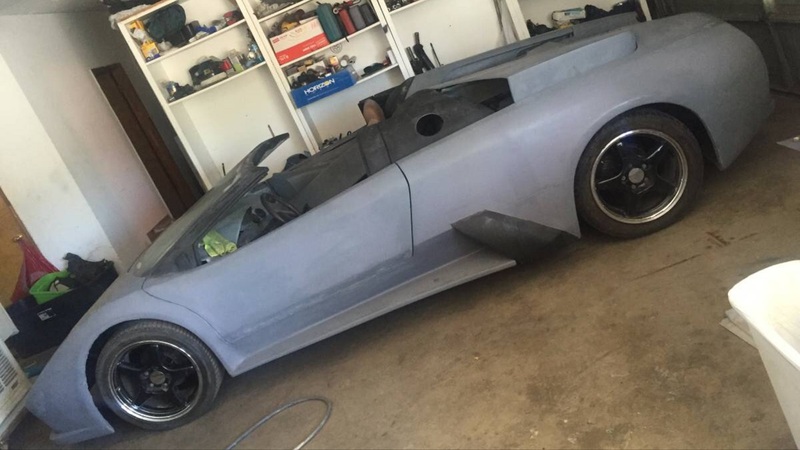 The top has been removed and chassis reinforcements have been installed to make this one of the most unique supercars available. Ferrari never made a convertible version of the TR, and the Straman conversions done in the 80's & 90's were only a handful. The original Ferrari V-12 engine has been totally rebuilt. New clutch, brake booster and master cylinder. More information and photos click here. 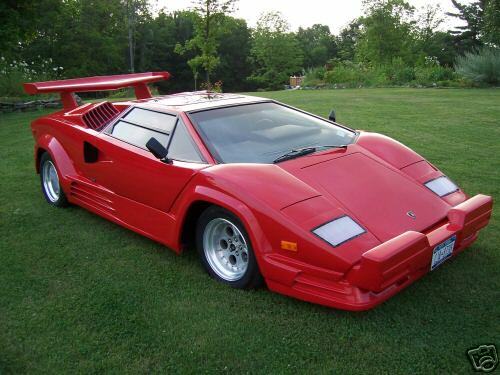 FOR SALE 1988 Lamborghini Countach replica. 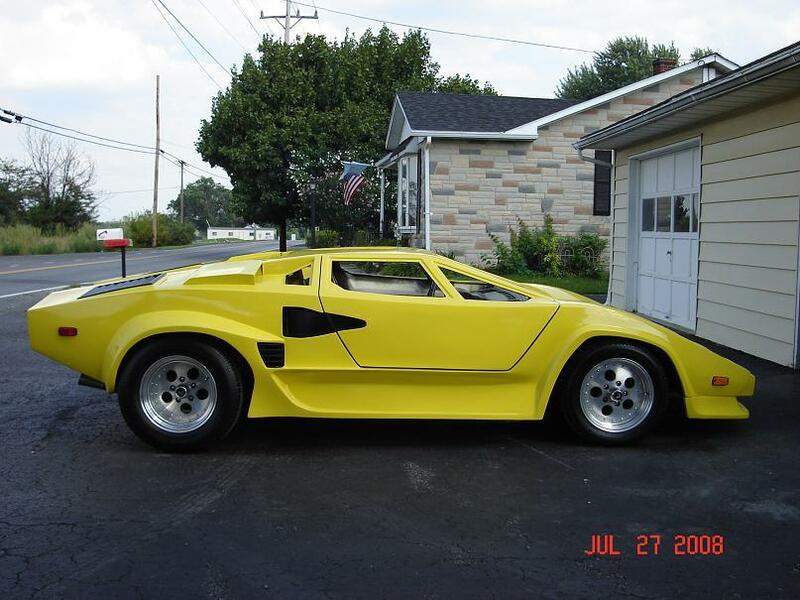 Not a Fiero kit car, totally custom built from the ground up, with lots of authentic features. Tubular steel space frame, Pantera engine and transaxle, Remote door openers Pantera 5-speed transmission, Corvette rear end and suspension, custom steering and front end, dual radiators. Custom leather interior. More information and lots more photos click here. FOR SALE. 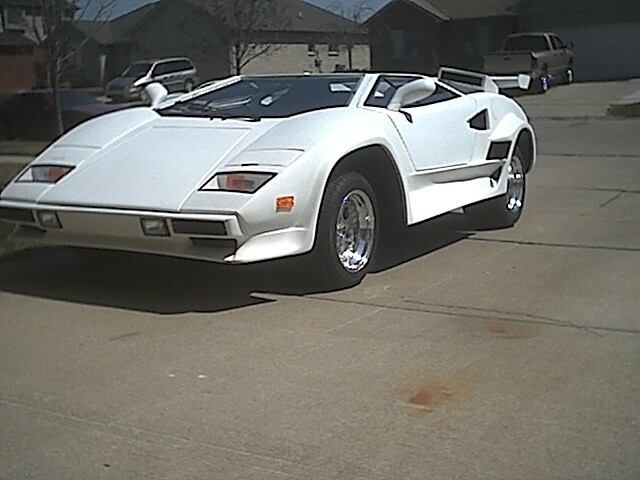 Lamborghini VT Replica. 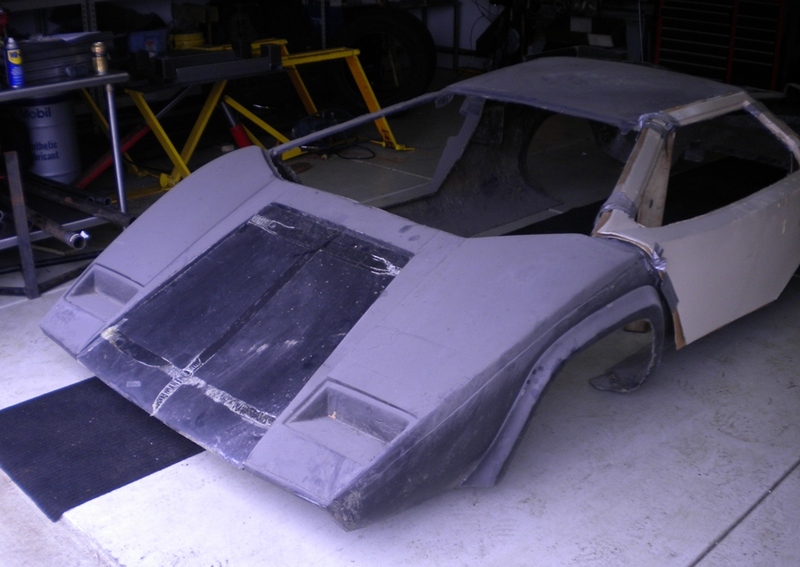 This replica is almost completed, as you can see on the pictures, it is completely body worked and primer with two stage poly primer. North Star engine, automatic transmission. VT Chrome rims with Michelin Radial X Sport 335/35/ZR 17” rear tires, and 245/40/ZR 17” front tires. 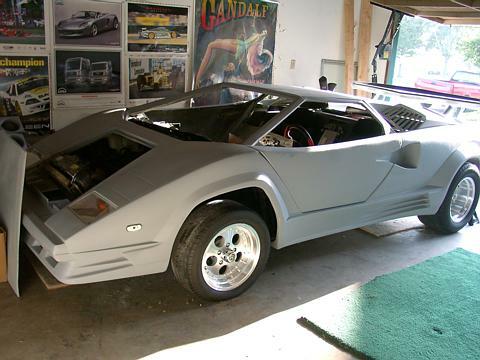 This car is NOT build on a complete Pontiac Fiero uni body, it has a complete engine bay tubular frame, with triangular floor pan support. Coil over shocks front and rear, and customized front and rear suspension. Will Passed smog.. Learn more. Click here. -John H.
FOR SALE RKS /Chassisworks "hybrid" frame. The rear section of the frame is not yet welded to the seating section, to allow for various wheelbases. It includes all the suspension, minus coil over shocks + wheels /tires. It also includes a brand new Wilwood 13" 4 wheel disk brake set-up ($ over $3,000.00+). I'll take $2,700 cash. Just need to get it out of here. (561) 305-9911, leave message. Serious buyers only please. 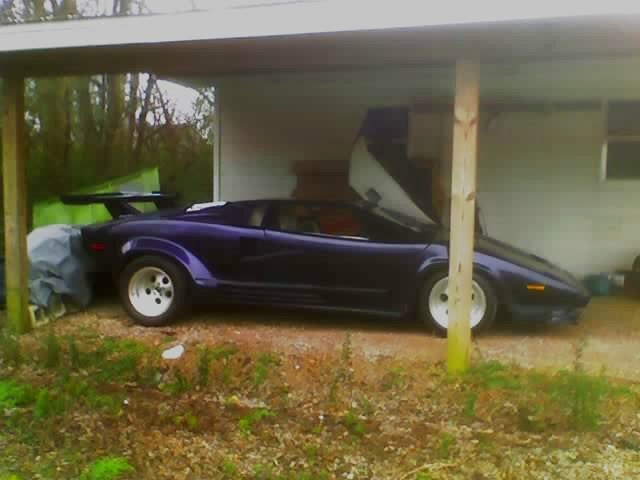 Email: redstone99@comcast.net -Bob R.
FOR SALE Lamborghini Style Bed - $25306. 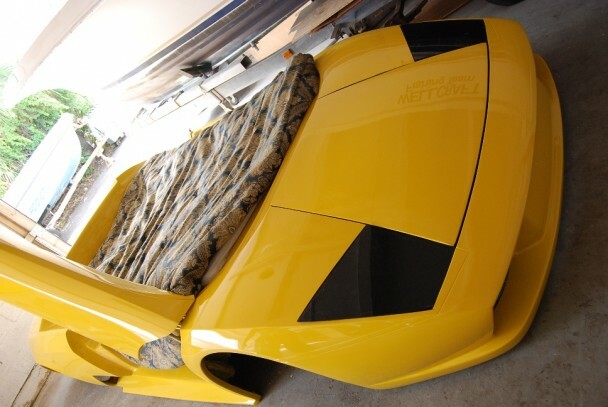 Enjoy maxing and relaxing in this unique Lamborghini bed. 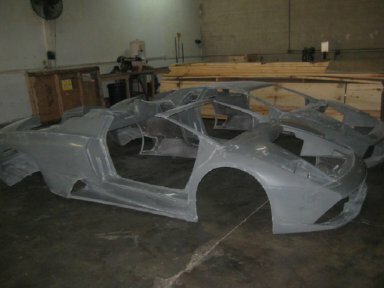 FOR SALE: Murcielago body parts. I had originally bought these parts to fix up a Murcielago but plans have changed. Now they are just taking up space in my garage. They are made of Carbon Fiber and are still in excellent condition. 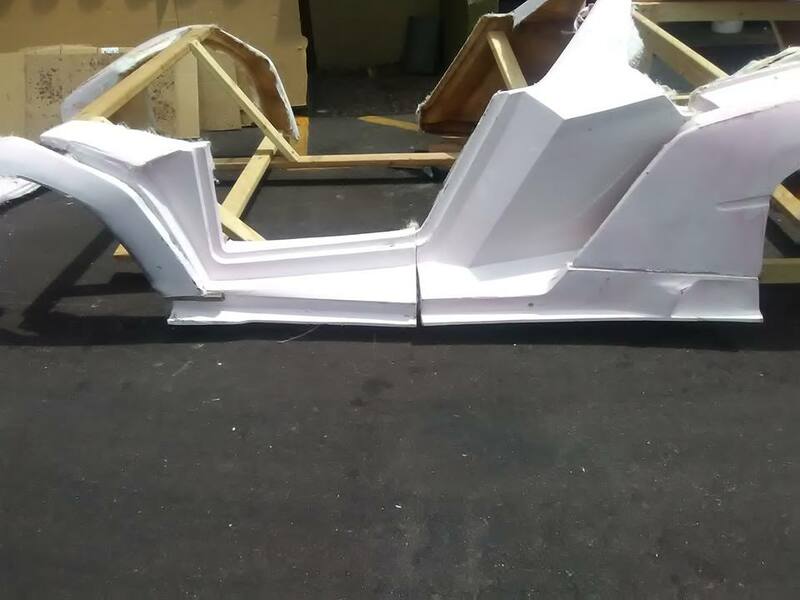 Front fender L or R $1,800 Doors, inner, outer, bonded $4,600 ea. Rear quarters $ 6,700 ea. 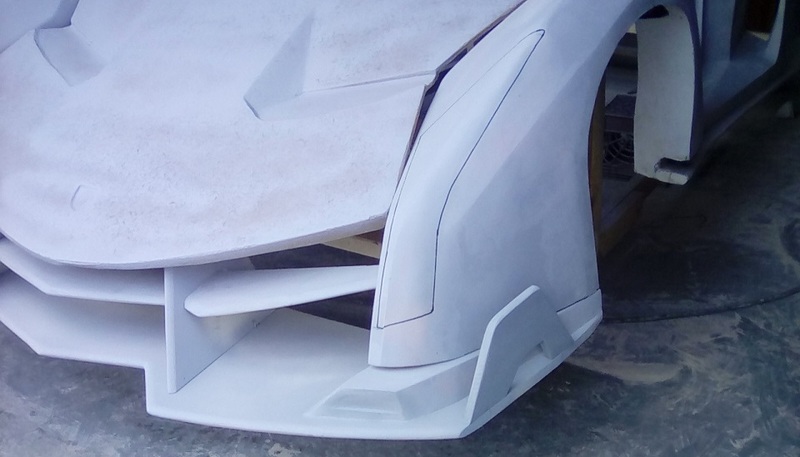 (compare at $17,000) Lp640 bumper front $3,400 Lp640 bumper Rear $3,600 If interested please call me at 561-301-2369 Or email me at pvl959@gmail.com For more picture of the other parts click here. 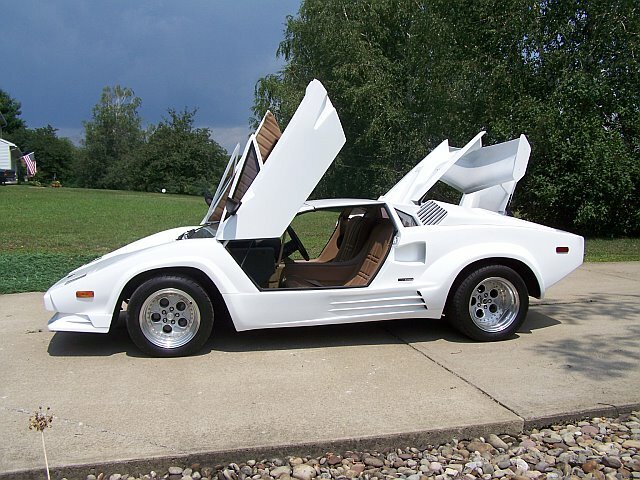 We offer state of the art Fiero V-8 conversions, transverse or elongated. V-Belt drive or serpentine belt. any stage, you do it or we will do it for you. Call 941-268-1454or email v8v8@comast.net for details. Ask about our web site! SOLD ITEMS DISCLAIMER: Items in the 'SOLD' section below are: (1) items previously listed then sold or (2) items where the contact information is no longer current or (3) items that were pulled for some other reason. Contact information has been intentionally deleted. With permission of the sellers, we list previously sold items below so visitors can view them and explore the various configurations and values. 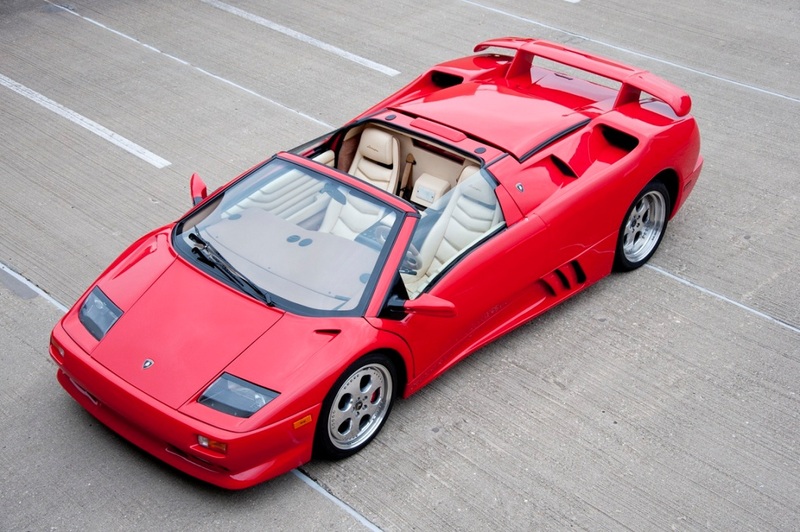 SOLD: 99 IFG Diablo Roadster VT. Built 350 small block Chevy. Edelbrock Pro Flo EFI. Porsche G50 manual transmission. New shift linkage. Adjustable suspension. Tubed full size frame. Wilwood brakes. 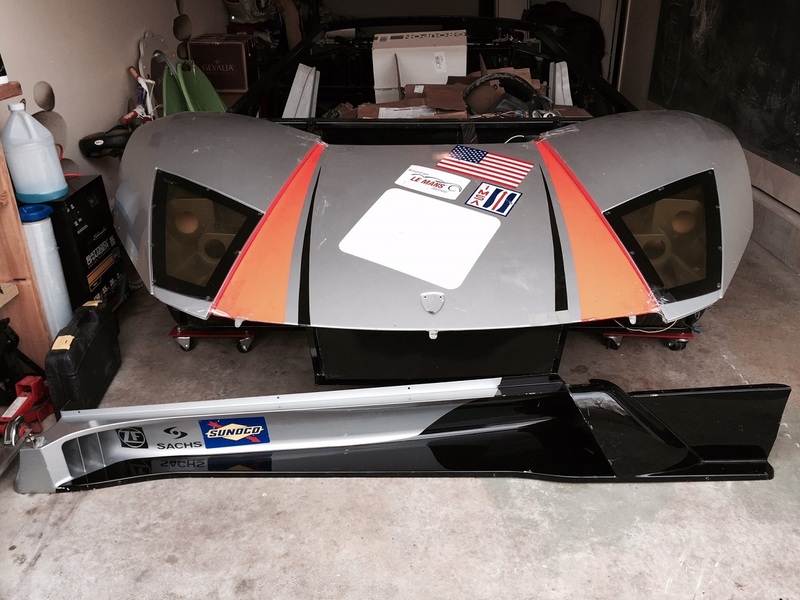 SOLD: North American Exotics Replica. This car has a 400 hp turbo charged and inter cooled Grand National motor with Audi trans axle. The 600 hp upgrade has been done to the trans axle. There is over a 120 grand into this car and I am selling it for around the 75k mark. Includes a set of polished Lamborghini wheels. 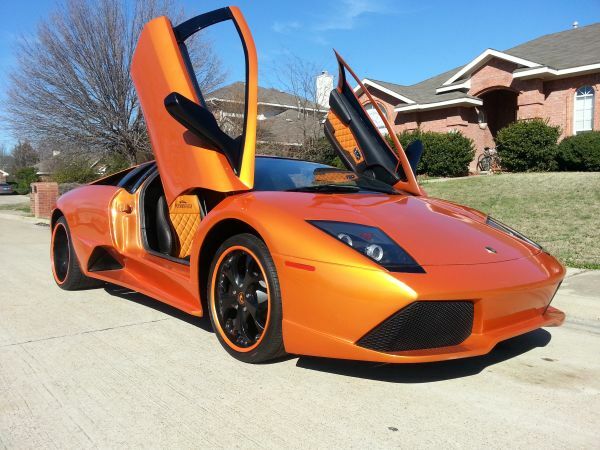 SOLD: Lamborghini Murcielago replica. ( Runs and Drives!!! ) 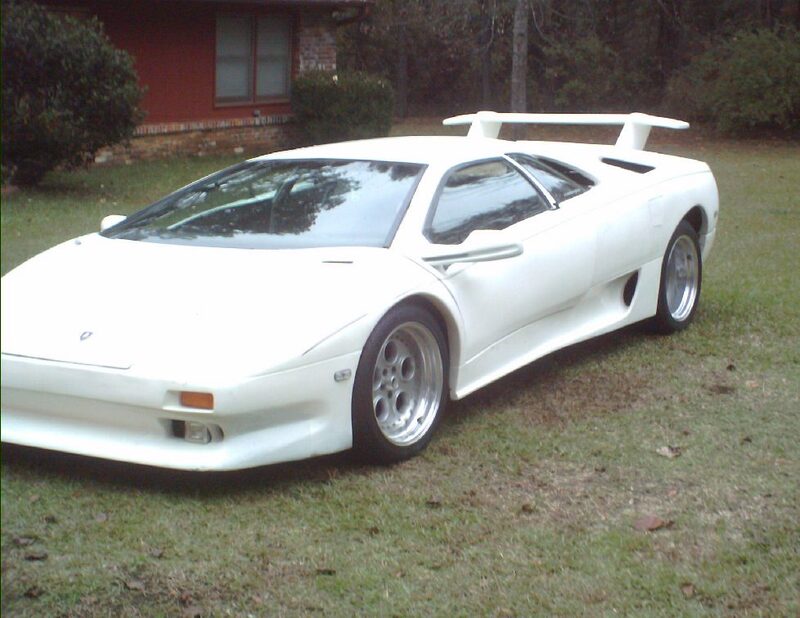 built on 87 Pontiac Fiero GT chassis with GT V6 engine and auto trans. Finishing work that will be needed consist of: Interior, body/paint work, headlight / tail lights, and windshield along with the regular maintenance. ...learn more click here. 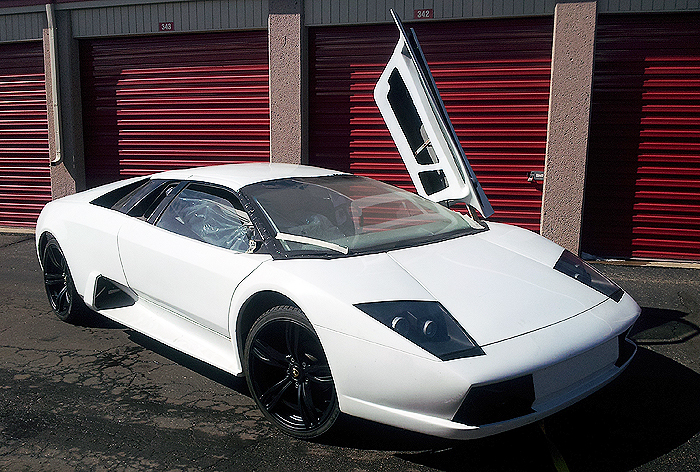 SOLD Murcielago Replica. As authentic as it can get, professionally built, engine completely tuned and runs well, good driving car. May trade for a more expensive exotic car. Mercedes or Ferrari or another Lamborghini. Asking $49,500.00 firm. call me at 310-779-0515 doctamhane@yahoo.com -S Tamthan More photos click here. SOLD: You are looking at probably one of the nicest F355 replicas ever built. 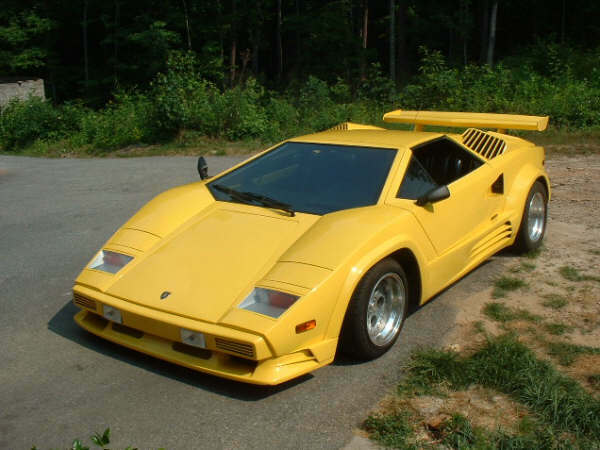 I bought his car from a friend of mine, not really looking to get rid of it by any means but will consider a serious offer preferably trade for accurate Countach or 6.0 Diablo. This is Air Dynamics AD355 kit built by John Watson, recognized to be the best of the best out there, all separate body panels: fenders, bumpers, rockers etc... not one piece like most. 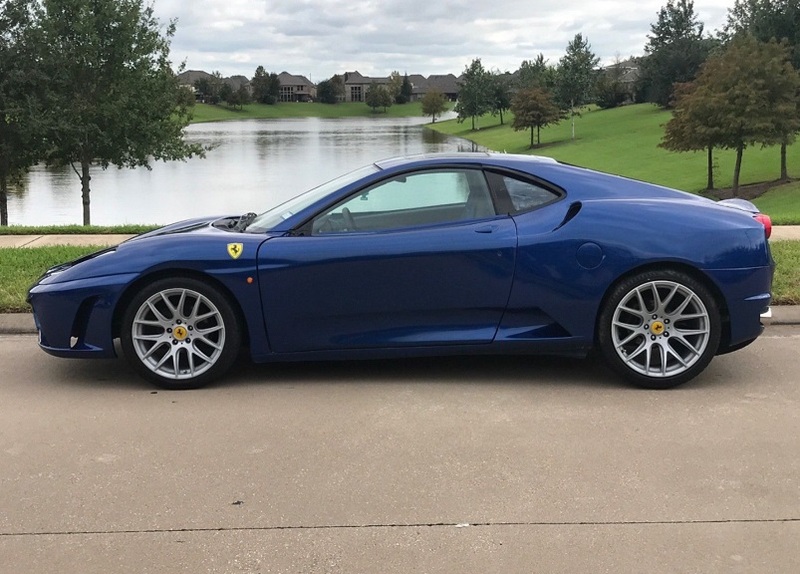 This car looks like a real Ferrari and nobody will question it. 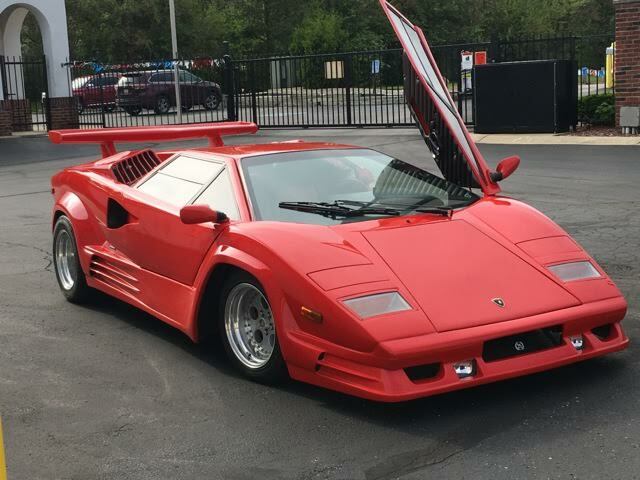 Learn more click here "Thank you for your help, my f355 has a new proud owner now"
SOLD: Lamborghini Countach Replica. Redone from the ground up September last year. 2.8 V6 manual engine and transmission gone through with all new parts . Cold ac. Runs and drives perfect. Paint is Ford jet black with four coats of clear. A $5.000 dollar paint job on it . All doors and trunk lines are perfect. New door poppers. Way too much to list. Learn more click here. 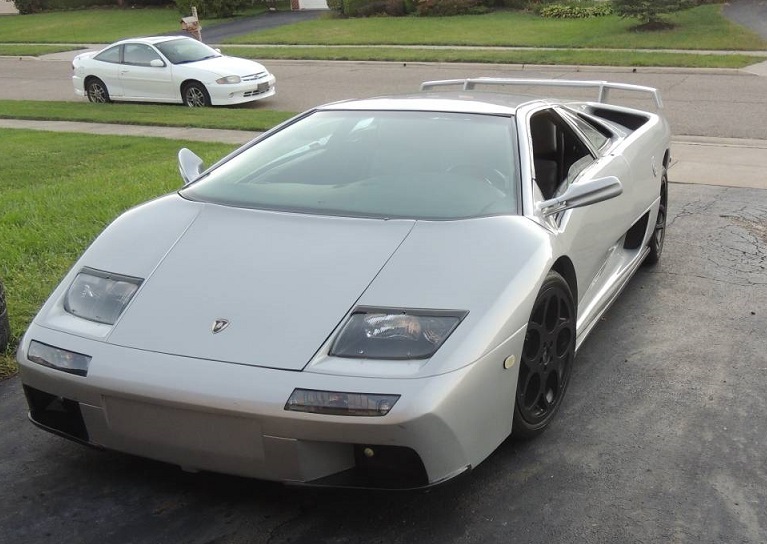 SOLD: '99 Diablo SV. Turn key when I bought it 15 years ago. It has never run down the road and has sat in the garage all this time. Needs work. (Sold for $8000) "I appreciate all your help to sell my car fast and effectively" -Nang. 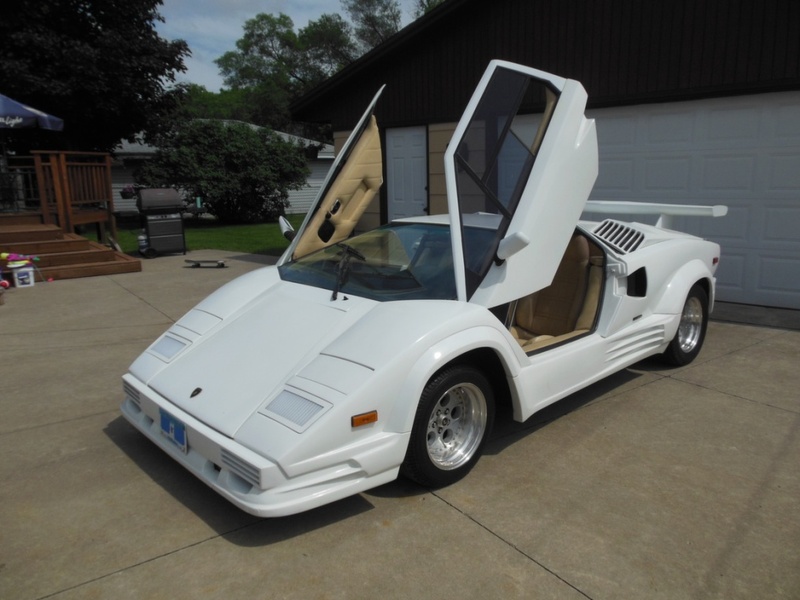 SOLD: Countach replica built on Fiero. Pontiac 2.8liter engine. Very fast. Runs very good. Shifts good. Interior is nicely done with bucket seats and nice a sound system. Absolute head turner! Asking $17,950. More photos click here. 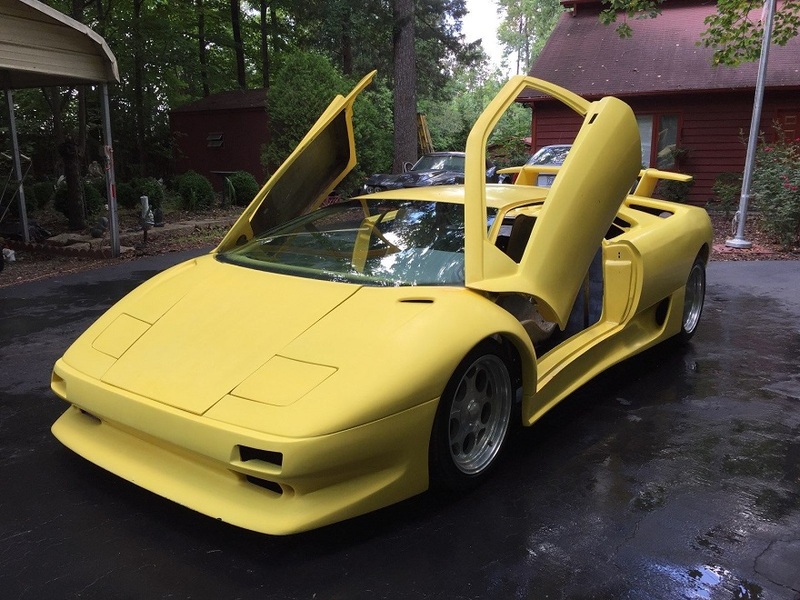 SOLD: 2001 Lamborghini Diablo Roadster kit car. **PRICE REDUCED**I believe the kit is from CKI. 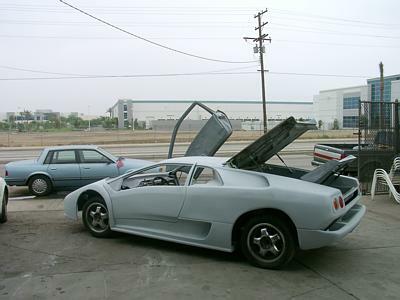 I bought it from a local owner this kit comes with: 1 Lamborghini Diablo shell, 1 Removable Targa top inner outer shell, 2 bumpers front and back, 1 rear spoiler, 2 trunk panels, 2 doors with inner and outer shell, 2 Diablo mirrors, 1 hood inner outer shell, 2 glass headlights, 4 tail lights....learn more click here. 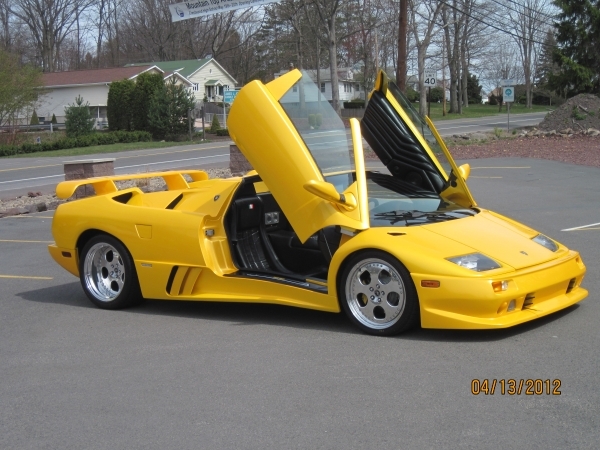 SOLD: 2001 Lamborghini Diablo replica Modeled after a 1994 Diablo Coupe. Professionally built. No expense was spared building this car. Looks like a show car. This car could be driven anywhere. with its reliable V-6. and Auto transmission. It runs great and come with A/C CD player and working power windows. No Plexiglas anywhere. 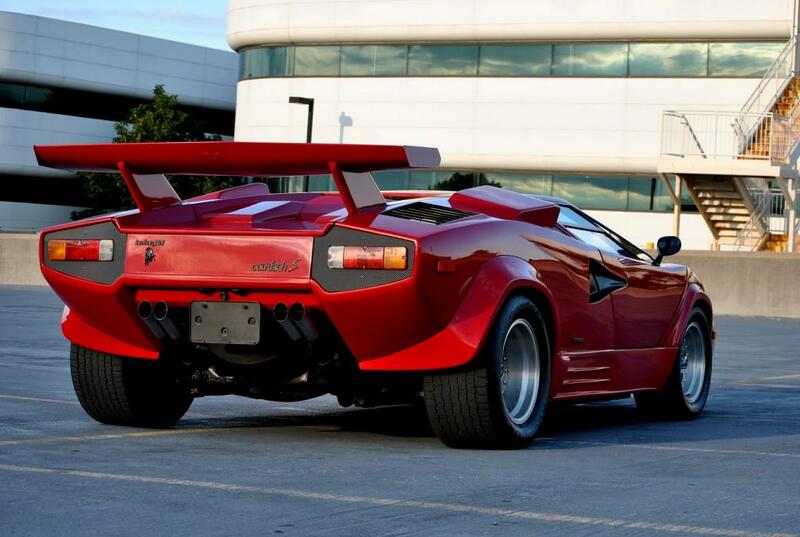 This Diablo has never been mistaken for a Replica like you get with some. The Interior is professionally stitched and looks like the real deal. Pictures do not do it any justice. For more information and photos click here. 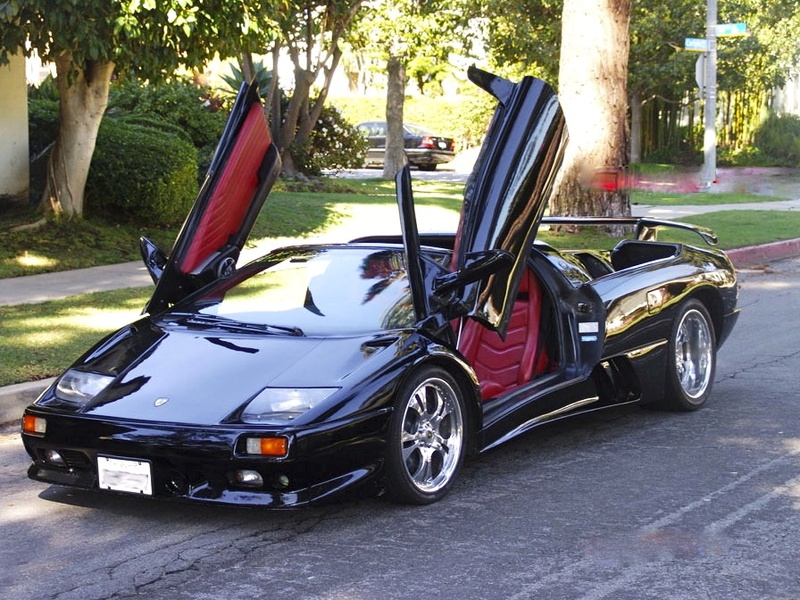 SOLD: Lamborghini Diablo replica. Built on a Fiero frame. Stretched. 6 cylinder engine with a turbo on it. Runs great. Starts every time. A/C, sunroof, registered (Fiero), located in Bentonville Arkansas area. Priced to sell. I just don't have the time to work on it so it needs to go to someone that does. Learn more click here " Thanks.. I had a ton of response and could have sold the car many times over"
SOLD: Attention Canadian Buyers. 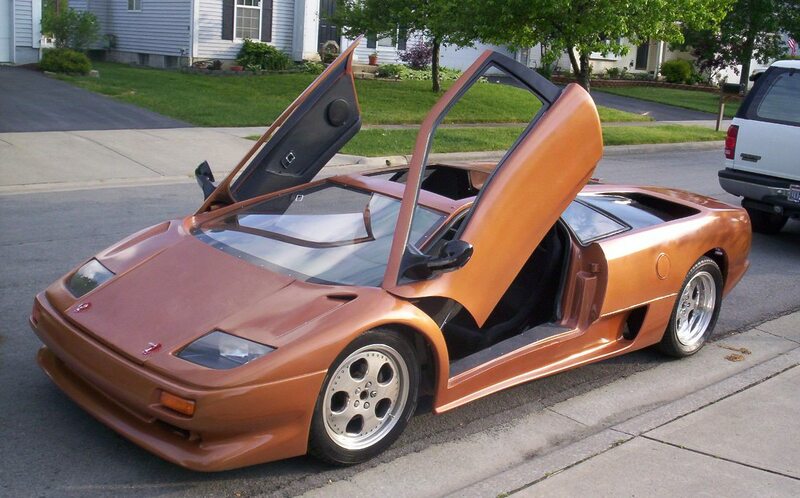 Here is your chance to own this 1994 Diablo Replica built in Canada. As you know replicas are almost impossible to get across the border. 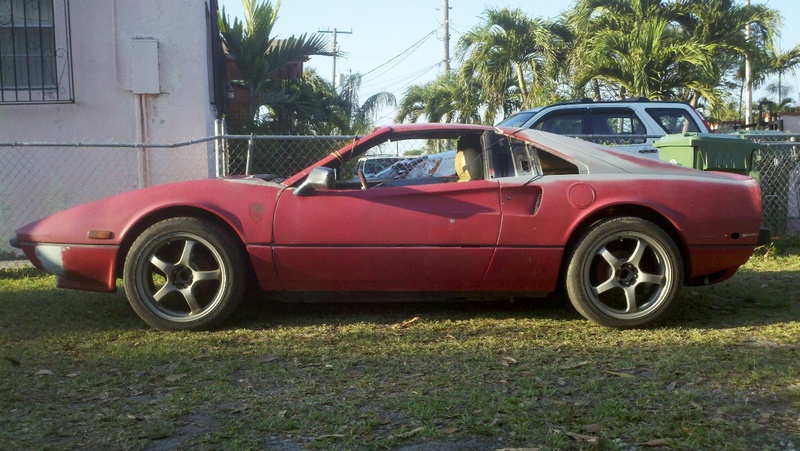 Stretched frame, V6 2.8L Fiero with 4 speed transmission, ready to drive anywhere. Big stereo system, backup camera, black leather interior ...learn more click here. SOLD: Lamborghini GTR Convertible Replica. Built in 2004. Clean Title in hand and registered in Michigan. V6 2.8 14,000 miles on motor. Kit is DNR, built on 1987 Fiero and stretched 10” properly. The car has the correct width and length. 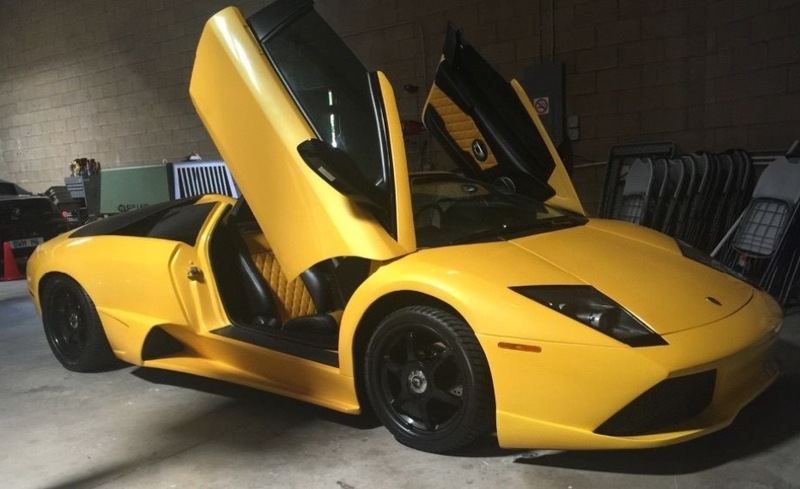 Real Lamborghini yellow paint was used $6500. Firewall was stretched 6” to fit a bigger person. Car does have heat that works and air (needs to be hooked up) Car is located 30 miles N of Detroit, Michigan. Learn more click here. 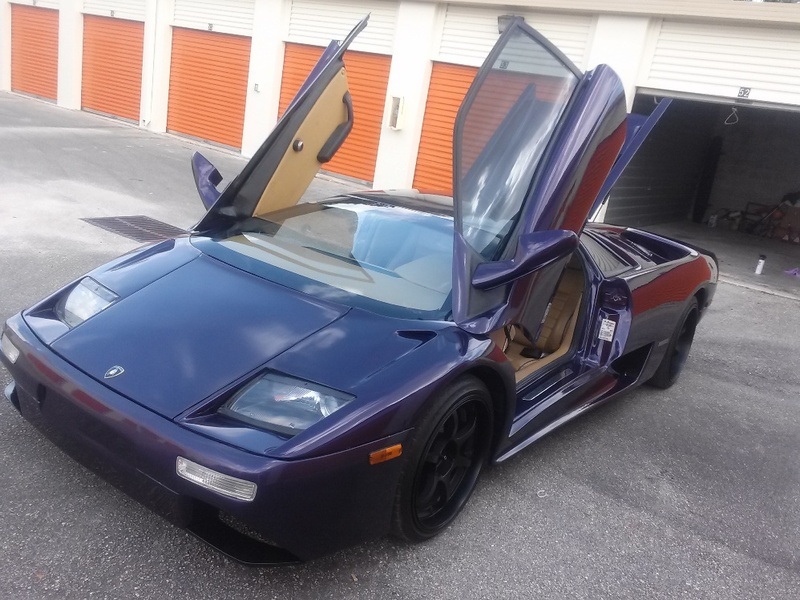 SOLD: Lamborghini replica PURPLE. 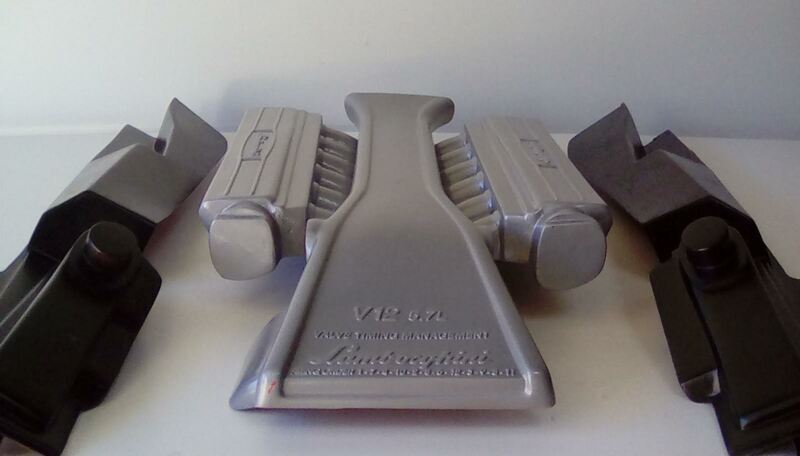 Cadillac v8, automatic transmission. Vey beautiful car with tan leather interior. Car is in good shape, nice car. Serious inquires only. $25,000. More photos click here. SOLD: 1988 Ferrari Testarossa Replica. GM Goodwrench 3.1 liter. V-6 engine with 25k miles. 5 speed Getrag Transmission. 7 in stretch. Clear title. Power windows, Power door locks, power mirrors, A/C, Cruise control , Authentic OEM gated shifter, Ferrari Black, Gray leather interior. New tires mounted on Compomotive rims. OEM Lights. Alpine AM/FM/CD with I pod connector. OEM Emblems. Ferrari information on the inside of each door and the factory Ferrari window decal on the windshield. Eibach springs in front, and coil over shocks in rear. This car is very convincing and 100% finished and functional. 27K. 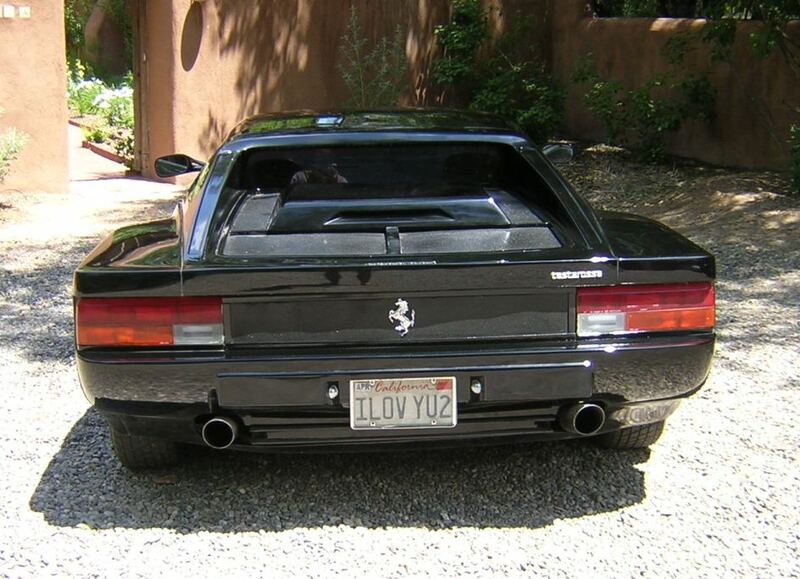 "Thanks to your website my Testarossa has been sold. I received lots of inquiries. I would definitely use your site again if I have another replica for sale, and recommend it to others. 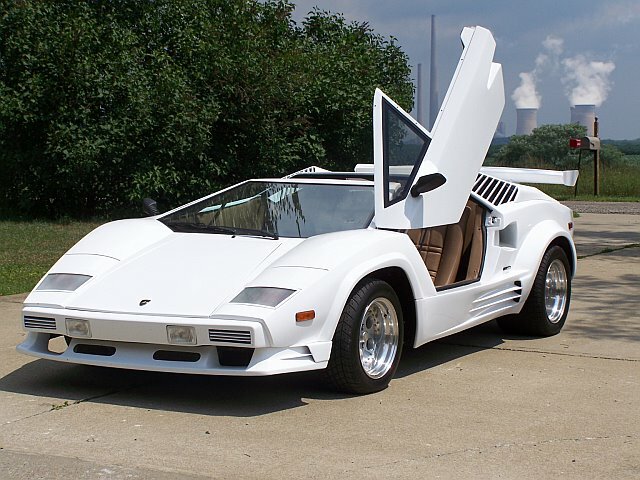 Thanks" -John V.
SOLD: 1989 Lamborghini Countach 25th Anniversary Replica. 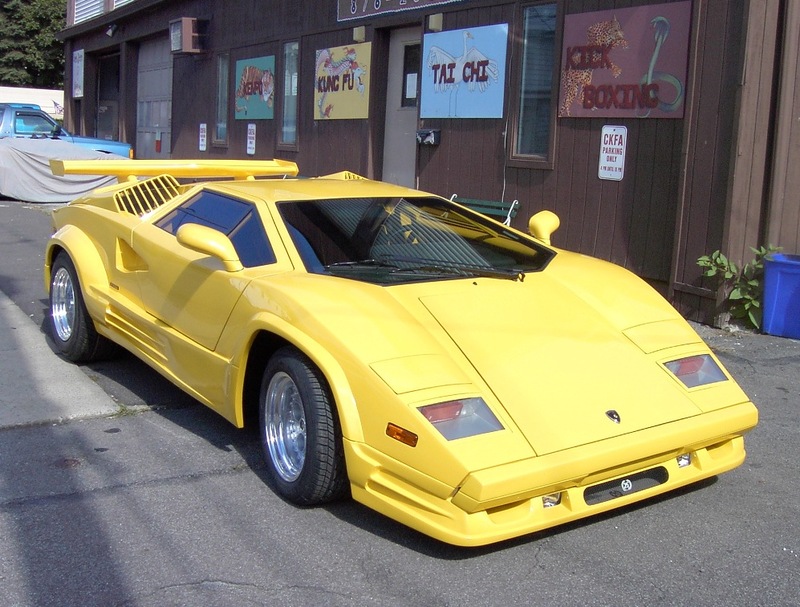 Beautiful 25th Anniversary Lamborghini Countach replica. Built on stretched Fiero GT. Has the 2.8L Fiero GT drive train which makes for easy maintenance. No issues with overheating which can be a problem with V8 replicas. Car was professionally built in 1996. I have owned since 2000. Making a long distance move, and this is reason for sale. Very accurate replica. 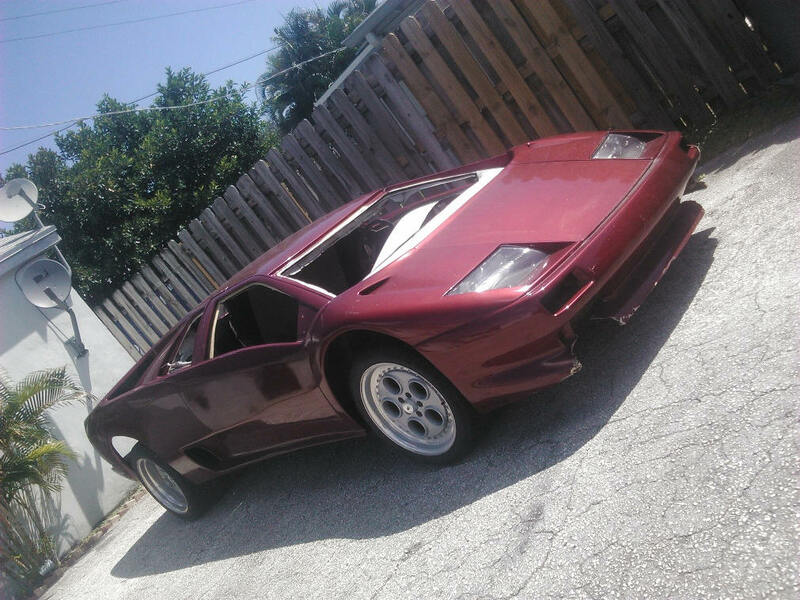 Has real Lambo windshield, moldings, etc. Headlights are flip up. Side windows slide open like original. Nice interior. .... Learn More click here "....did get a number of replies from your ad. Thank you!" -Les A. 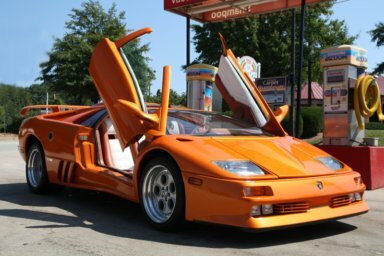 SOLD: 1999 Lamborghini Diablo Roadster body by NAERC. Diablo.6.0 two tone leather/vinyl interior, top stitched, carbon fiber center console, carbon fiber door sills with Diablo emblems, carbon fiber gauge plate, gated shifter plate with chrome replica shifter, working and authentic looking Lamborghini windshield wiper with 3 blades and carbon fiber wind deflectors, power windows go all the way up and the removable roof fits great on top or over the engine cover. Lamborghini style VDO Black face gauges with chrome bezels....LEARN MORE click here. 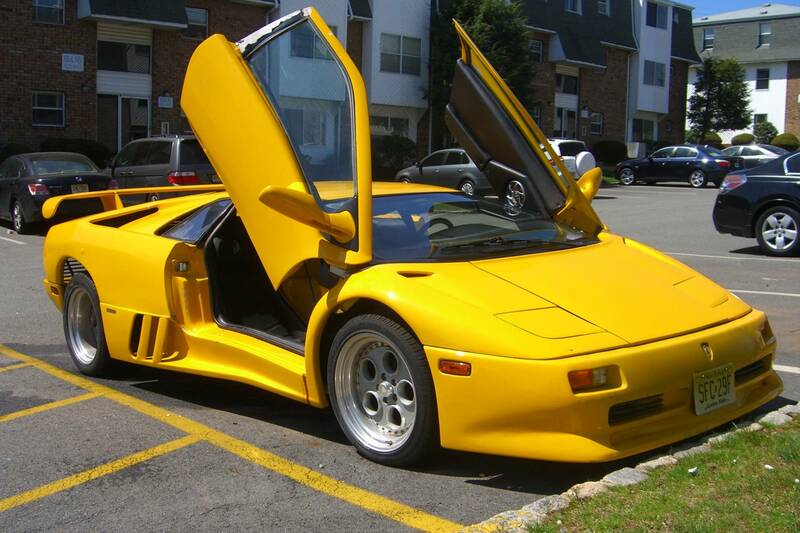 SOLD: Lamborghini Diablo Replica. We professionally build these exotics. This car has countless of hours, time and money invested. Car is exact dimension, size, height etc as original. This car looks and sounds identical. Engine is out of a Chevy Lumina pushing 300hp! Manual transmission with new clutch. Custom Borla exhaust and brand new lime green interior.... Learn more click here "Thanks for all your help, sold through your site"
SOLD: LP 640 Lamborghini Roadster reproduction. Built by Tri-Angle, 1988 Fiero tub, complete sub frame, 5 Speed, 3.1L V6 (rebuilt), Coil over shocks all 4 wheels, 4 wheel disk brakes, Rear 20 inch tires, front 19 inch, Rims custom black powder coat, Custom interior, dead on reproduction of the original, Over the top Kenwood Stereo, Mono steering wheel, Twin exhausts, Pop up doors with remote I have been collecting replica cars for 25 years and will say without a doubt this is the best of the best. LEARN MORE click here. "My car is now sold and the owner is picking it up Friday. 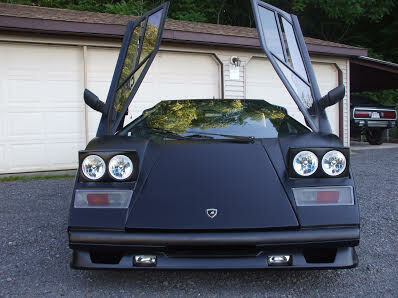 Many thanks for your help"
SOLD: 1988.5 Lamborghini LP500S replica. This is a very rare body style features different engine cover and louvered side skirts. The car is built on a 5"stretched Fiero chassis, the motor is rebuilt with 6000 miles and automatic transmission. The car is built very well, starts right up every time and it runs great. It has a nice sounding exhaust with dual muffler tips. Doors open up and close great, lines and gaps are all straight and everything lines up very nicely as seen on the pictures. Learn more click here. 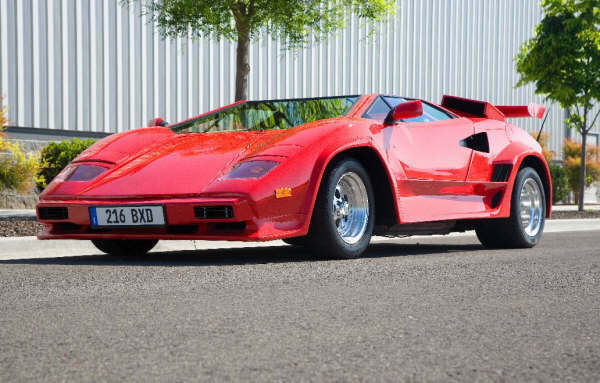 SOLD: Stunning Lamborghini Countach V8 replica. 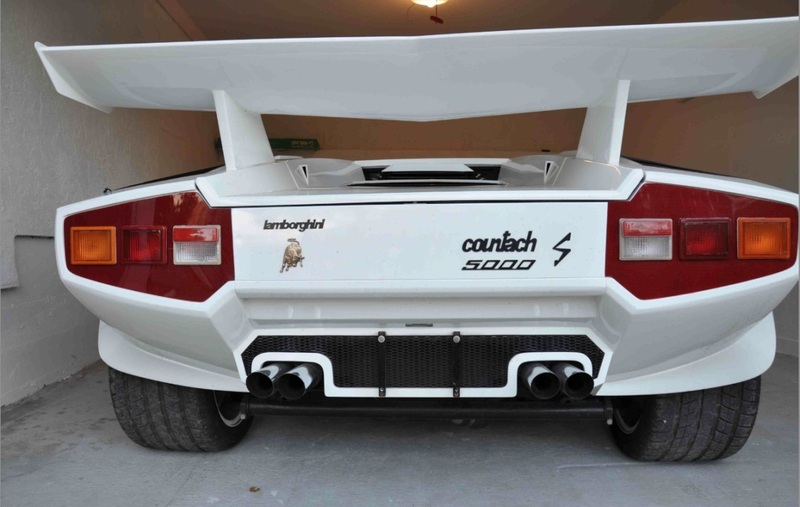 If you are in the market for one of the best Countach replicas ever built, look no further. This car will take your breath away in every aspect. It is spectacularly put together machine and trust me it does not get much better than this. If you need to fly over to see the car and the car does not meet your expectations in any way I will gladly compensate you for all your traveling expenses. But I know that will not happen. It is a tubular space frame, with Chevy v8 mated to a Porsche transmission, coil over suspension, A/C etc etc. too much to list, car is top notch in and out. It drives like a factory car and I mean it. More photos click here "thank you for the ad".."we had a great amount of interest." 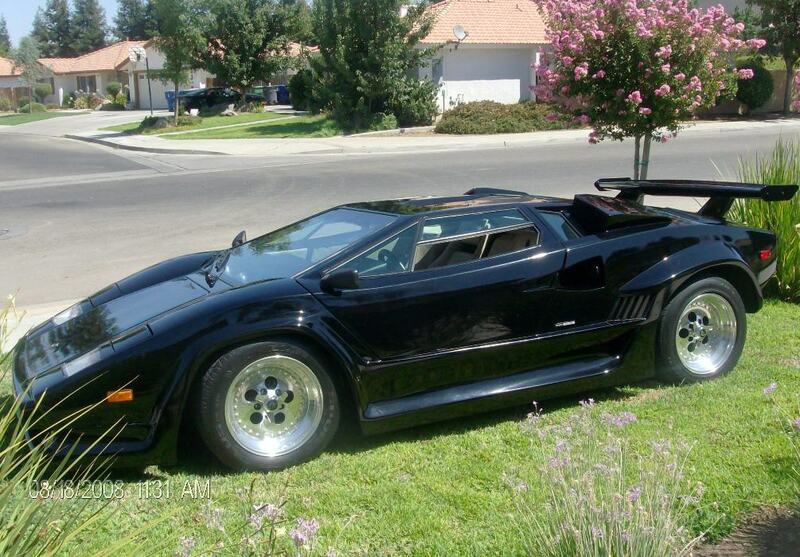 SOLD 1989 LAMBORGHINI COUNTACH 5000S REPLICA Built on a stretched 1989 Pontiac Fiero chassis with a new 350 motor. 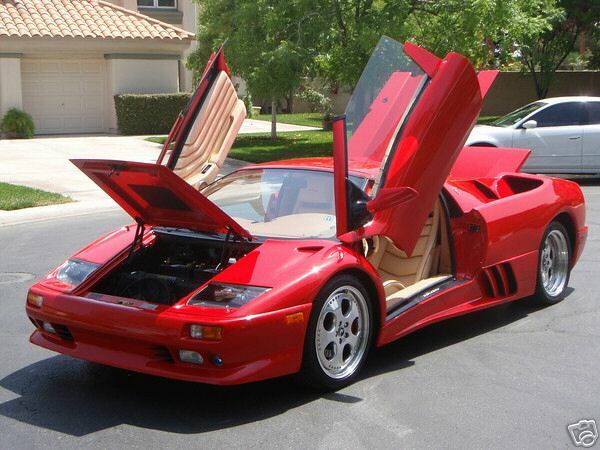 It has a Lamborghini Diablo tan Interior in perfect condition with 4-point harness seat belts. Car is about 90% finished 1.Car overheats, I bought I new pump for it, just needs to be installed. 2. Dash electrical needs to be gone through again 3. Windshield needs to be replaced. Needs more frame support. 4. Door poppers need to be aligned to work, doors need to be lined up as well (door handles shaved) 5. Rear trunk needs to be adjusted to open. 6. No radio installed, and No A/C compressor. Major thing is it needs a little fiberglass work to get the doors and upper frame to be solid. Title in hand, does not have a VIN# it's been issued with a UTR number from the state of UTAH. $17,000 MORE PHOTOS click here. 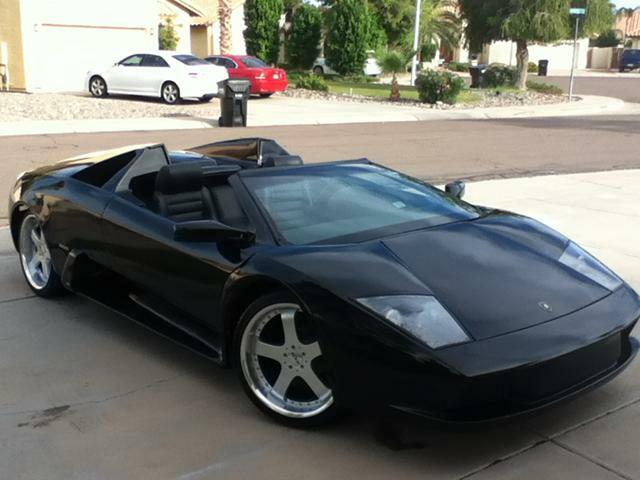 SOLD: Lamborghini Murcielago LP640 Replica Cheap! 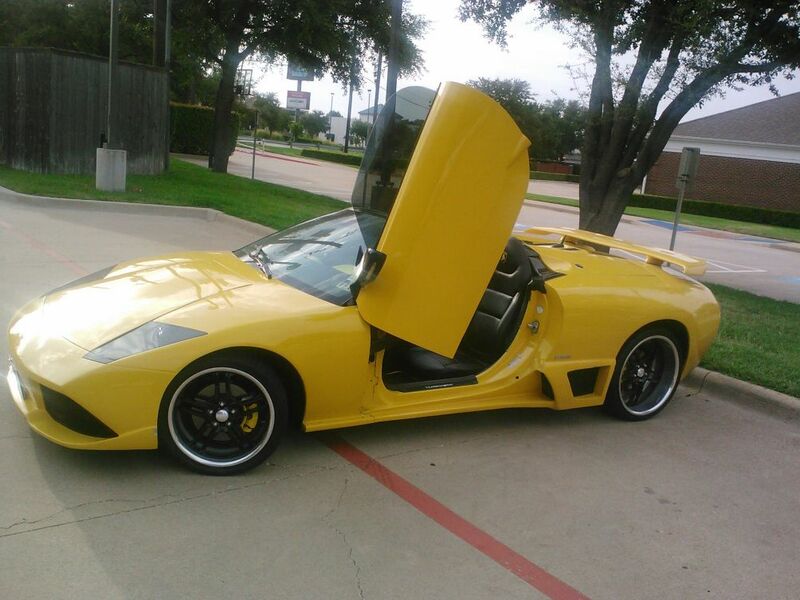 For sale is a mint condition turn key 100% exact replica of a 2010 Lamborghini Murcielago LP640 coupe. 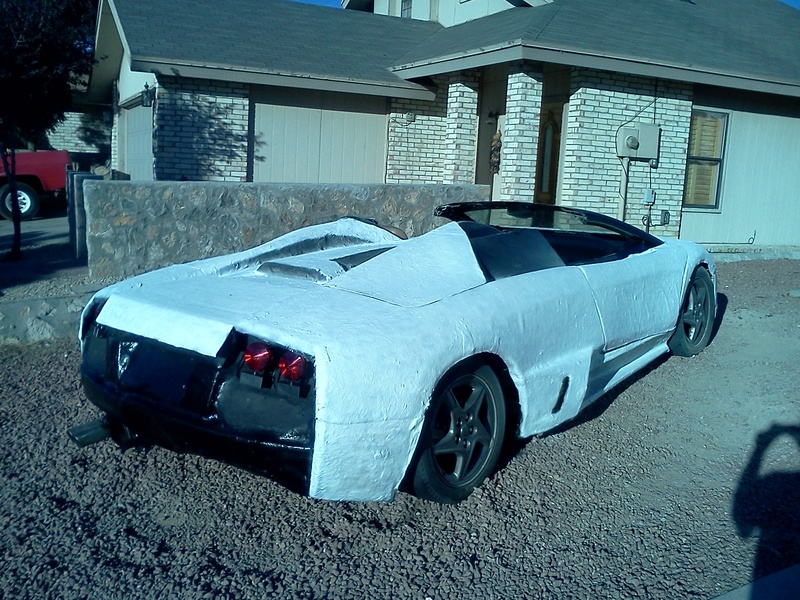 I am confident This is the finest quality Lamborghini LP640 replica you will ever find. Every dimension of this car is exact to the original car. 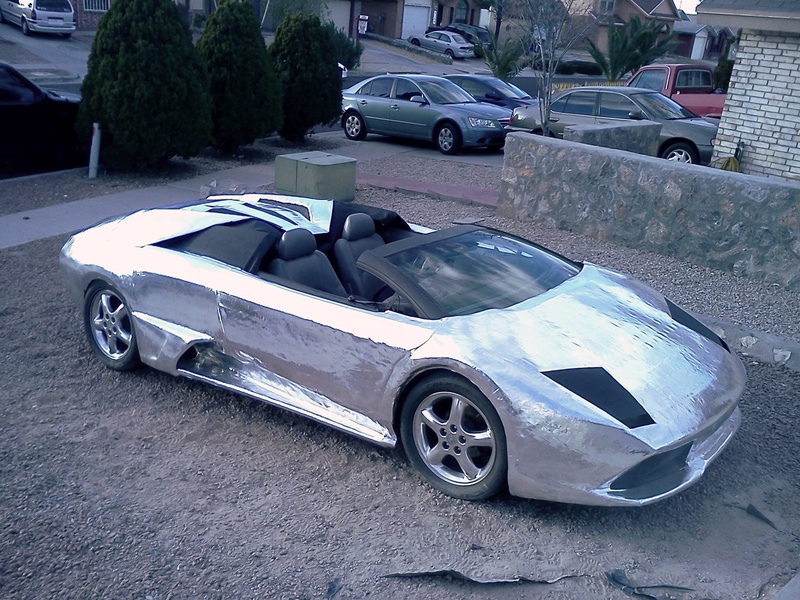 No expense was spared to ensure the quality that people expect from a $300,000 super car. 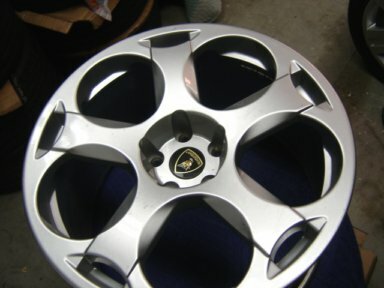 Many real Lamborghini parts including Maya wheels and Pirelli tires, all grills, badges etc. 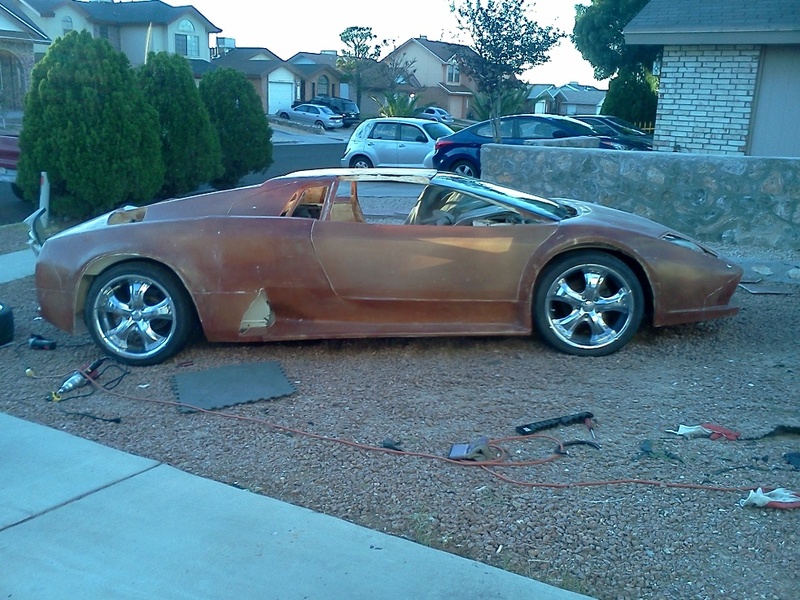 Even the paint is real Lamborghini Orange. Runs and drives flawlessly. Great exhaust note that sounds authentic. $3500 touch screen stereo with DVD and Navigation. SOLD: 2010 Lamborghini Murcielago LP 640 Very low miles 65,000 donor car. 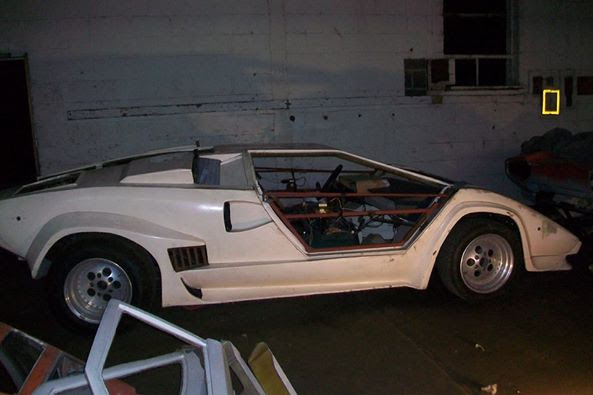 1988 Pontiac Fiero Frame. Pink slip in my name. -Stretched -Body mounted -Doors hinged (working up and down w/ struts) -Deck lid hinged -Front trunk hinged. Needs: -Body work / paint -Mirror assembly -Interior carpet -Dash, seats, door panels upholstered. -Head /Tail light assembly. I have had all the hard parts done. Add your finishing touches. $10,000 firm. No trades. CASH READY BUYERS ONLY. Located in Newport Beach, CA. Many more photos click here. 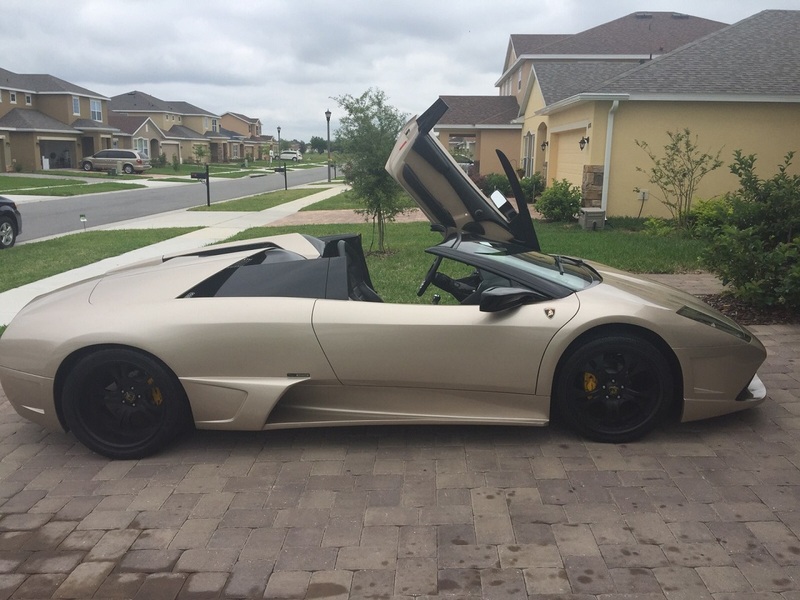 SOLD Lamborghini Murcielago Roadster Replica for sale. Custom pearl white paint, 20X13 and 19X8.5 wheels with Pirelli P-zeros, V6, automatic, DVD, full sounds, custom interior, complete. Also have 3800 supercharged engine and 6 speed transmission too if you want a faster engine and manual. Over $45,000 invested. Selling for $30,000 obo. SOLD: This NAERC roadster car was built by one of the best in the industry, Ron Dolling from Canada (Ron's Toy Store), it's is nearly indistinguishable from the real car. Pictures speak for themselves, but seeing it person is such a treat , this unbelievably beautifully car leaves the observer speechless. Nobody will ever know this car is replica, it is so accurate. The attention this car gets its almost unreal. The car literally stops traffic. 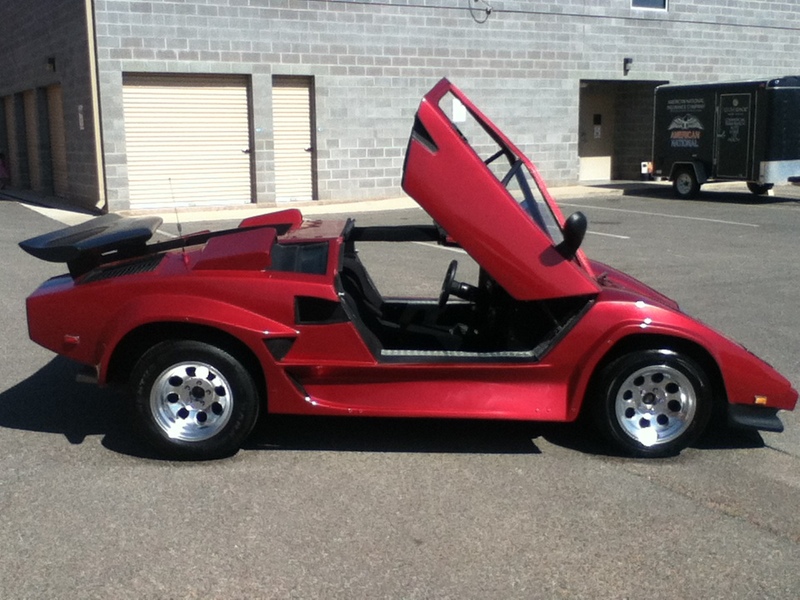 Even though this roadster was built on '87 Fiero, very little from the Fiero is left in it. "Thank you for the exposure...I got a ton of interest"-Dragi Learn More about this car click here. 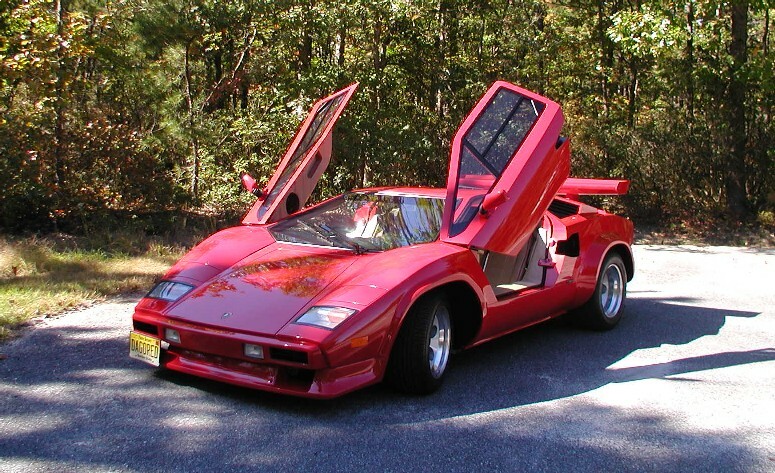 SOLD Red Lamborghini Countach replica professionally built on Pontiac Fiero chassis. Automatic transmission, air conditioned, gorgeous. 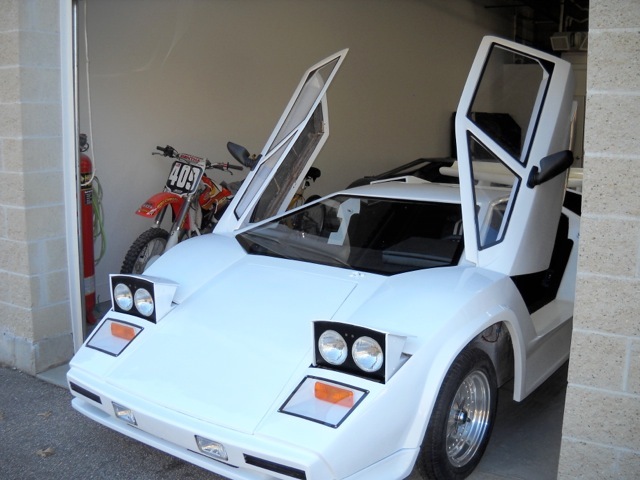 Includes lift for winter storage, jack, trickle charger, full-size charger, cover, extra set of authentic Lamborghini Countach outside mirrors. Price $32,500 firm excluding shipping. Car located in eastern Massachusetts. 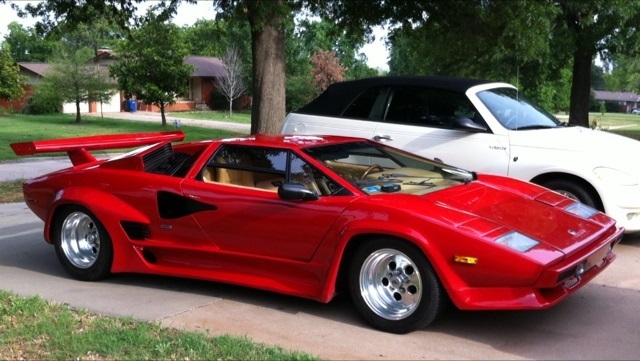 SOLD Lamborghini Countach 25 anniversary. 450 hp. Car was build in 2009 by famous builder car is stretched 5 speed stick Lamborghini interior 355 Chevy. 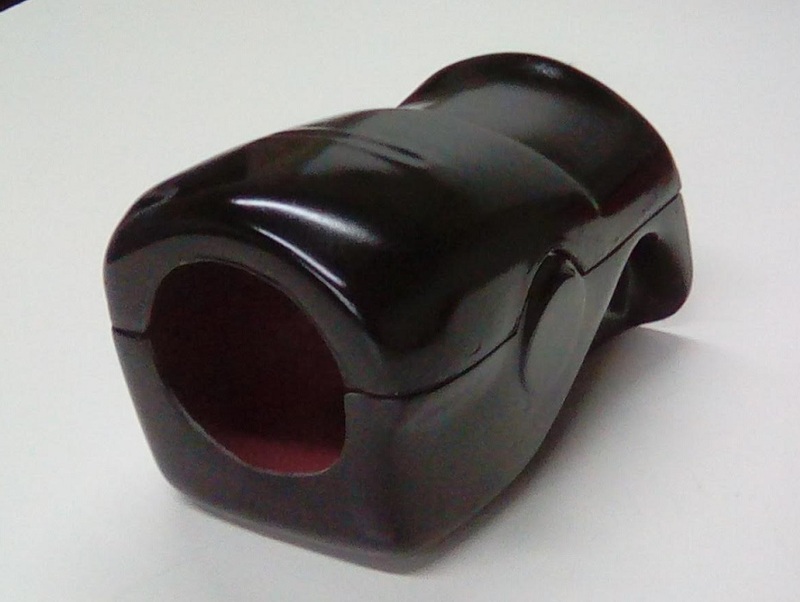 bored 000,3 curved front windshield alarm key to lock the car two radiator ac European horn ac heat CD player with equalizer everything works. $34,500. SOLD: Ferrari F40. The car is 100% finished. 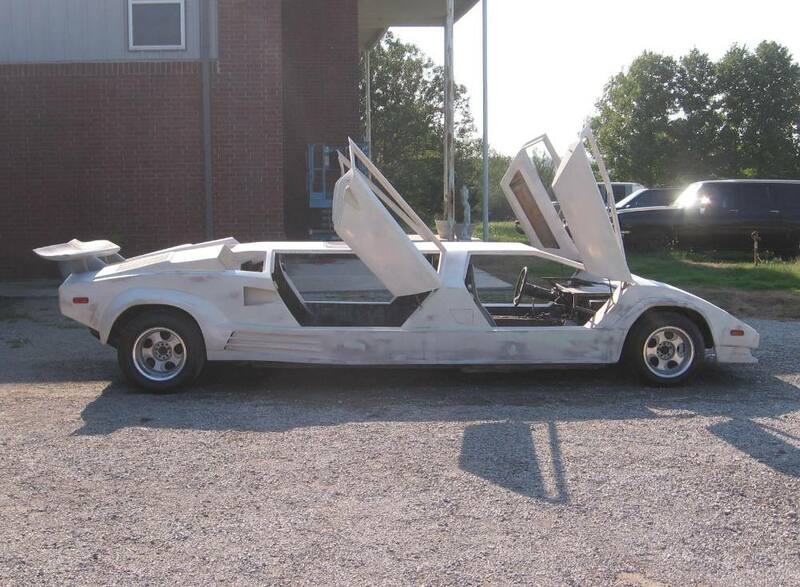 Built on a 1987 Pontiac Fiero V6. 5 speed manual transmission. It was built by V8 Archie from Rockford, IL. 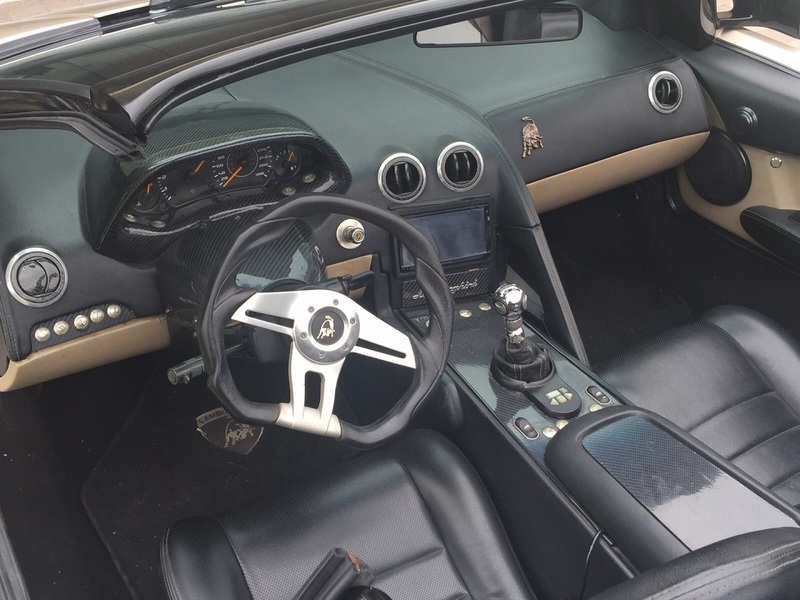 The interior is absolutely gorgeous, top stitched suede covered dash and original Ferrari f355 center console, Momo racing seats, carbon fiber center vents, carbon fiber dash cluster cover, real Ferrari radio and real Ferrari dash vents. Everything fits snugly and the way it suppose to look. Gaps are perfect throughout the car. Correct size wheels and tires 224/45/17 front and 335/35/17 rear tires on a staggered Compomotive rims. $28,000 "The car has been sold. Thank you so much!!" 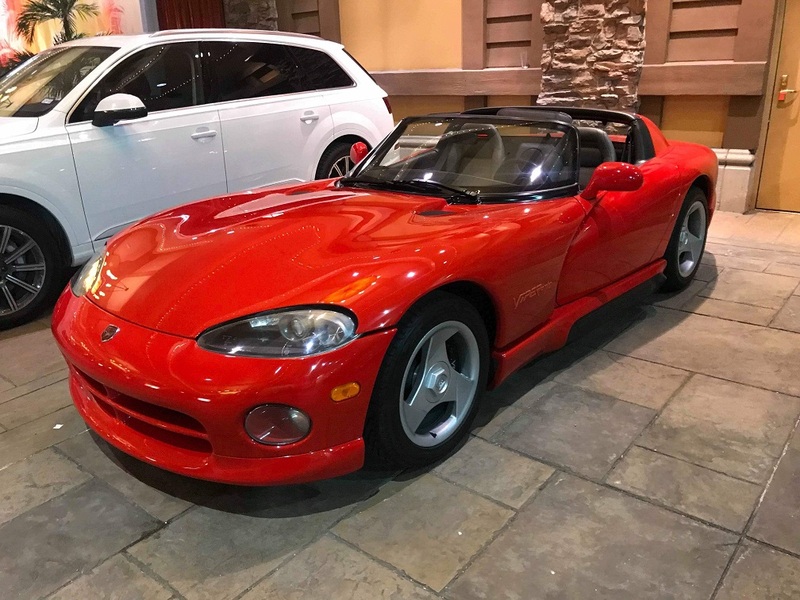 SOLD: Own a dream car for the fraction of the price!!! Why pay $130,000+ for this vehicle when you can own it for $15,000. Most people have told me that it is one of the best replicas they have seen and would have not been able to tell the difference. 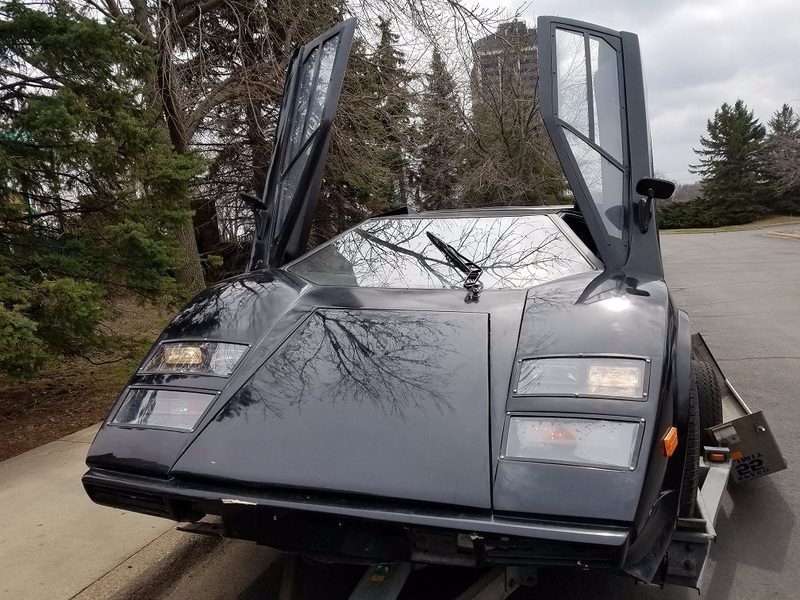 For sale is a replica of a 1987 Lamborghini Countach in excellent working and driving condition w/ many features- Learn more click here. 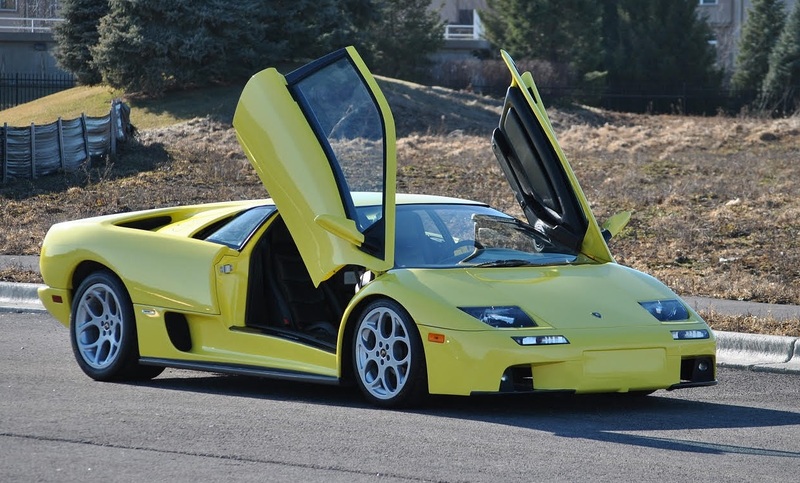 SOLD: 1999 Diablo Roadster Replica. Engine: Custom 350 V8 (450 hp). Carburetor : Fuel Injected, yes I know it looks naturally aspirated, but it is a Fuel Injection system. Transaxle; Porsche 930 4 speed transaxle, to handle the horse power. Suspension: Adjustable coil over’s all round, front air shocks with on board compressor. Brakes: All Power disk brakes. Cooling: 3 radiators, one up front with fan and two smaller radiators in the rear. Windows: Power windows. Paint: 6 coats of color, 3 clear, buffed cut and polished. Learn more click here. SOLD $60,000 into this car approx 3000 hours to build. Very clean and fun to drive. Car is turn Key. Glass windshield, Glass side windows, Glass top. Chevrolet 350HO crate motor, Aluminum racing radiator. Standard Transmission, Center Force Clutch, Back up camera, touch screen, Great 4 speaker stereo with subwoofer. Fully adjustable independent suspension, Keyless entry, Air conditioning, interior black and red, with red stitching. Racing harnesses, Removable tops. Actual Size 335 35 17ZR rear tires. Disk Brakes on all four corners. $35,000. "Good news, I sold my car. Thanks so much for all your help" -Brad A. SOLD: Lamborghini kit in progress. 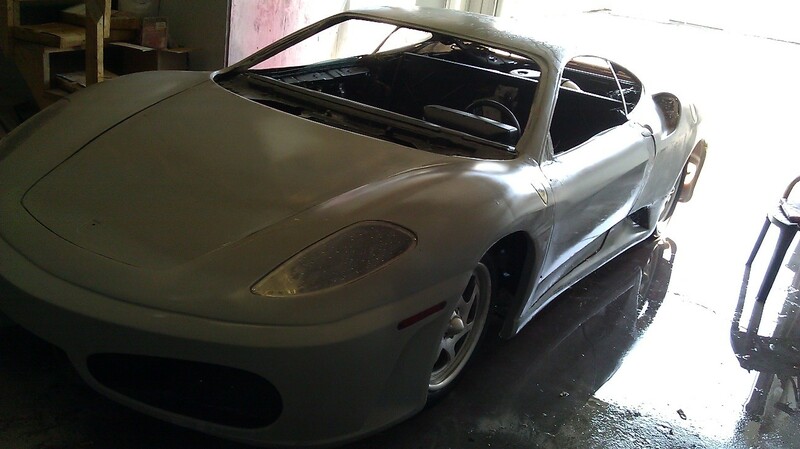 Fiberglass body from Euroworks Exotics. 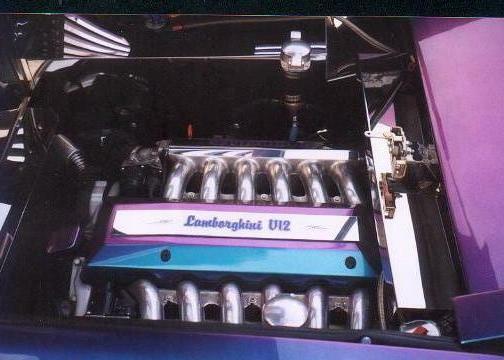 Custom tube chassis with a 2000 Corvette LS1 (35k miles) adapted to a Porsche 911 6 speed gearbox. Custom fuel tanks and seat pans, Corvette spindles, hubs, brakes, power rack and pinion steering and pedals. I have the Corvette wiring harness with computer, Corvette A/C compressor, the mass air flow sensor, shift cables and shifter for the transmission and lots of other parts. The Corvette tires and wheels are on the car but I also have new tires and wheels that can be seen in the pictures. DOT Lamborghini windshield and Lamborghini tail lights. Over $45k in parts! Asking $15k. 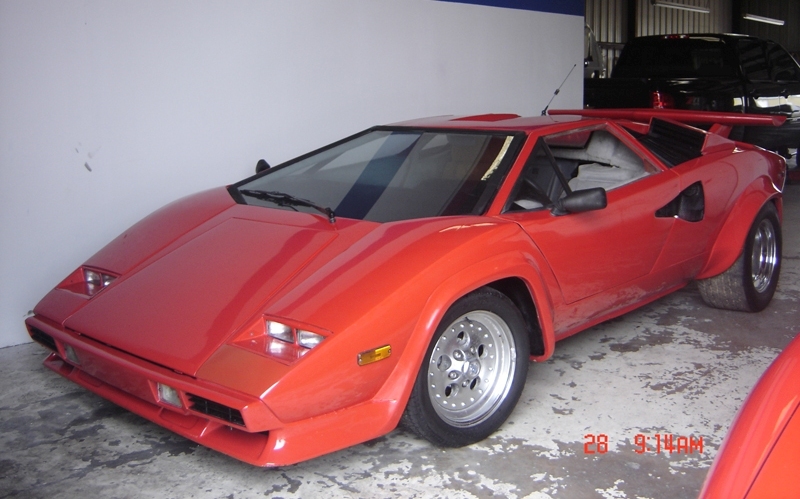 SOLD: Prova Lamborghini Countach Replica. 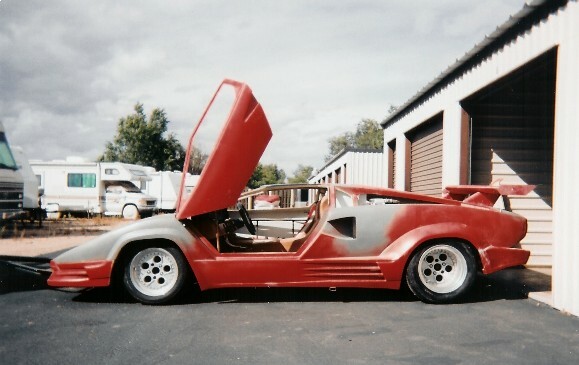 Prova Countach V8 Tube Chassis. The chassis is Prova built tube space frame with corvette coil over adjustable shocks and disk brakes. The power plant is a longitudinal V8 Corvette TPI driven through a Porsche trans-axle. It has beautiful factory color red paint. 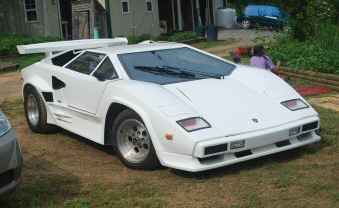 It also has real white Countach seats. The Wheels are Centerline with Pirelli tires. 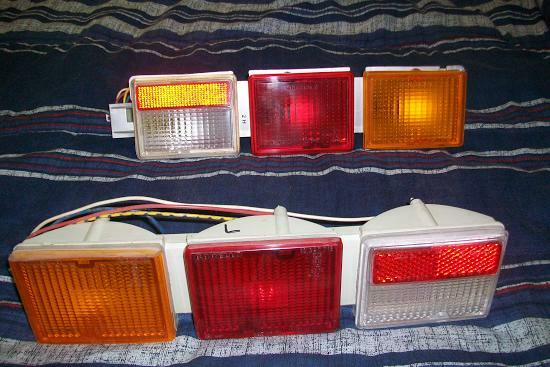 Many genuine parts like lights and vents. This car needs very little to complete. Learn more click here. 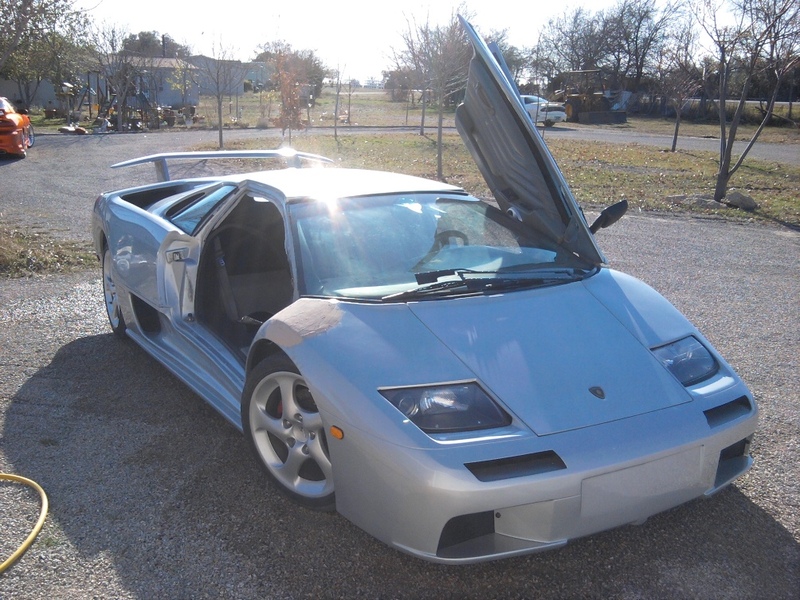 SOLD 2000 LAMBORGHINI DIABLO VT Replica. This roadster is so "exact", one cannot tell the difference from original. 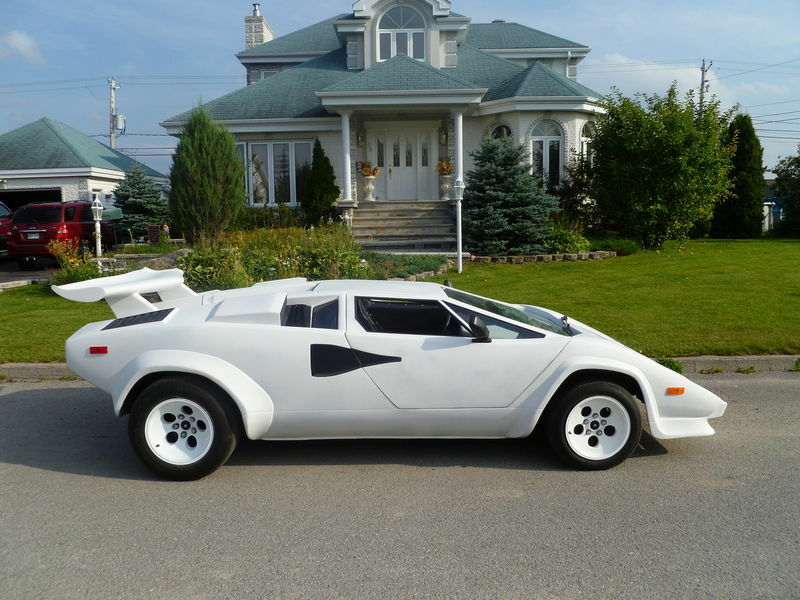 Believed to have been built by N. American Exotics (Canada), the car is in perfect condition. 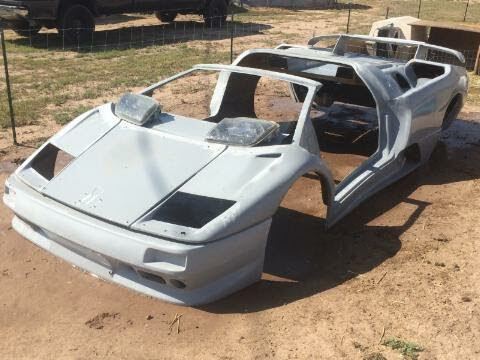 Titled as a 1987 Fiero, is stretched frame-version for Diablo VT body. Notice the rear wing has been removed (available with purchase) as previous owner liked "the look" and I had to agree. For more photos and details click here. 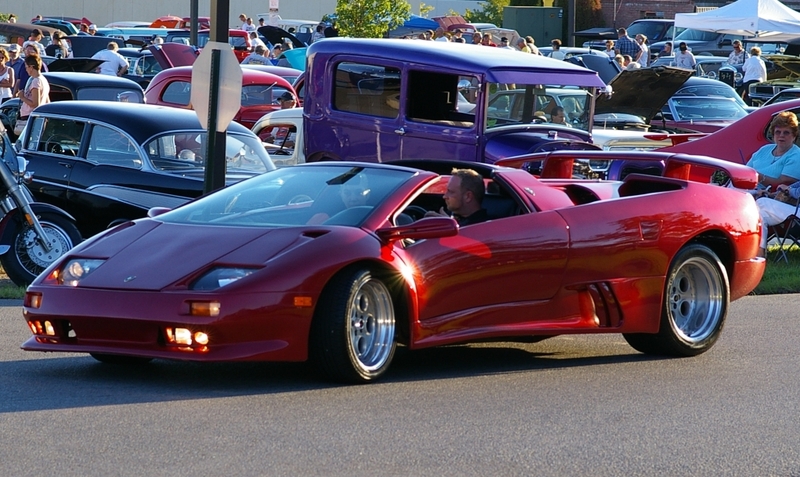 SOLD Diablo Roadster Replica built on a Pontiac Fiero GT. Title in hand. House of Color True Blue. V6 2.8 with after market headers. Oil cooler, after market ignition. Held Motor Sport Suspension, Center Force Clutch. 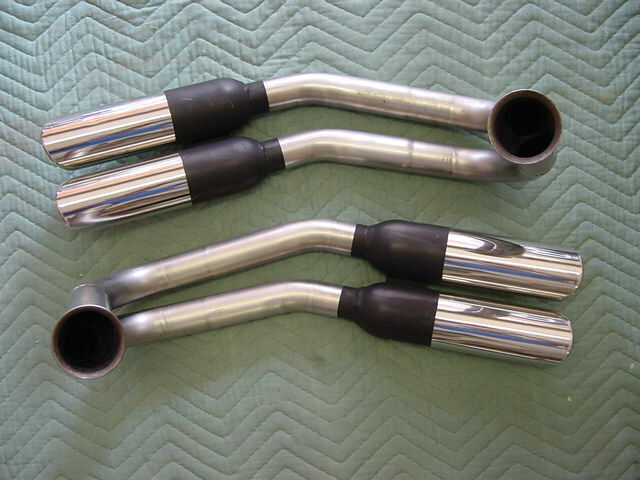 Dual exhaust with catalytic converters and mufflers. Complete audio system. Carbon Fiber accents. C5 Corvette rims, Wilwood brakes, Racing sway bars. Windows roll up and down, alarm. Lamborghini exhaust and roof latches. Build finished 2008. Always garage kept. New engine only 865.5 miles. $38,000 Appraised at 45,000. 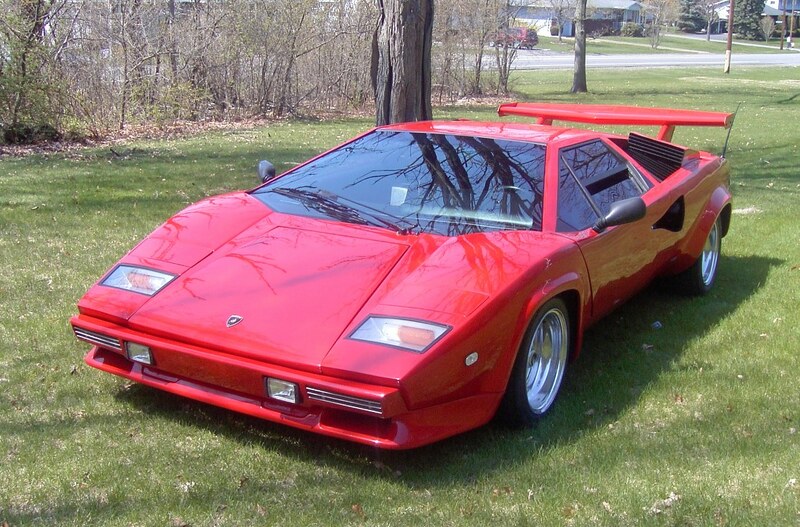 SOLD: Beautiful 25th Anniversary Countach, non stretched. Targa top. 2.8L 5 speed. AM/FM stereo, CD. Built on '85 Fiero frame. 54,000 original miles on motor. 2000 miles since built in 2000. 345/35R15 Yokohama tires on rear, 225/50ZR15 Yokohama tires on front. Nice sound, runs strong. Approximately 25 MPG. REDUCED TO $22,000. 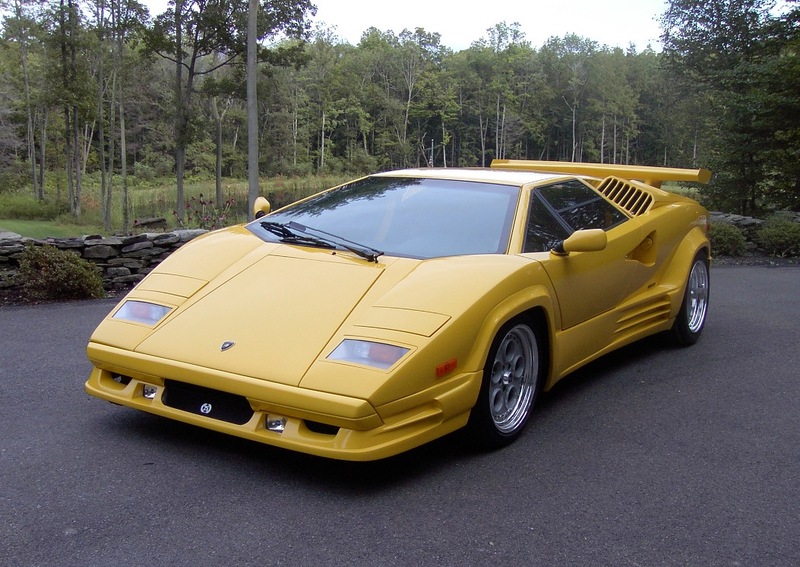 SOLD: 25th Anniversary Lamborghini Replica. Color of car is PPG Candy Apple Red (32 coats) shot over Gold Metal Flake base coat. 3,000 miles on vehicle. 350ci/350hp 4 bolt main engine. 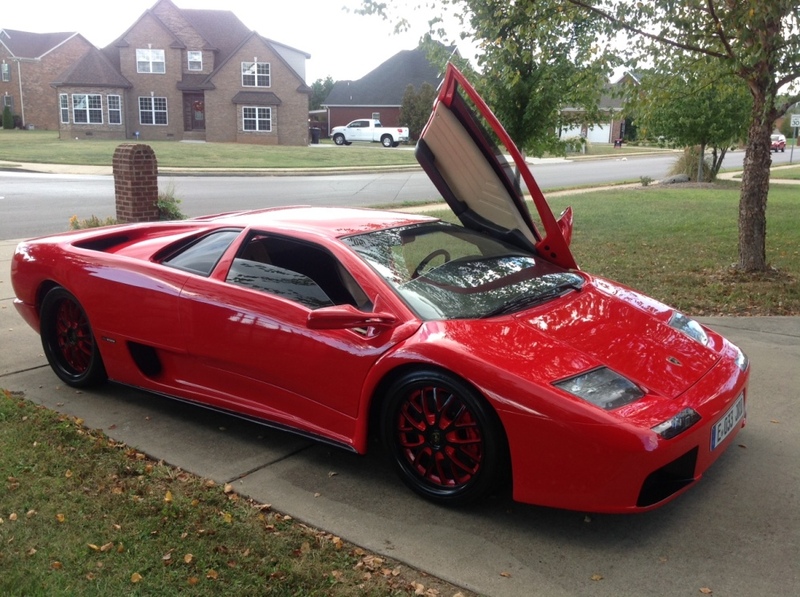 7" color monitor/rearview camera, backup radar sensors, AM/FM/CD radio, black/red leather interior, full instrumentation gauges, AC/Heater, tilt steering wheel, authentic Lamborghini emblems, many new parts. $38,000. SOLD 01 Lamborghini Diablo 6.0 IFG Replica on a 1985 professionally stretched Fiero GT, brand new c5 Corvette suspension all around front has very nice adjustable coil over shocks. There have been some major modifications like the fuel injected Lt1 corvette motor (350 HP) mounted longitudinal on a custom tubular frame, hooked to an Audi automatic transmission which shifts smooth without issues. The entire drive train drops out from under the car for major service. Painless wire harness, Real 220mph Lamborghini VDO gauges, Lamborghini emblems...To learn more click here. SOLD: 1995 EUROWORKS MIRAGE S LAMBORGHINI COUNTACH. 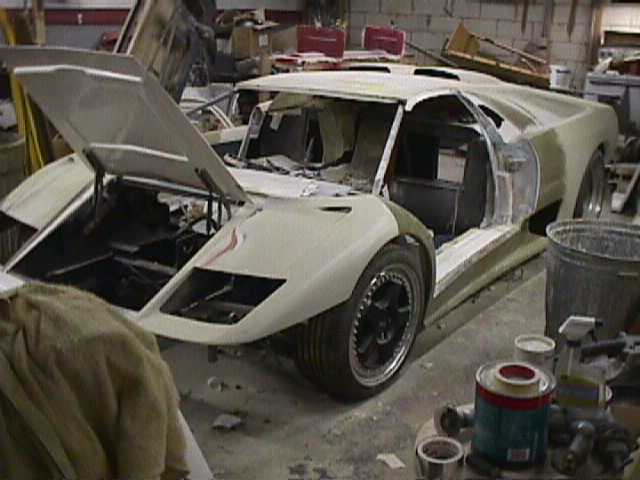 Full Tube Chassis (NO FIERO). Full air ride suspension with 10 gal air tanks and 100% duty cycle air compressor, car will sit completely on the ground when let down and has around 5" of ground clearance when raised. Wildwood disc brakes with cross drilled rotors, all the break pads are new and the calipers are powder coated dormant blue. Braided stainless brake lines all around. Sweet manual steering rack and pinion. Willwood triple master cylinder and clutch master cylinder setup. 1" circle track sway bar on the front. Colorado custom Billet wheels 18x12 on rear and front has 17x8. Nordskog digital gauge cluster. Learn lots more and more photos more click here. 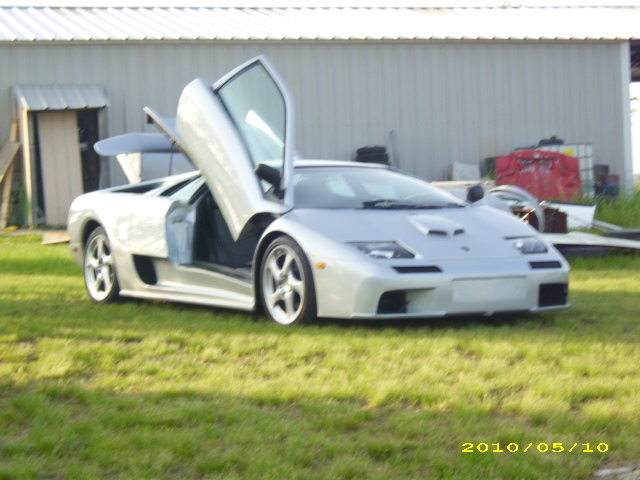 SOLD 2007 Murcielago replica built on a 86 Fiero chassis with a rebuilt 2.8 v6 power plant. Deep dish 20" rims on rear, shallow 19" rims on front. Professionally done with extreme detail. Exhaust is loud like the original. Car is street legal. Asking 55k obo and will consider trades and or cash and trade deals. more photos click here. "I asked you to advertise my car, it was awesome, lots of exposure, thank you....please mark it sold" -Casey. 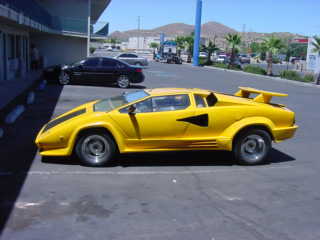 SOLD Countach replica. THE CHASSIS IS A COMBINATION OF ROUND AND SQUARE SECTION TUBE USING LIGHTWEIGHT DOUBLE "A" FRAME TYPE WISHBONES. THE REAR UPRIGHTS ARE TIG WELDED AS ARE THE WISHBONES WHICH ARE WRAPPED IN THE SAME MANNER AS RACING CARS. DUAL EXPLOSAFE FILLED GAS TANKS. 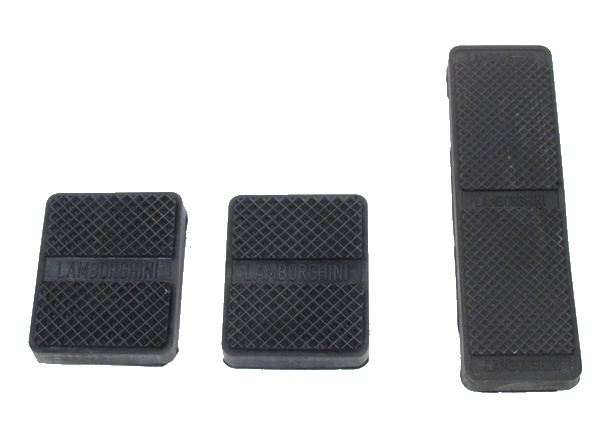 ALLOY PEDALS, ADJUSTABLE BRAKING FRONT TO REAR USING A TILTON SET UP. Learn more click here "The car has sold, thank you very much"
SOLD Corvette 350 Tuned Port injected V8, mirror image body with a professionally built tube chassis, coil over shocks, rack and pinion steering, corvette hubs, disk brakes, corvette axle shafts, corvette adjustable suspension, Porsche 5 speed trans axle. Corvette tune port crate motor with ceramic coated headers and dual exhaust. Boyd’s custom wheels with Pirelli P7 345/35/ZR 15’ Rears, P7 205/50/VR 15 Fronts. Real Italian white leather interior. 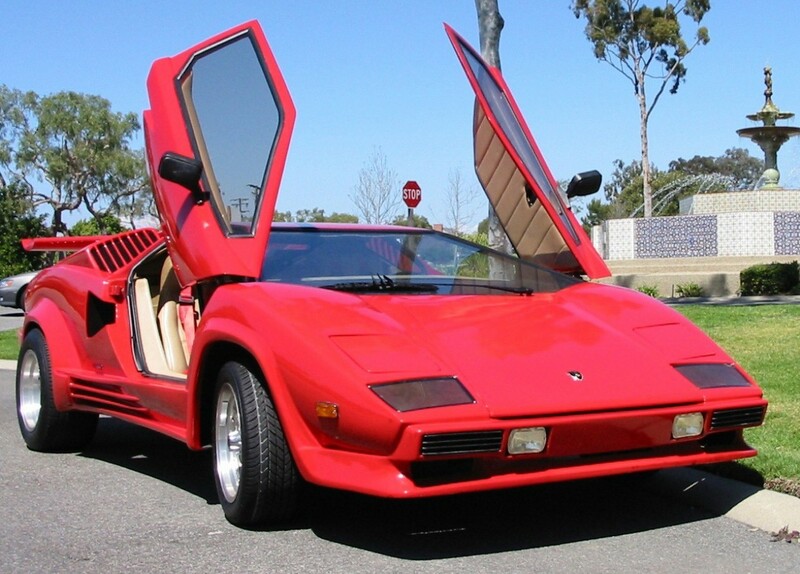 REAL COUNTACH INTERIOR DESIGN, MANUEL ROLL UP WINDOWS, NO TRADES PLEASE, AIR CONDITIONING, ALPINE STEREO WITH 6 DISK CD, DUAL FUEL TANKS. More information and photos click here. 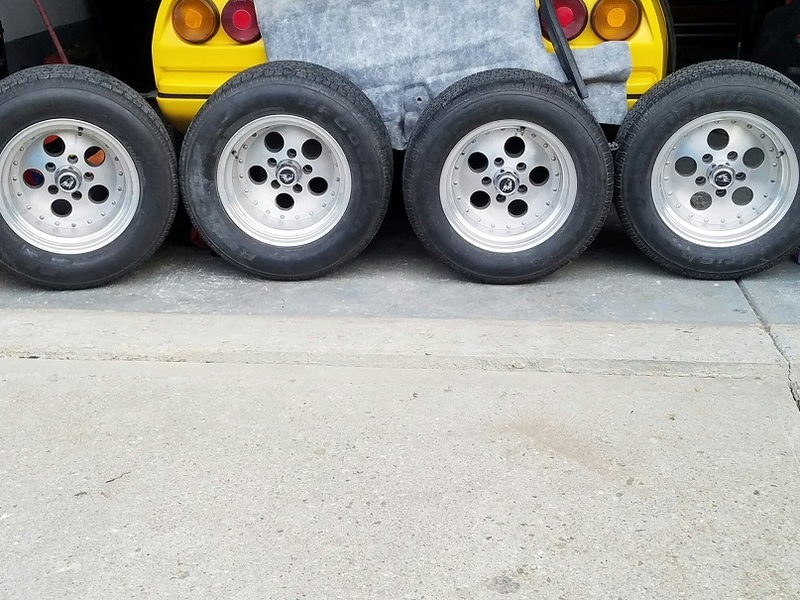 SOLD Correctly stretched Fiero GT. 3" stretch. Stripped for kit, ready for body. Thanks a million, it is definitely worth advertising here - this site is the BEST!!! 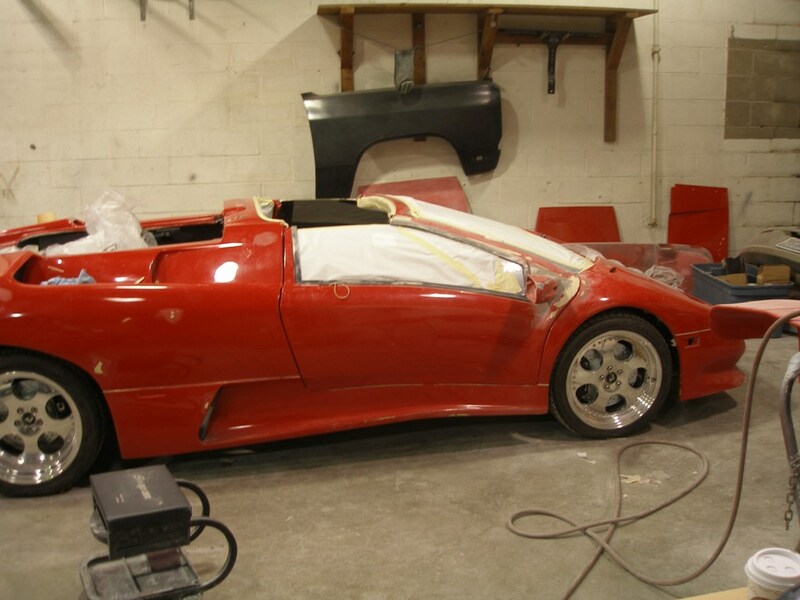 Keep up the great work.- John M.
SOLD 1999 Lamborghini Diablo Roadster D&R body professionally built by top gun. It has a perfect running tuned port injected LT1 engine from a 90's corvette with multiple professional upgrades to the motor giving it approx 400 hp but still a very reliable engine that does not overheat due to the aluminum 4 core griffin radiator in the front and the 2 radiators in the rear. For more info and photos click here. 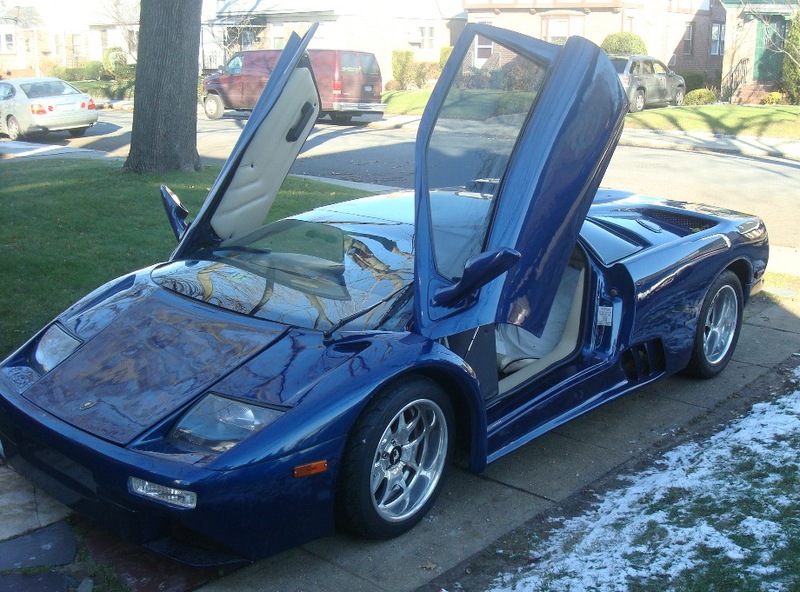 Good news I sold my Diablo roadster, the phone rang off the hook and the emails were tremendous Thanks again my friend. 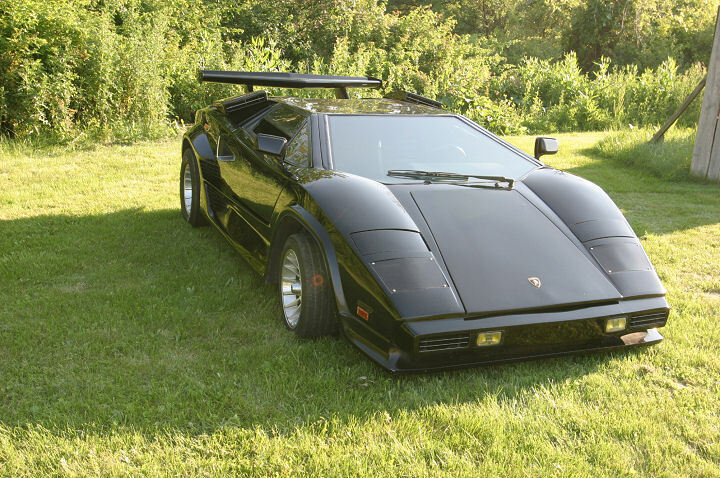 SOLD: 1988 PROVA COUNTACH REPLICA Car is a show-car special with only 3,100 miles over 20 years. 350 Chevy with high-comp heads (Crane Cam), 5-speed trans, Edelbrock 650 carburetor, a non-smoking car. NOT a Fiero Kit style frame, as component parts frame were specified by builder. 3rd owner needs more room for additional cars. Asking $32,000 OBO, no trades. Car has twin batteries, A/C, extra fans and exact dimension body (PROVA) and parts. For more pictures and information click here. 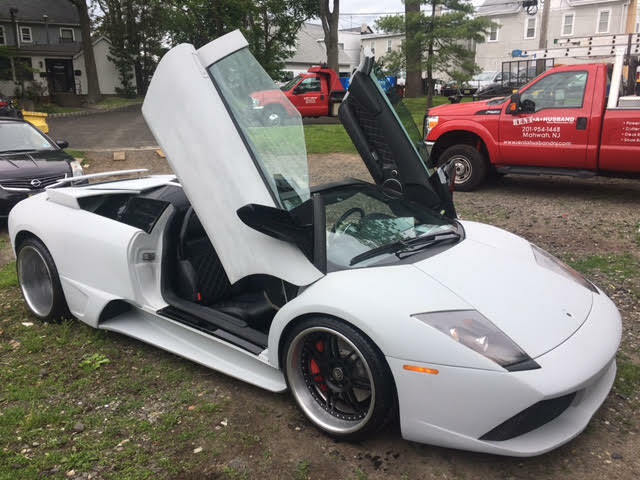 SOLD 2002 Lamborghini Murcielago Replica Kit/Project Complete removable hard top body kit with all interior pieces, hinges, head light lenses, head rests, tail light housings, head light trim rings and many more misc. parts. 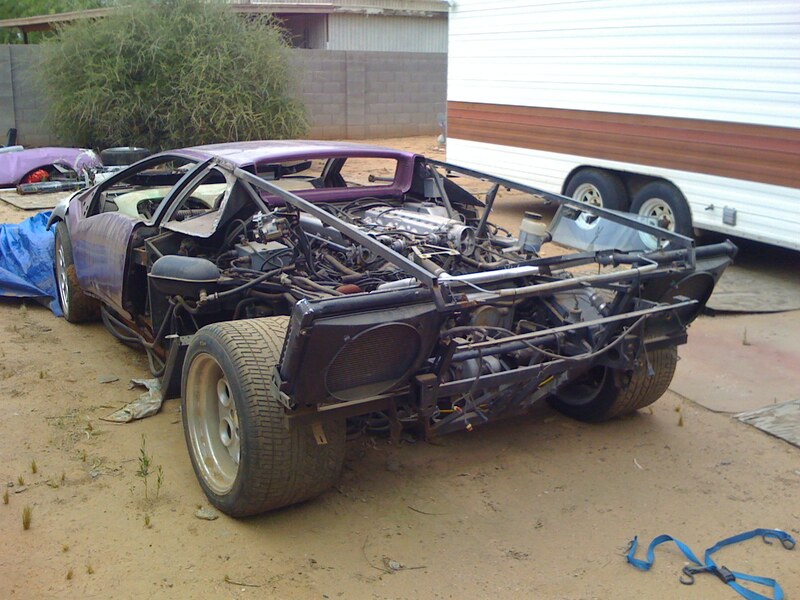 Chassis is a stretched 1984 Fiero with 325HP Chevy V8 installed with Archie conversion kit (4 speed Muncie trans). For more pictures and more information click here. SOLD THIS IS THE REAL THING. NOT A REPLICA. 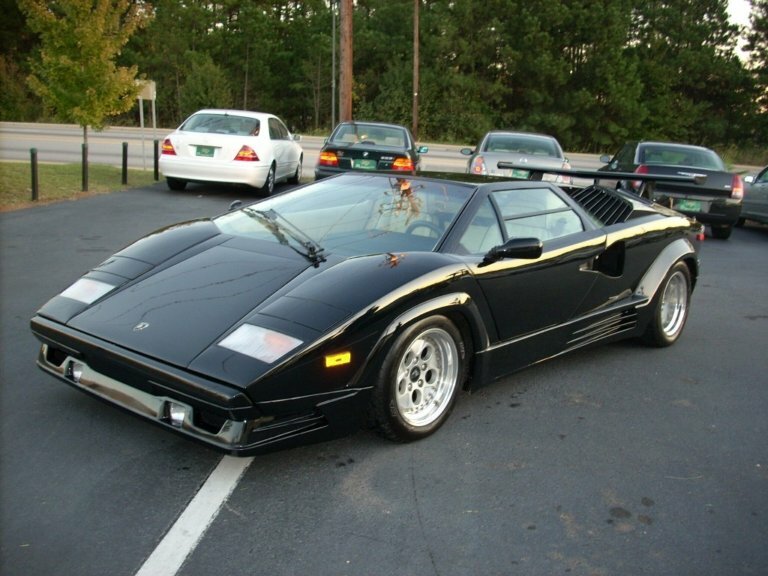 Lamborghini Countach Black 1989 7000 Original Miles Anniversary Edition Sale Price $122,777.00 FIRM Appraised at $145,000.00 Serious inquiries only Call Brian 864-787-4715 This is possibly one of the finest left in the world in this condition. 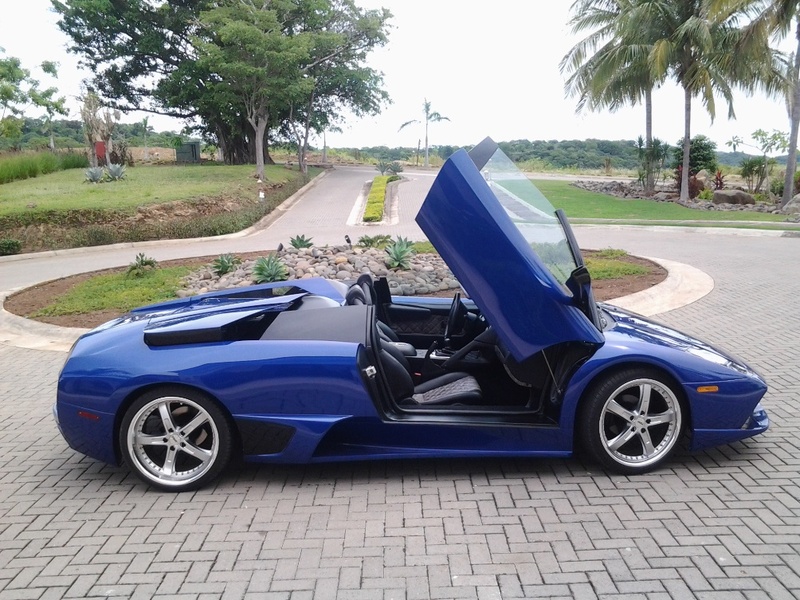 SOLD: Diablo Roadster Replica. Corvette 5.7 liter V8, Porsche 5 speed transmission, Power windows, pop up headlights, Sony stereo, 10 disc CD changer and power amp, BF Goodrich Comp T/A 255/40ZR17's in the front, Pirelli PZero 335/35 ZR17's in the rear. Car looks great, everyone thinks its the real thing, Runs great and sounds mean. I have lots of pictures. $40,000. 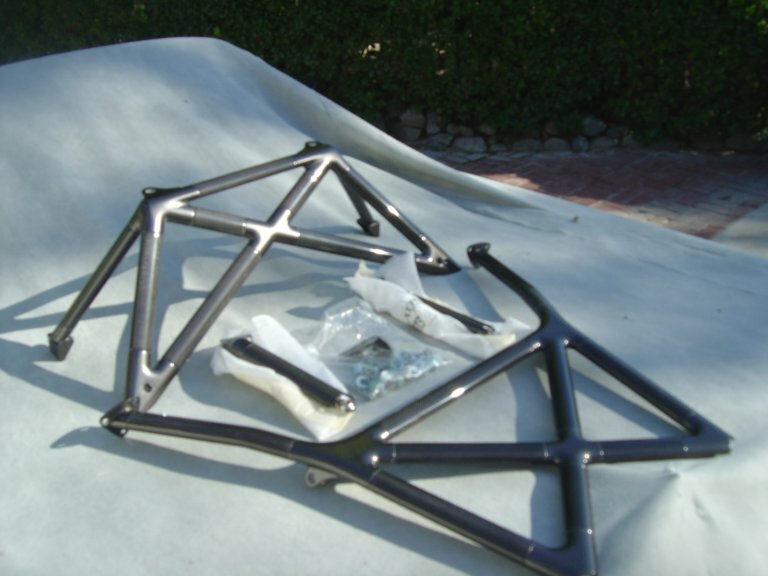 SOLD: 08 Lamborghini Carbon Fiber Engine cage complete with hardware. I just unwrapped it from the factory packaging to take the pictures. My buddy spent over 20 grand to buy this to update his 05 to the newer, lighter carbon cage, but sold the car before installing it. $6000. 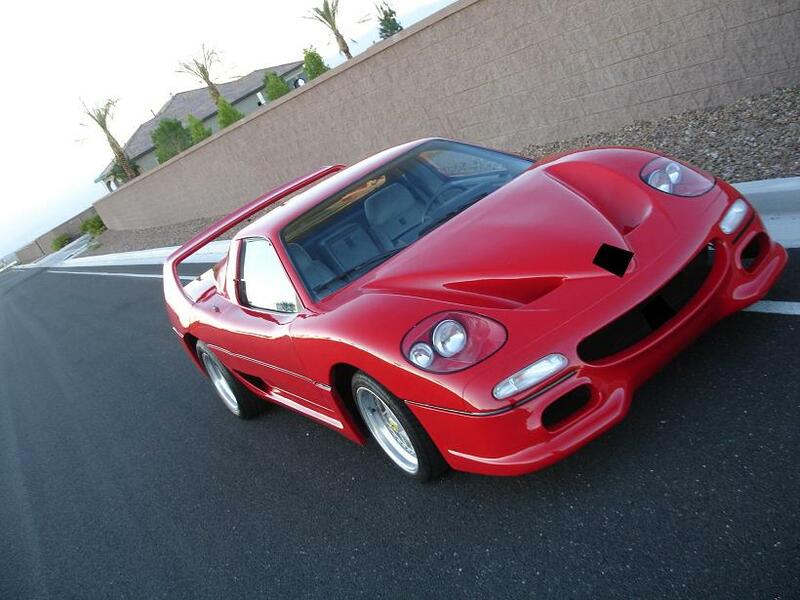 SOLD: VERY RARE F-50 Ferr@ri . Amazing Deal. Moving and must sell soon. $16,900. Daily driver. -Mike Dear Webmaster, "Thank you for posting my last Diablos....they sold very quickly". 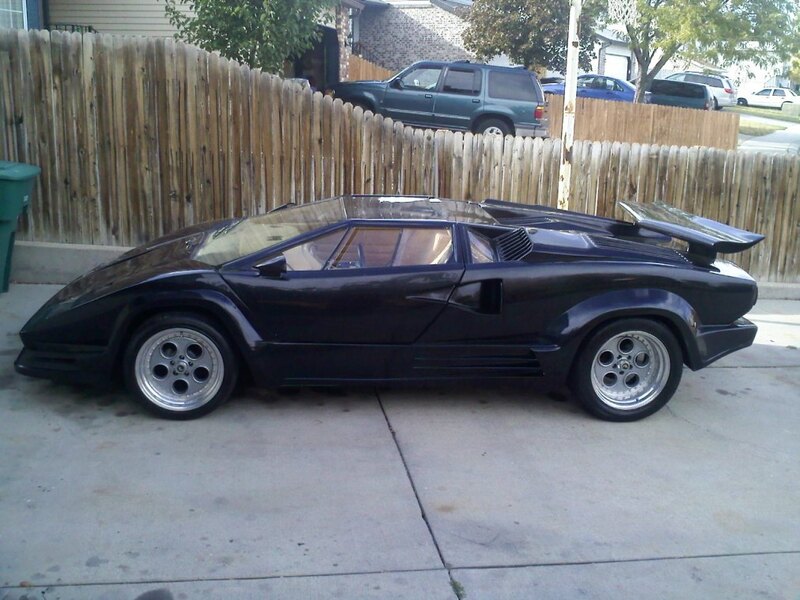 SOLD V8 Lamborghini Countach Professionally built V8 Countach on 84 Fiero pan. Very nice car. 4,000 miles on ZZ4 crate motor. 350+ HP. 5 speed Getrag transmission. Many extras. The doors open by remote control. Needs minor details. Nothing difficult, time consuming or expensive. No surprises either. $22,000. 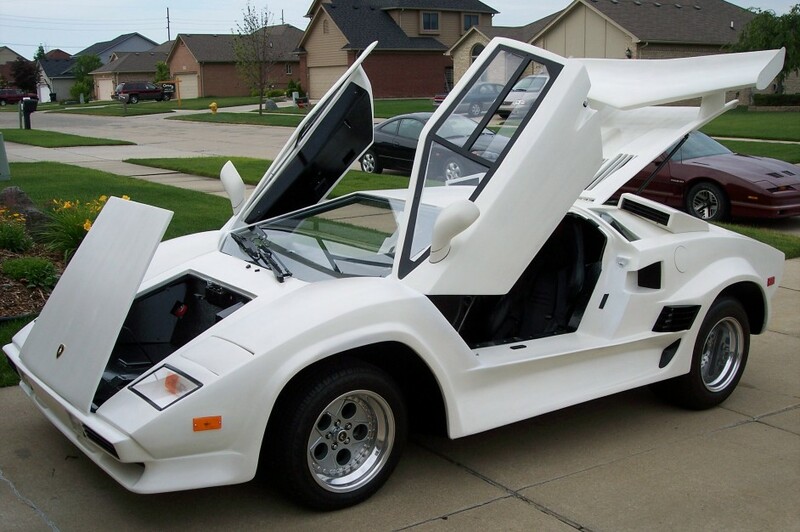 SOLD: Replica Lamborghini Countach 25th Anniversary Edition. 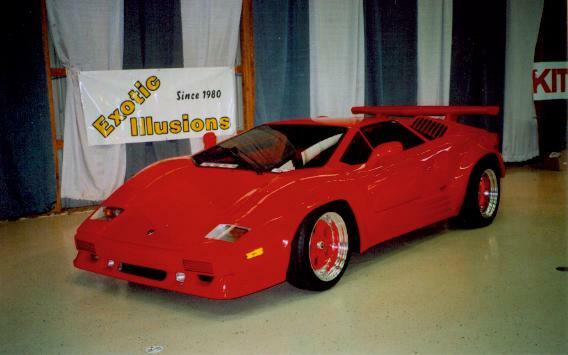 1989 custom built by Exotic Illusions Dec 2006. 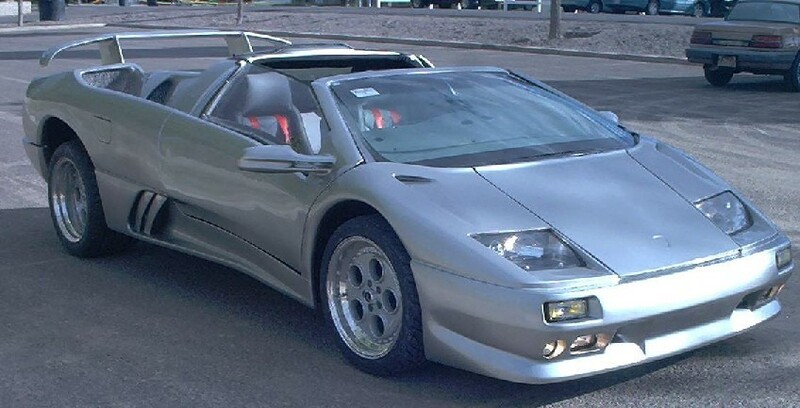 Fiero 1988. Body stretched 5 inches. V6, 5 speed, a/c, heat, camera, remote alarm and popup doors, JVC stereo, DVD 12 disk changer. New engine driven only 3000 miles. 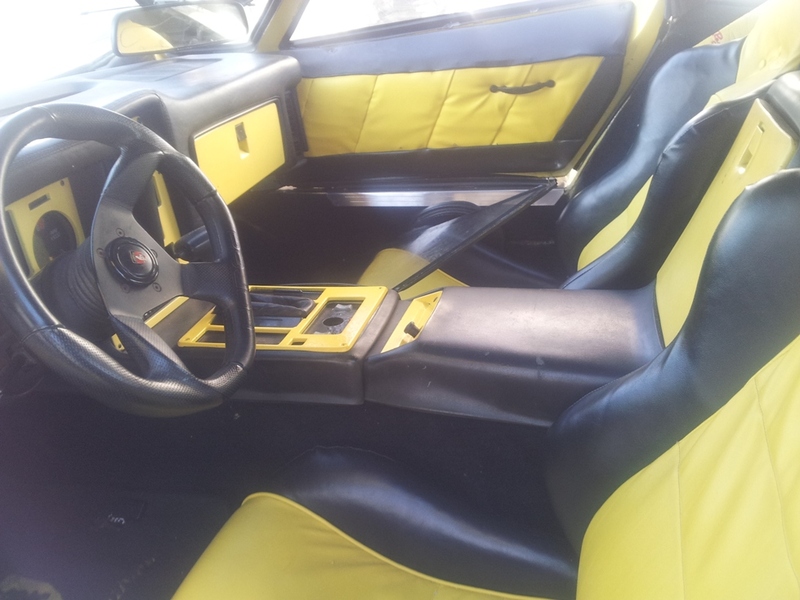 Custom black and yellow interior leather, replica wheels. Mint condition. Must see. $40,000. 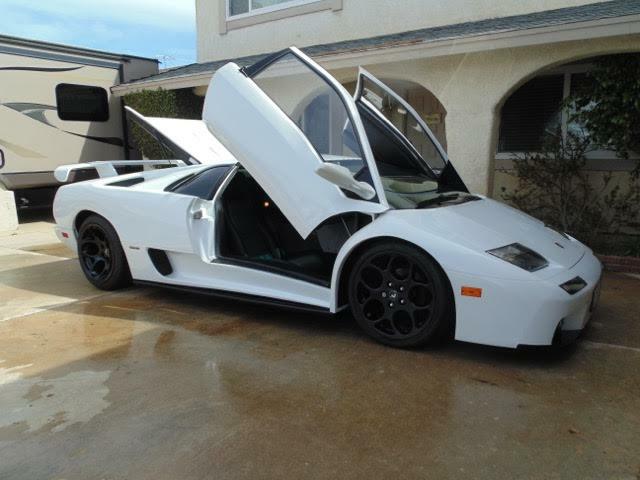 Will also trade for turn key Diablo convertible or hard top. Long Island NY. "My lambo was sold on your web and looking to sell another" -Eric. 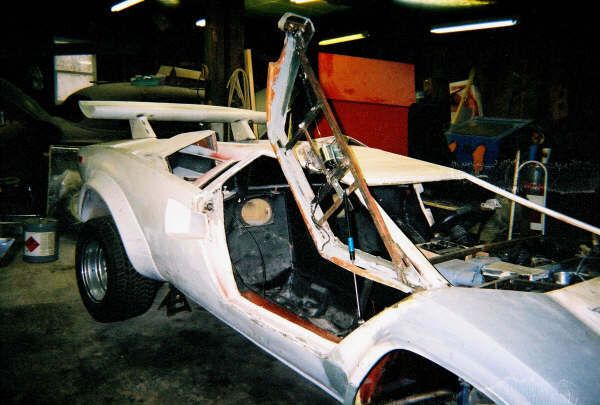 SOLD: Unfinished Lamborghini replica. Un-stretched 25th annv. Asking $8,500 Palmerton P.A. 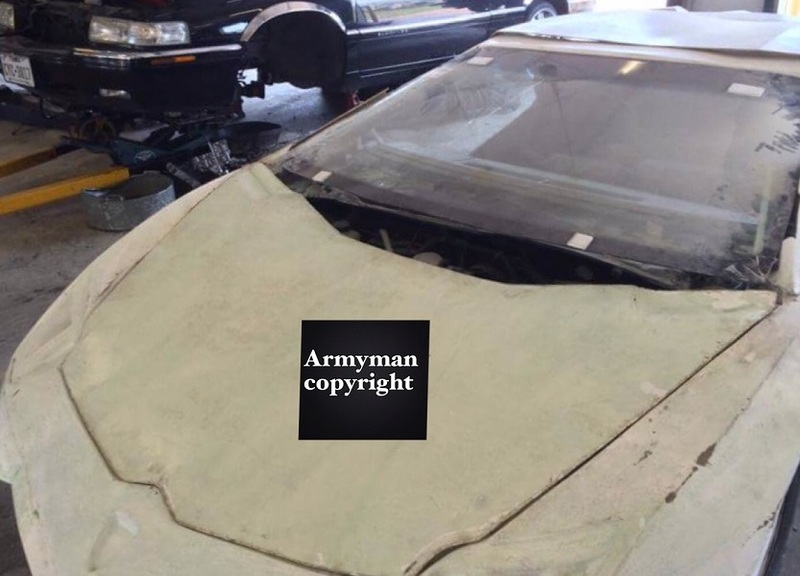 Donor car is a 84 Fiero and the body is an 89. The car and chassis are put together and I have been driving this car for almost a year. The car body was made by DNR Replicas and was put together by me. Custom made windshield and wiper, new front brakes and calipers, all working lights, brand new exhaust [duels with tips], motor is a 4 cly, trans is auto, both work great, new door struts, California replica tail lights as seen on newrule.com. WHAT THE CAR NEEDS TO BE FINISHED: a dash, finish off n seal interior panels, head light motors put in place, which come with the car! a paint job, currently in blue [not done]. Needs door glass, has plastic windows now! Needs wheels n tires, a dog bone and a wing. Hood, trunk and engine cover are hinged but need latches. "Fred, I would like to thank you for your help!!" 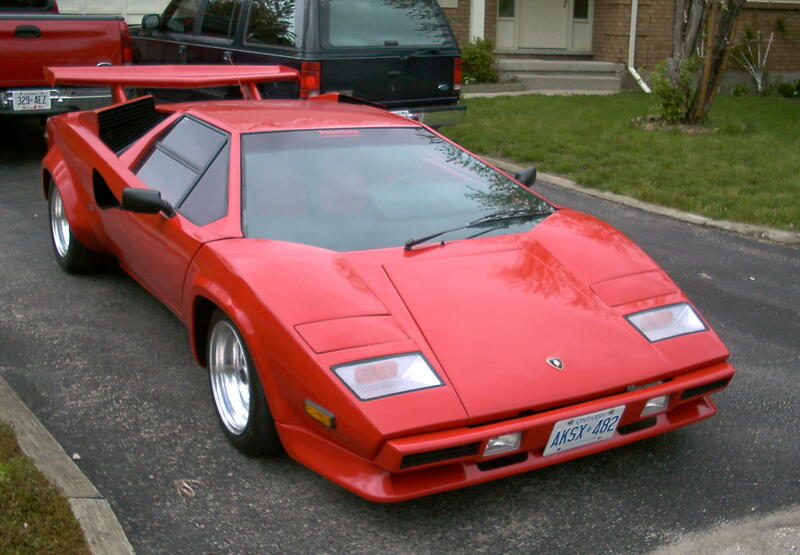 SOLD: Audi transmission and Lamborghini Countach Leather covered seats with Lamborghini Embroidered on them. "Your web site is an invaluable tool for all of us here in the kit car world. Much thanks". 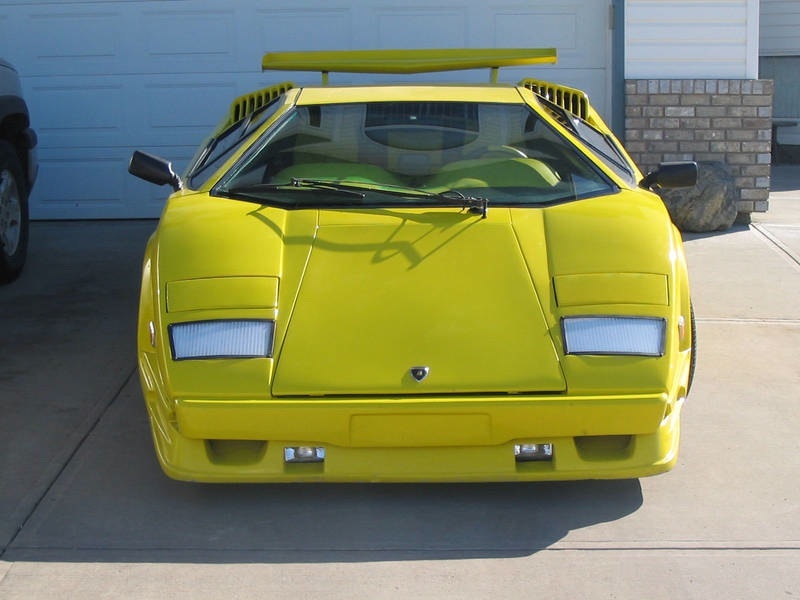 -Randy M.
SOLD (TRADED): Lamborghini Countach replica. 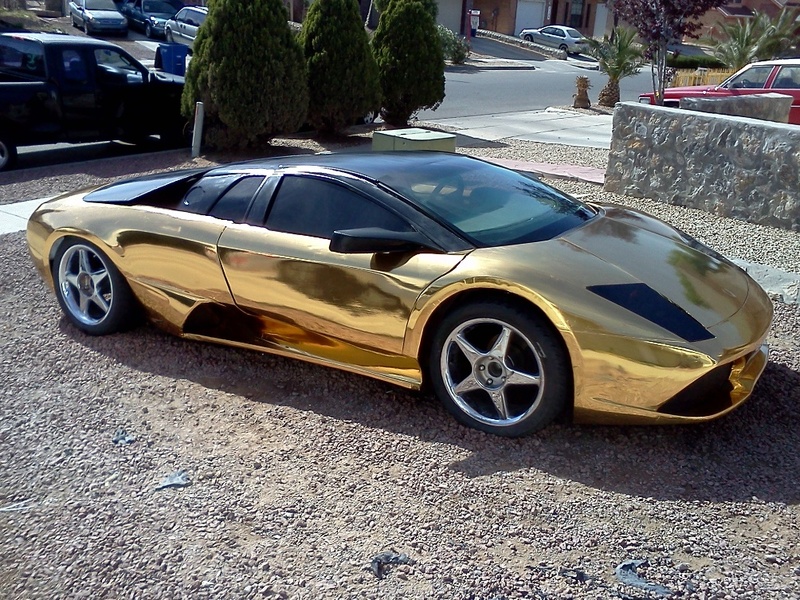 This is a EDM (Exotic Dream Machines) car. Built in California and titled in 1988 VIN # CA460722 Special Construction. 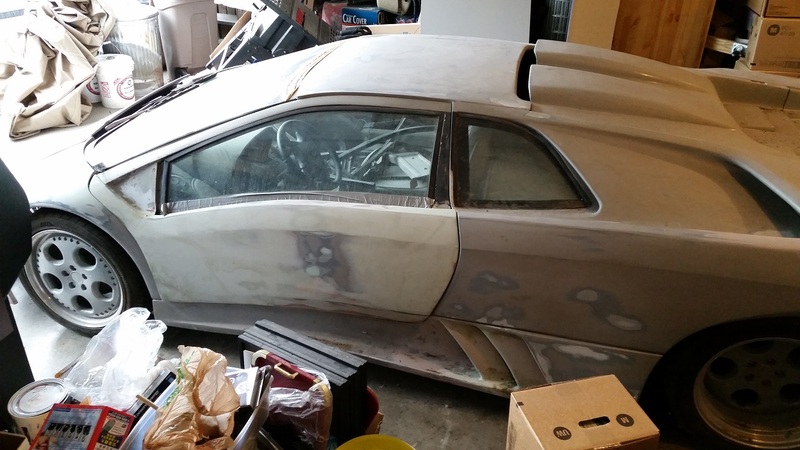 (Ebay will not allow to list without a 17 digit VIN) Car is built on a custom round tube frame (NOT a FIERO) GM front suspension and steering, rear suspension is from a Porsche, including 5 speed trans, shifter, hubs, brakes, and new adjustable coil over shocks. White with red interior. V8 . More photos and information click here. 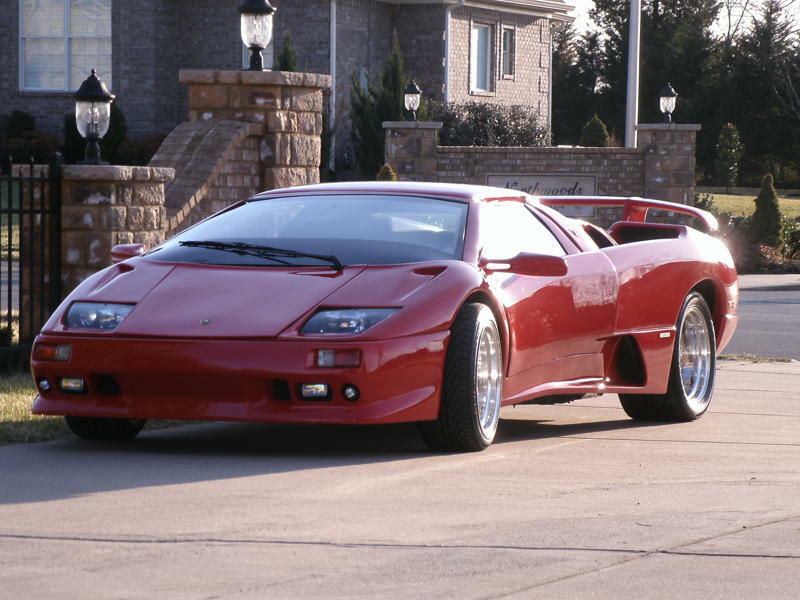 SOLD: Meticulously crafted 1999 Lamborghini Diablo Roadster VT replica. It is a 100% complete turn-key with clear title. Recently inspected and ready for an Italian sports car enthusiast. 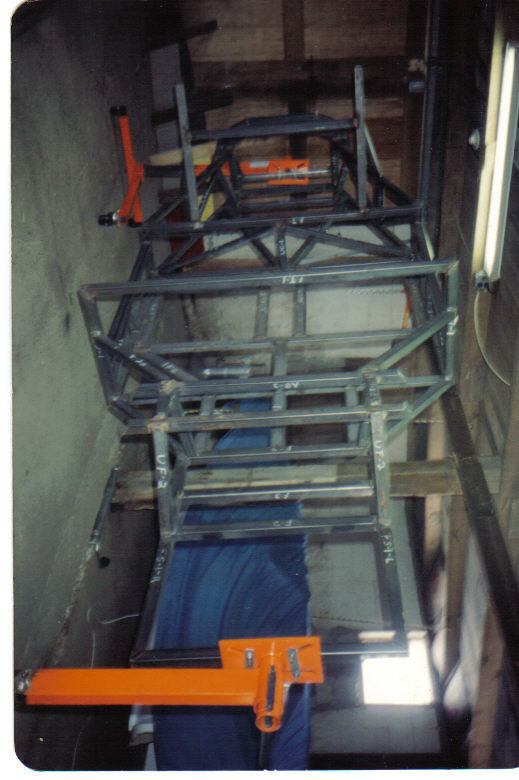 Construction began in 2003 by Rick from D&R Replicars out of Allentown, PA. The engine, drive train, suspension wiring, interior, and the finishing touches were performed by Demetrios from Exotic Illusions, of Archbald, PA and was completed in 2011. Learn more click here. 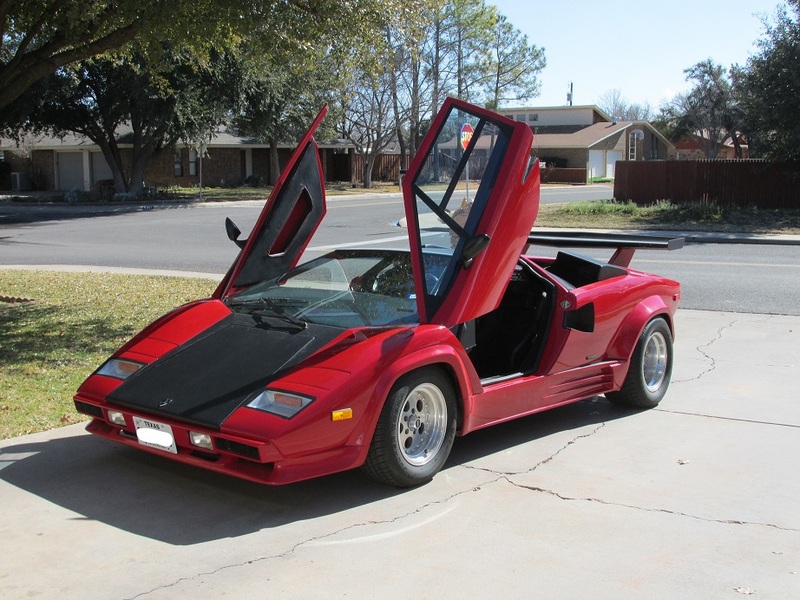 SOLD: 89 Countach 25th anniversary edition replica. Based on a stretched and widened 86 Fiero. 93 Cadillac North Star 32 valve all aluminum v8. All Cadillac running gear. all real Lamborghini glass. Brand new P Zero tires. remote door poppers all lights work. dual power antennas. everything works. speakers in head rest. the only problem is that the paint is not in perfect condition. its shiny paint but does have some scratches. $24,000 , car was professionally built in Canada -Thank you so much for your website, I sold my car for full asking price. 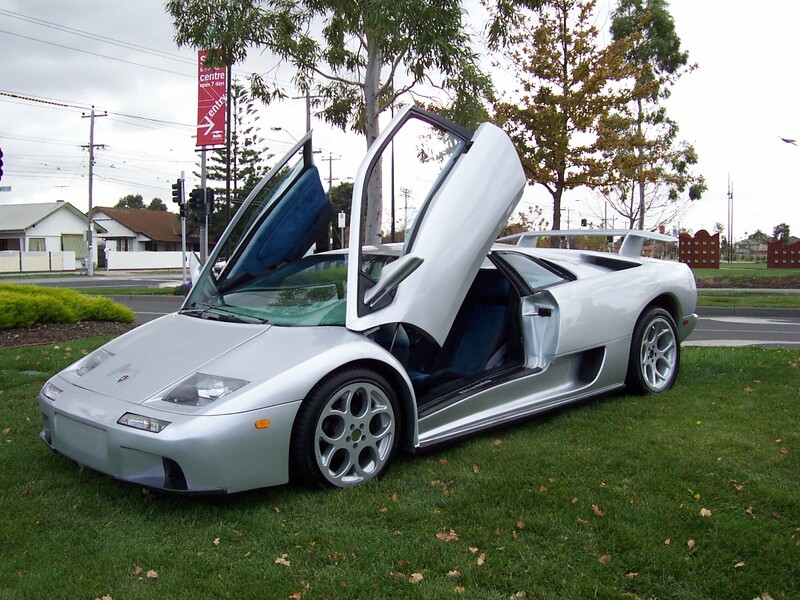 best website for selling Lamborghini replicas! 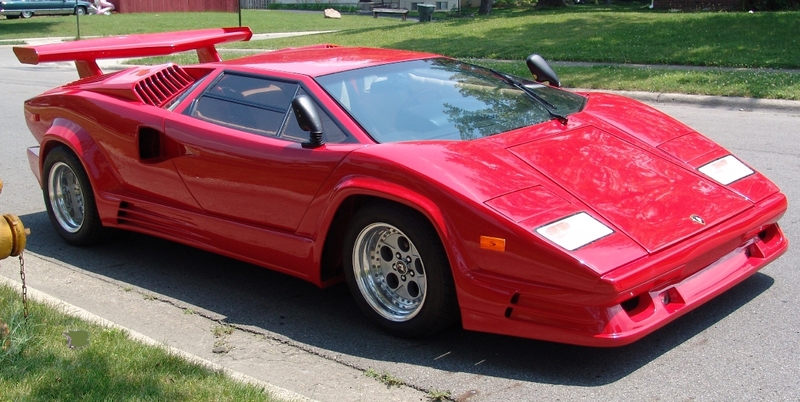 SOLD: 89 COUNTACH REPLICA IN NEW YORK. BUILT ON 86 FIERO CHASSIS. 4 SPEED. GREAT CONDITION. RED WITH BLACK INTERIOR. A/C, CD PLAYERGARAGED KEPT, BUILT BY RON'S TOY SHOP IN BC CANADA. A REAL HEAD TURNER. "Your site is the best my car sold in 3 weeks, my sincere thanks to all" -J. Adamo, New York. 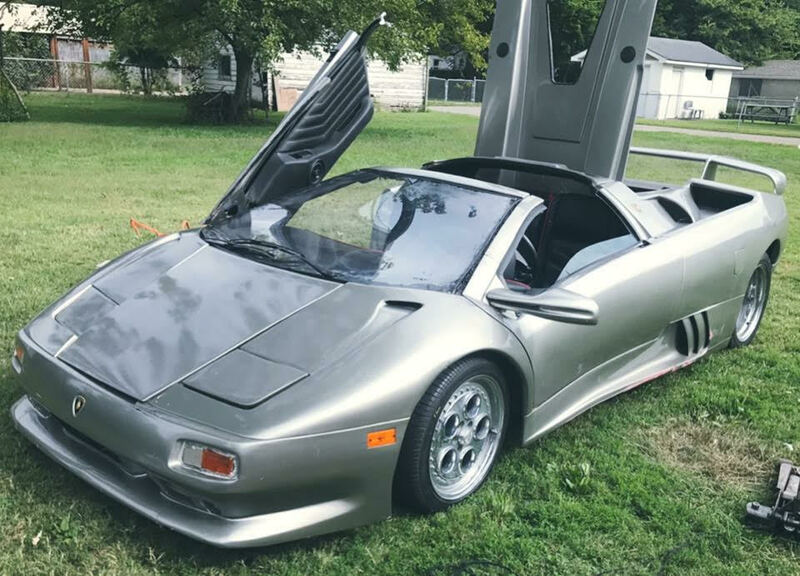 SOLD: Silver 1998 Diablo body over a 1987 Fiero. 100% finished and ready to drive. Automatic V6 Fiero engine. Windshield wipers don't work. Automatic windows need to be repaired. Other than that car is in impeccable condition (garage kept). Bought it completely installed from Jovi in Fort Lauderdale FL. Asking $35,000. "I would like to thank you for the ad. I got full asking price" -J.Abed. SOLD: PROFESSIONALLY BUILT Ferrari F-50 traded. 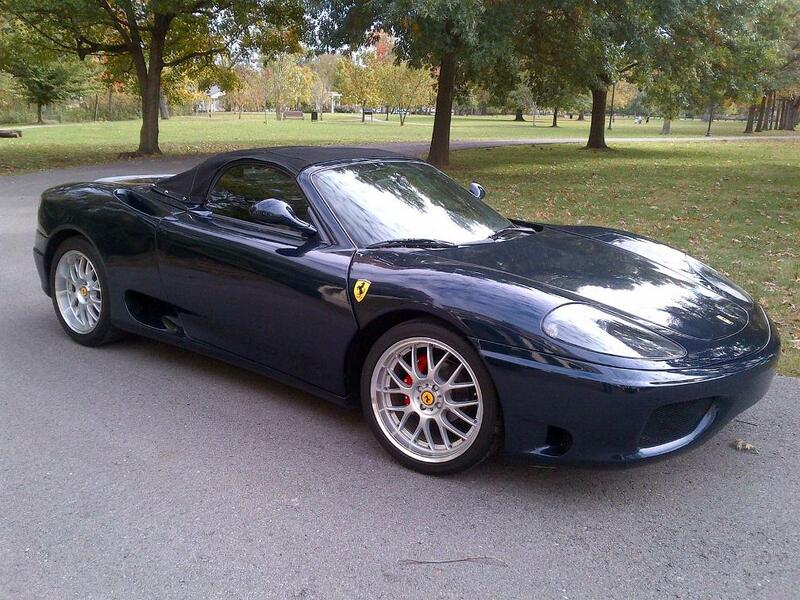 "Just wanted to say thanks for letting me advertise my Ferrari F-50 on your Lamborghini web site. 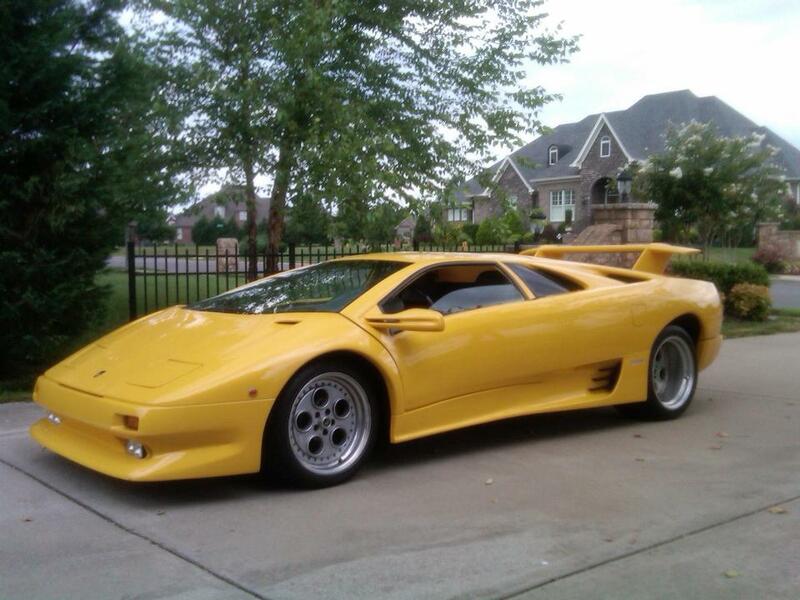 I have successfully traded it for a Beautiful Lamborghini Diablo" -R. Morrow. 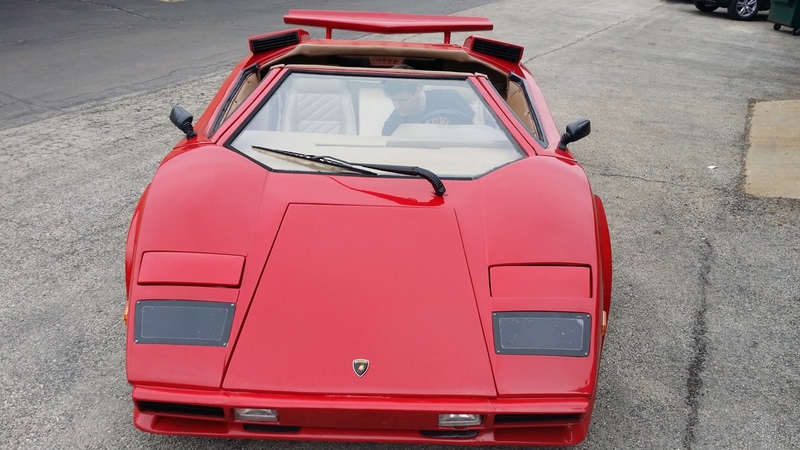 SOLD: 1978 Lamborghini Countach LP400S replica. 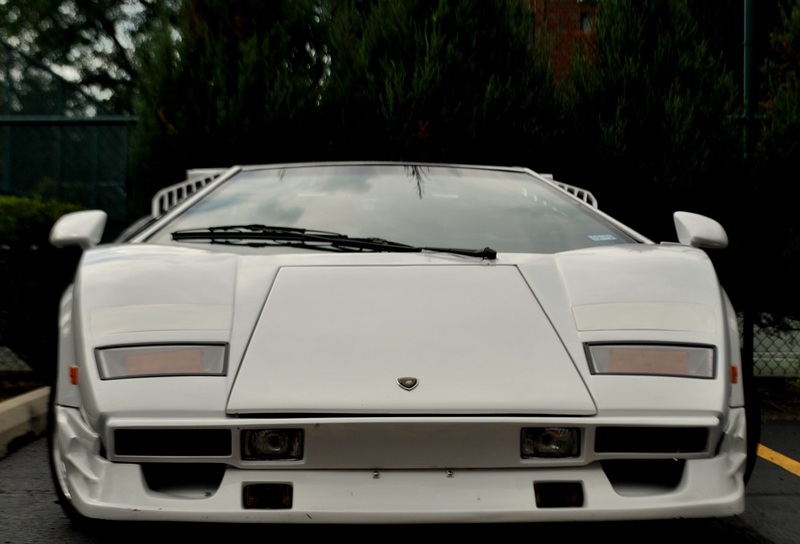 Of the LP400S (1978-82) made by Lamborghini, only 3 were made with the "Periscopa" roof. Professionally built on an 86 Fiero. Stretched and lowered to look real. Registered in TX as 1986 Pontiac Fiero. Very well put together replica except for the original Fiero interior (which needs to be replaced) and a custom cluster for the dash needs re-done. Pontiac 2.8L, good power, runs very well. Transmission standard 5 speed. 4 wheel disc brakes and independent suspension at all corners makes this car handle and stop impressively. The front pop-up light spaces are there if buyer decides they want them installed. 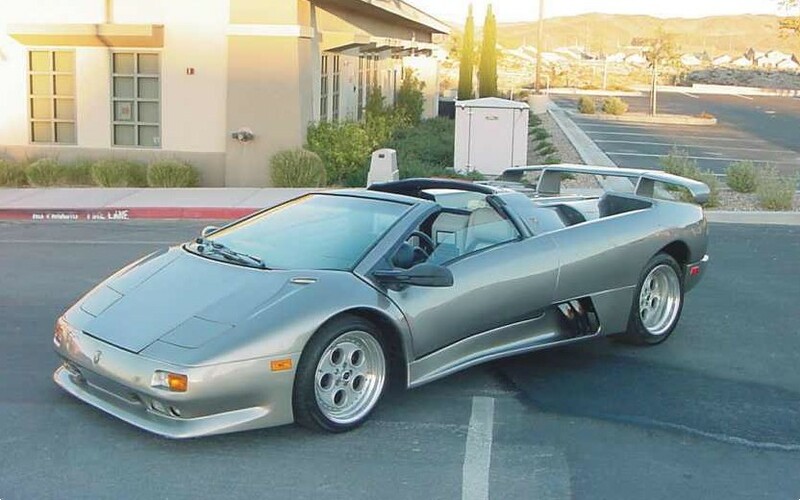 Seller retracted ad Diablo VT Replica, gorgeous, wide and low, exact dimensions of the body, runs and drives, based on a stretch Fiero chassis combined with tubular frame (very solid), keyless entry, power doors, hood, trunk, power mirrors, backup camera, AC, real fully working interior vents, many original parts, vdo gauges, Lamborghini electrical switches (working), CD with 4 speakers, working wiper, working e-brake, fully working popup headlights, fully movable seats, seat belts, all disk brakes, tilt, engine block heater, backup door and trunk openers. For more info click here click here. 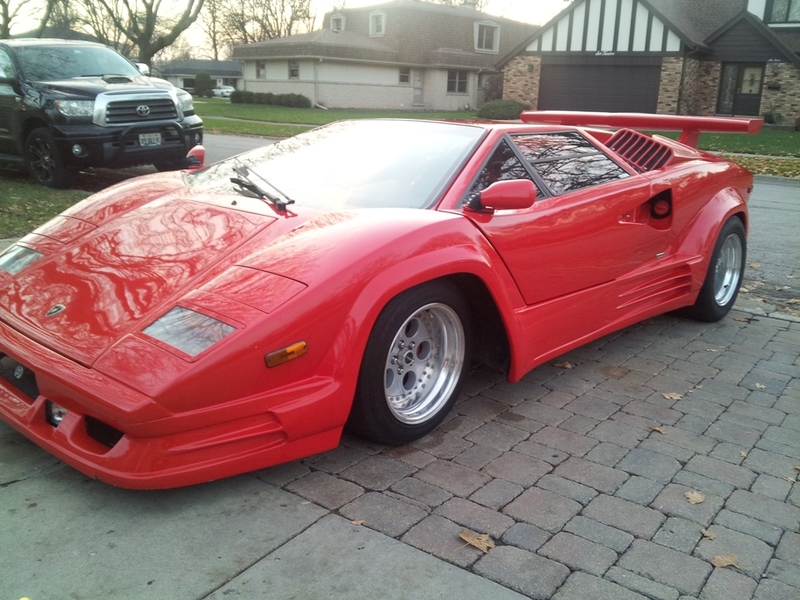 SOLD: 1985 Lamborghini Countach 5000 S replica (Fiero based). 96 inch wheelbase. For parts only. More pictures available. $4,500 or best offer. SOLD: Lamborghini 6.0 Replica, V6 E.F.I. 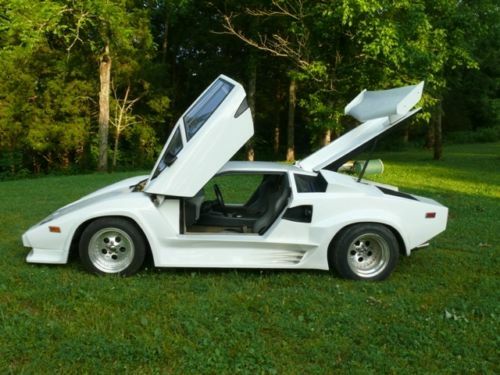 Immaculate Condition, No expense spared, Car Features New Reconditioned Modified V6 Engine on a Fiero 1985 GT Chassis, Alcantara Suede Trim, 6.0 dash, Stereo with Remote, 6.0 Replica 18" Wheels with New Tires. 5 Speed Getrag Gearbox with new Clutch, New Silver Paintwork. This Car looks very real. It drives very well, Needs nothing as i have done everything, Runs very cool, And is a very reliable car and a real Head Turner. I have done Engine work to boost the Power. Car is located in Australia and has a California Title, I can ship this car too the U.S. for $2,900 U.S. Asking $39,000 U.S. Plus $2,900US for Freight. 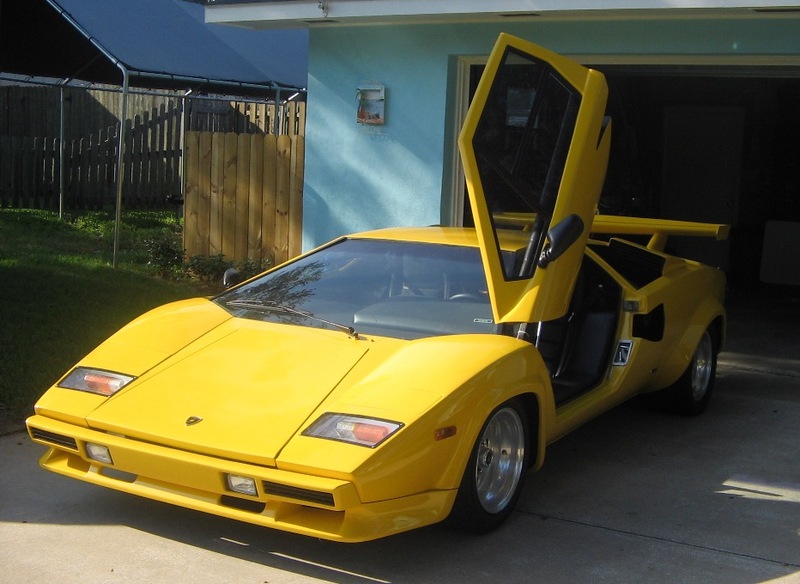 SOLD: Lamborghini Countach lp400. Murcielago orange color. 12 cylinder, carbureted engine. Five speed manual transmission. 35000km. Very good condition 72000usd. This is the real thing!. The car is located in Switzerland. Shipping easily arranged. 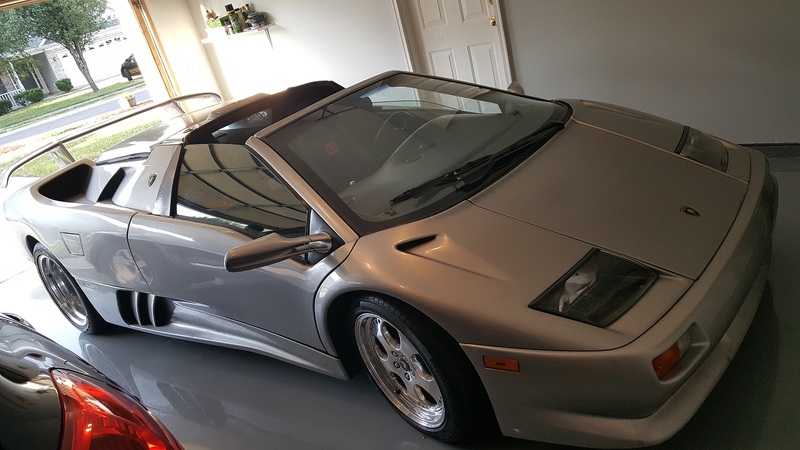 SOLD: 1999 Diablo roadster VT ext. Fiero tube chassis, BMW v12. Porsche 5 speed transmission. Coil over racing suspension.12"disc brakes, power. 0-60 4.4 sec. Top speed 180mph. THE MOST REALISTIC KIT CAR AVAILABLE.100 % COMPLETE. TORONTO CANADA. $85 000.00 Canadian. 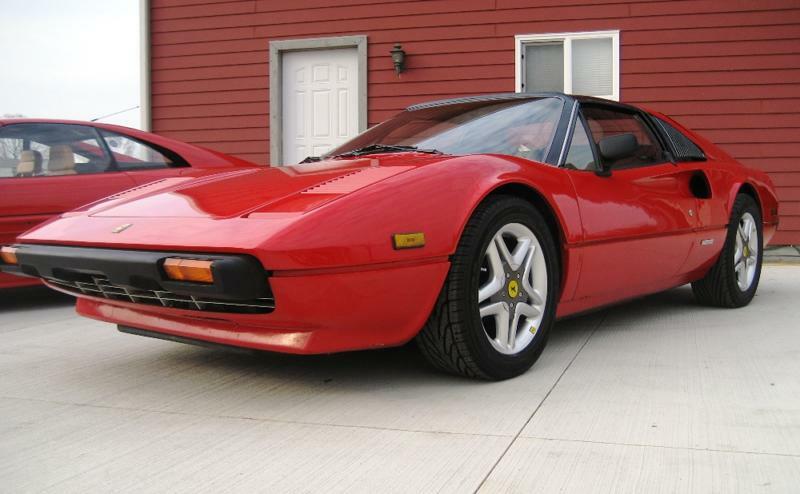 SOLD: Rare 1996 Ferrari replica, registered as original Ferrari. The car has complete Momo Ferrari interior package and other Ferrari parts, powered by 2.8l V6 with 5 speed manual transmission, runs and drives. It is a 'theft recovery' and has some scratches on the body etc, needs 1 new tire, and some TLC (electrical work), it has a clear title (does not require a write-off inspection). Selling 'as-is' no test drives during winter, detailed pictures available, for quick sale 14900$ (Can.$) firm. SOLD: 1986 Ferrari 308 Replica built on a 1986 Fiero GT Chassis, with 121,000 miles automatic,6 cylinder, Gray Interior, Car is drivable, Needs a few more items to Completely Finished, Paint the Car color of choice, Install Back-up lights, Route Exhaust pipes thru Openings, Repair Tear in Drivers side seat, Tires need to be Balanced car has sat for sometime , Runs good sold as is . $7900. 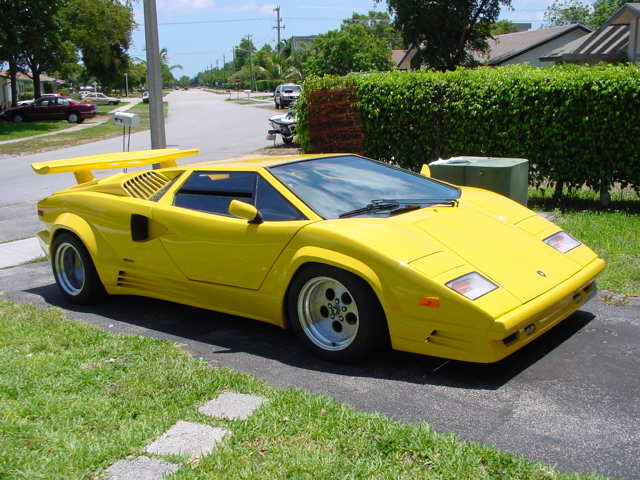 SOLD: I have a Lamborghini Countach replica 25th anniversary for sale! $10,000 firm! 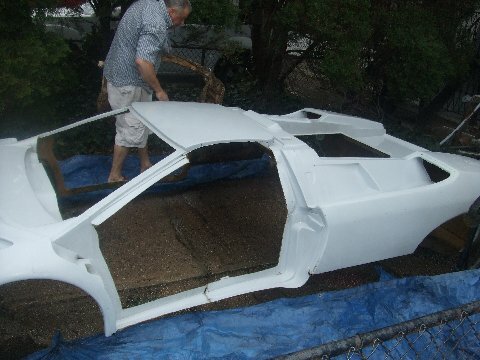 84 Fiero frame under fiberglass body 151 c.i,3 speed automatic [non stretched] currently driving back n forth to work needs to be painted, interior finished. SOLD: FERRARI 355 SPIDER KIT. MOULDED OFF THE REAL DEAL THIS KIT IS AMAZING LOOKING. 4CYL,4SPD, P/W, PAGER ALARM WITH WINDOW CONTROL AND DOOR POPPERS, ALPINE CD, COILOVERS, PERF. EXHAUST, 99K MILES ONLY 106 ON SINCE BUILT. 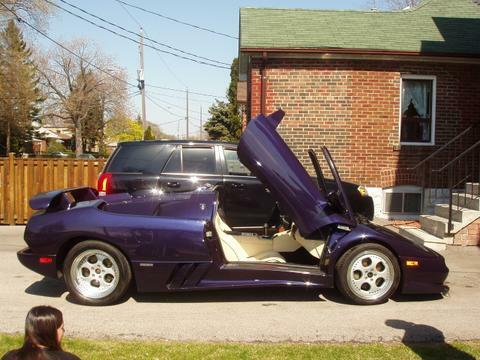 LOTS OF EXTRAS WILL CONSIDER TRADES LIKE NEW AVALANCHE, DIABLO ROADSTER REPLICA, OTHERWISE $14,900. COLUMBUS, OHIO. SOLD Featured Kitcar magazine. Cover of Kitcar Illustrated . 1989 25th anniversary replica on a 1985 Fiero chassis stretched to a 98" wheelbase using a 305 cui. Chevy V8 300hp. and a heavy duty 4 speed. trans. Custom exhaust twin cats, aluminum radiator A/C and much more not listed. Car has been in storage for 6 years only driven 2850 miles and has been completely serviced including brakes, tune, fluids, with extensive road testing. She handles like a dream. Constructed using many OEM parts such as Windshield, Wiper Arm, Park Lights, Power Mirrors, Tail Lights, Exhaust Tips, and Emblems. 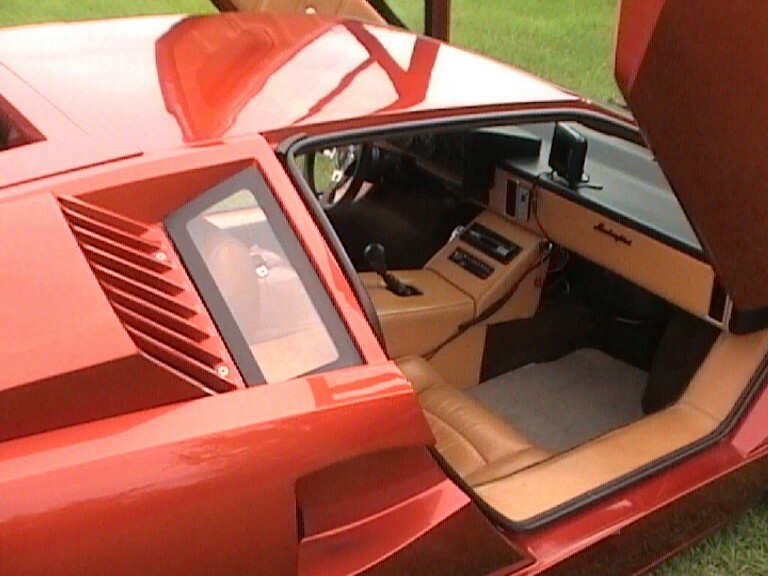 Original Lamborghini red with tan leather interior. Sony deck and Amp, 10 disc CD changer and Polk audio speakers. Custom alarm system with remote doors. SOLD: Ferrari Testarossa Replica. Body is exact measurements. Interior is good. Car sounds great, drives well, recent service. Lots of attention. Serious inquiries please. I have more pictures. I will help with shipping. $17,000. SOLD: Based on a "85" fiero,auto,v-6 270hp,air,tilt,cruise,power mirrors, keyless entry, alpine stereo, spider racing seats w/3 point belts. All new suspension., bushings, bearings, rotors, calipers, brakes. Lamborghini engine detail, Lamborghini exhaust, Lamborghini wiper w/washers, Lamborghini lights, turns, side markers, Lamborghini rims. front and rear hoods are hydraulic, all the vents and scoops are real and functional. Door windows open 3" like the real car. The body is blocked and primed paint ready, all the interior panels are made and in ready for leather. $20,00.00 FIRM. -John. 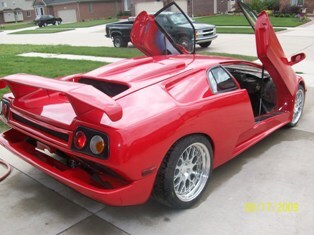 DECIDED TO KEEP: 97 Lamborghini Diablo VT. Proper length, width and height. 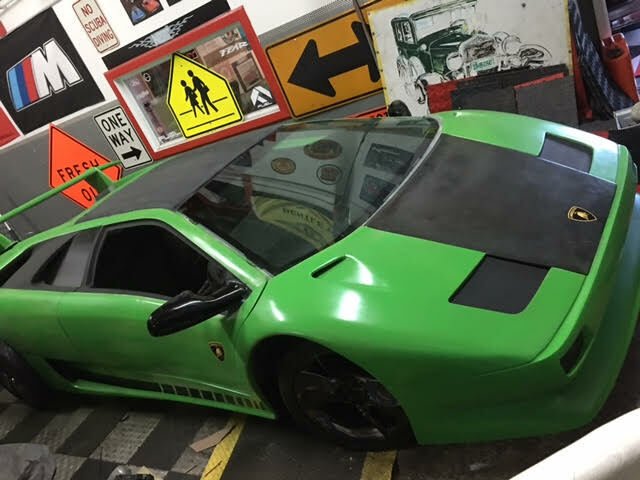 Authentic Lamborghini lights, front and rear, Lamborghini interior, DVD player, ( partially installed ) correct wheels / tires front and rear. Brand new clutch recently. Car runs and drives. Currently has the V-6 with the manual trans. The car is 90% complete. 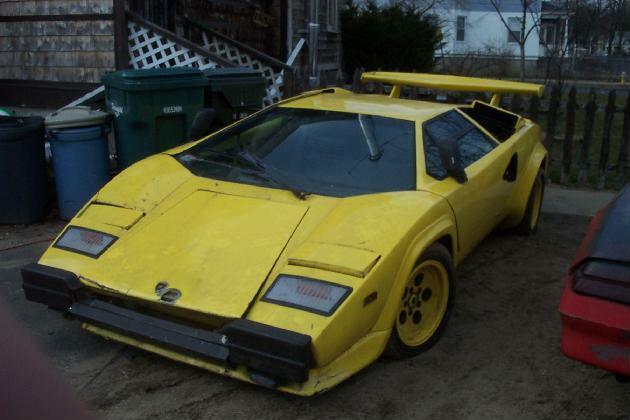 $28, 000 firm or will trade for Stretched Countach. complete 4.6 Ford V-8 with Audi 5000 transmission also available. 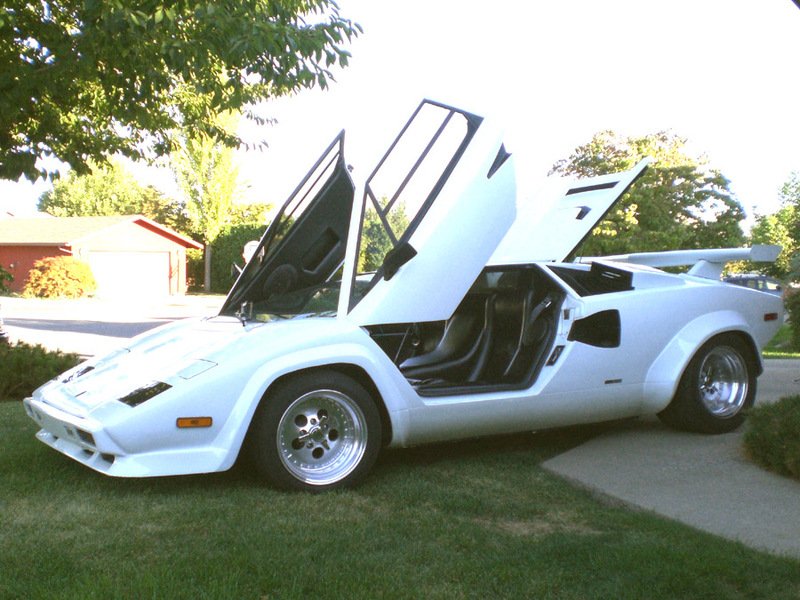 SOLD: 2004 Lamborghini Countach Replica Exotic Illusions turnkey. Less than 400 miles since completion in March 2004. 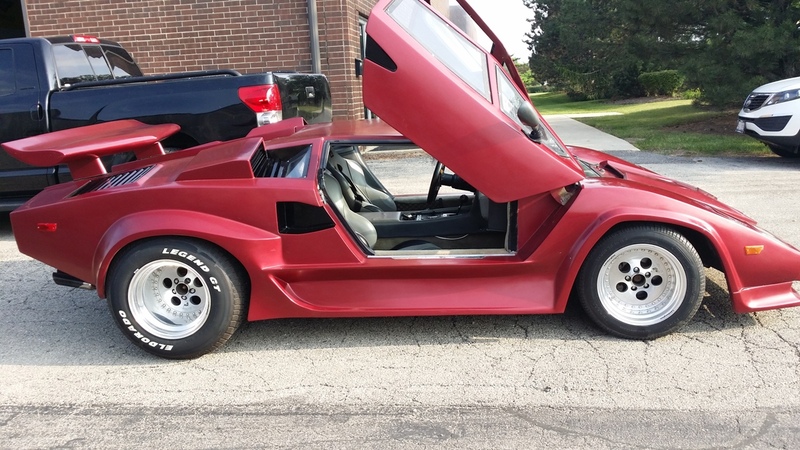 1987 Fiero chassis, V6 automatic, AC, Momo steering wheel, ANSA tips, Compomotive rims, Alpine cd with power amp, custom leather package, OEM windshield, light assemblies, Lamborghini badges, too much to list. Check out my webpage for full details. 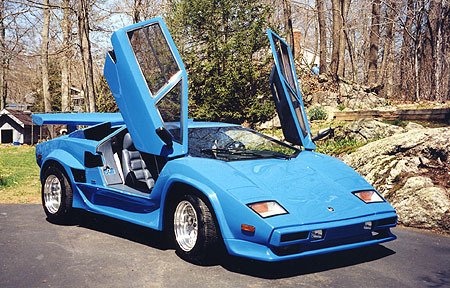 The color is Lamborghini Blu Nova (ocean blue) with dark blue leather interior. Car is beautiful! A real head turner. These cars start at $40,000 and take over a year to build. Save yourself the wait and some cash! REDUCED TO $30,000. 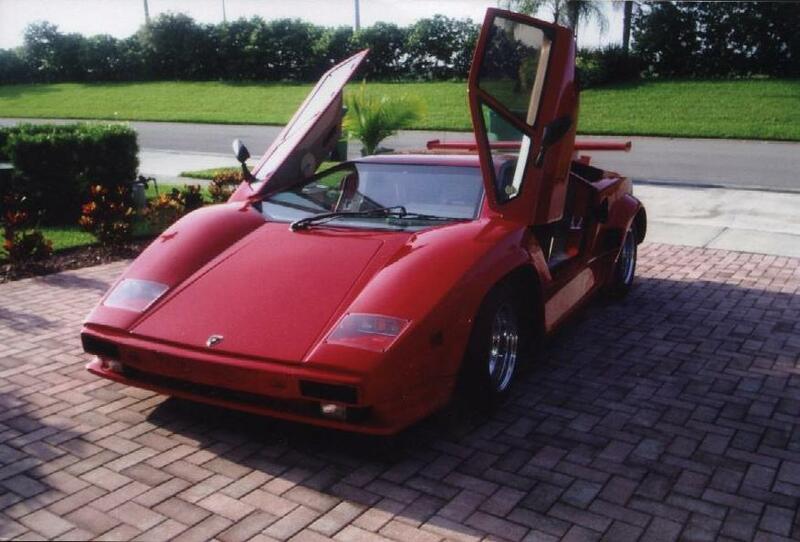 SOLD: Beautiful Red Lamborghini Countach replica. 80+% completed. 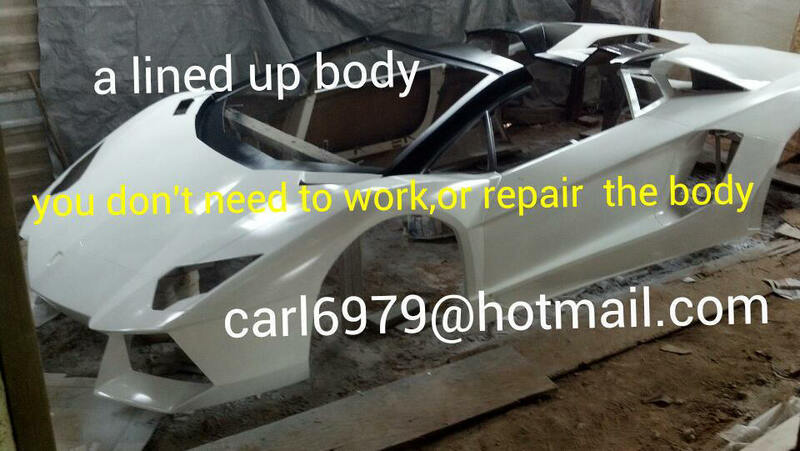 Body & Paint done professionally. Glass, lighting, grills, etc, intact. Motor v6, standard. Grey interior. Selling for $15,500.00US firm (less rims/tires) or $16,500.00US firm w/ gold Rims&Tires. SERIOUS buyers only. Clear title, no liens, papers available. Private, Canada. "Thanks so much for the use of your system to sell my car, much appreciated and I certainly could not have done it without you. 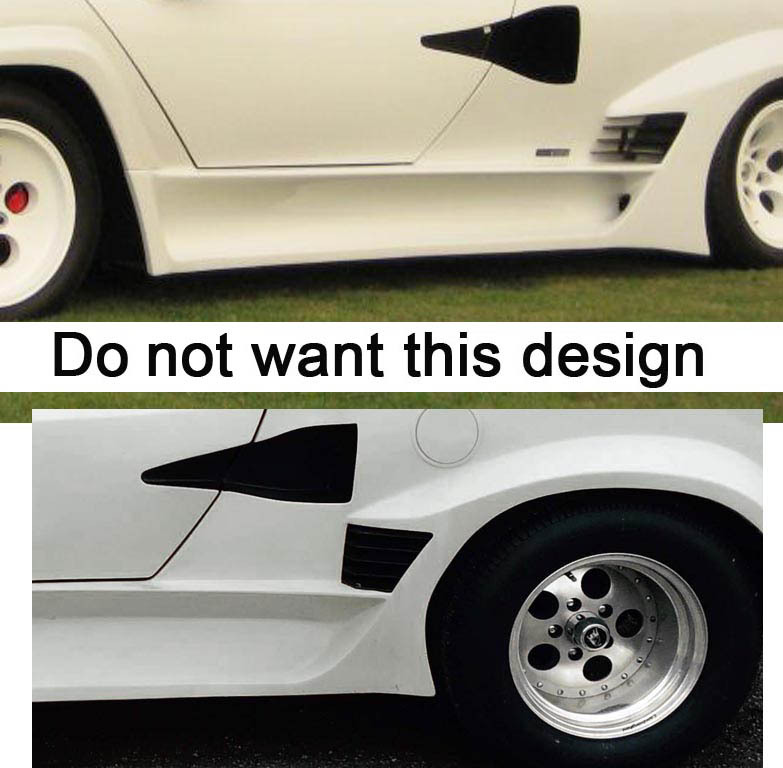 I appreciate your service, and look forward to finding my next replica on your website, the responses were tremendous"
SOLD: THIS IS A REAR CLIP I WAS MODIFYING TO FIT A 9 INCH STRETCH FIERO CHASSIS , IT IS NOT FINISHED. THESE PARTS WILL NEED SOME LIGHT BODY WORK. 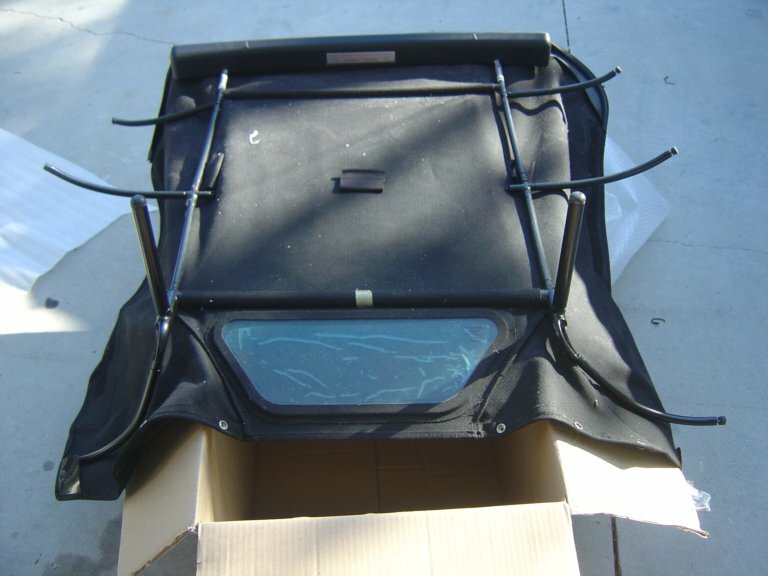 INCLUDES A REAR BUMPER, TWO REAR FENDERS, ENGINE COVER & COVER BEHIND SEATS NOW $950.00 THESE PARTS WILL BE SHIPPED FROM TEXAS. 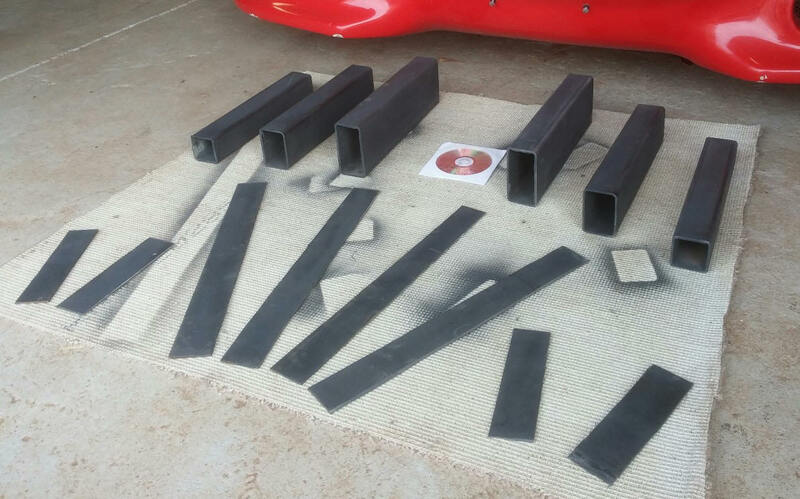 (rear body clip for 9 inch stretch Fiero 5 piece only) Serious buyers only SOLD: 1967 Ferrari Dino Replica. VW floor plan. wheel base 96". SOLD: Lamborghini Murcielago LP640 Replica. 80% Complete. V-6, Cold AC, Lights done, Running and Driving! 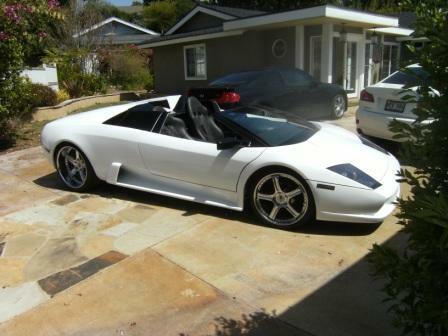 Sold for $9600.00 "I thank you very much for running my ad on the Lamborghini Replica website. The responses I received were many and it allowed me to get the price I wanted. You can now mark my Ferrari Replica sold". -E. Moody. 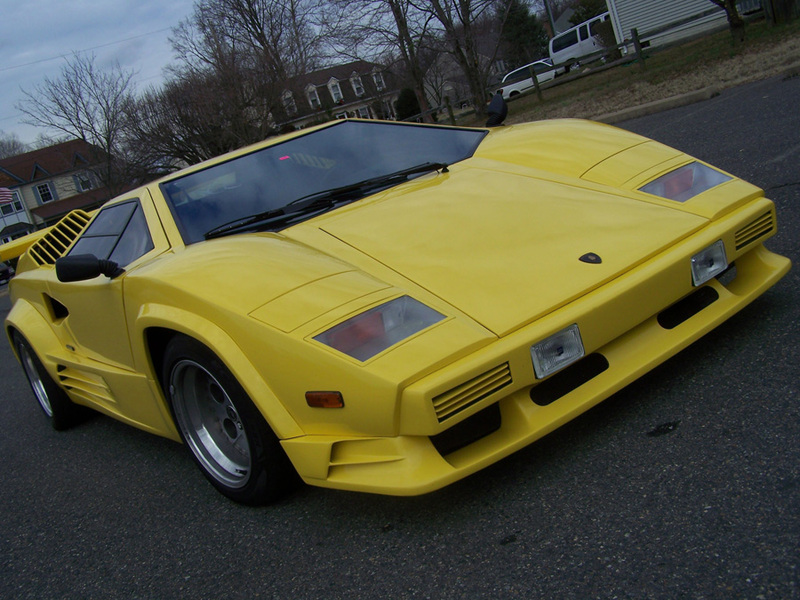 SOLD: DIABLO REPLICA. IN NEED OF REPLICA INTERIOR, 85% FINISHED. V8 ENGINE, STICK, NO TIME OR MONEY LEFT ,BEEN IN STORAGE. NEEDS NEW WINDSHIELD INSTALLED AND SIDE WINDOWS. NEEDS REPLICA WHEELS AND TIRES. FIRST 18K TAKES IT. 24K INVESTED. 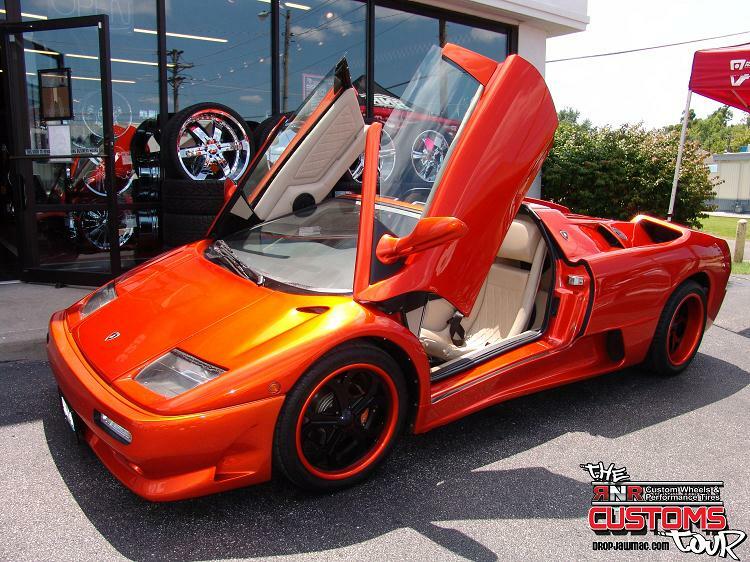 SOLD: 100% COMPLETE DIABLO ROADSTER MILLENNIUM EDITION. 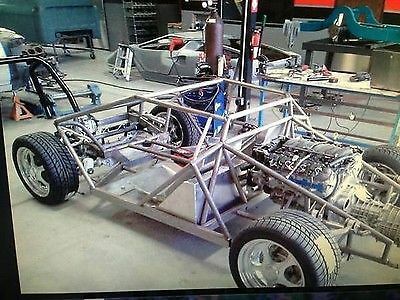 TUBE CHASSIS v8 LT1 CORVETTE ENGINE, FAST, PERFECT, POWER EVERYTHING, AMAZING!! 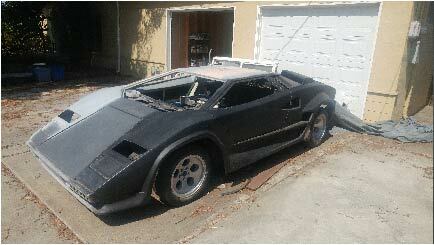 SOLD: Unfinished Lamborghini Countach. Complete tubular rolling chassis w / front suspension, Fiero steering column, pedals, brake booster, Porsche Transaxle, aluminum Buick V8 engine. Front 8X15 rims and tire, rear 10X15. Coil over rear suspension. The body is complete w/ doors front hatch rear hatch front spoiler rear valance and wing. SOLD: Lamborghini 25th Anniversary kit for sale. Kit car is from IFG in Calif. I owned a body shop for many years and built this car very strong with many unique items in it. 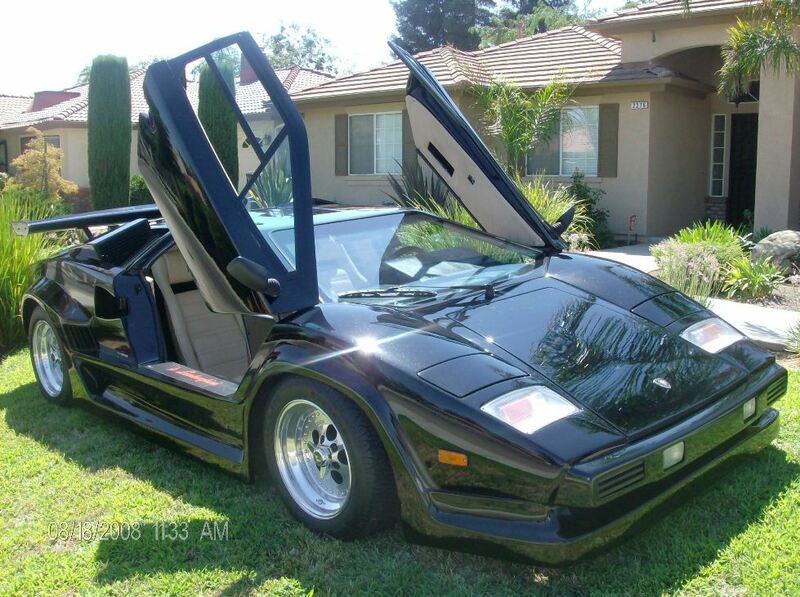 For the complete text click here..
SOLD: Turnkey Lamborghini Countach Replica. V6 engine. Automatic transmission. Runs, looks, and drives good. Interior needs a little TLC. Must sell $14,500 FIRM. LESS WHEELS and TIRES. 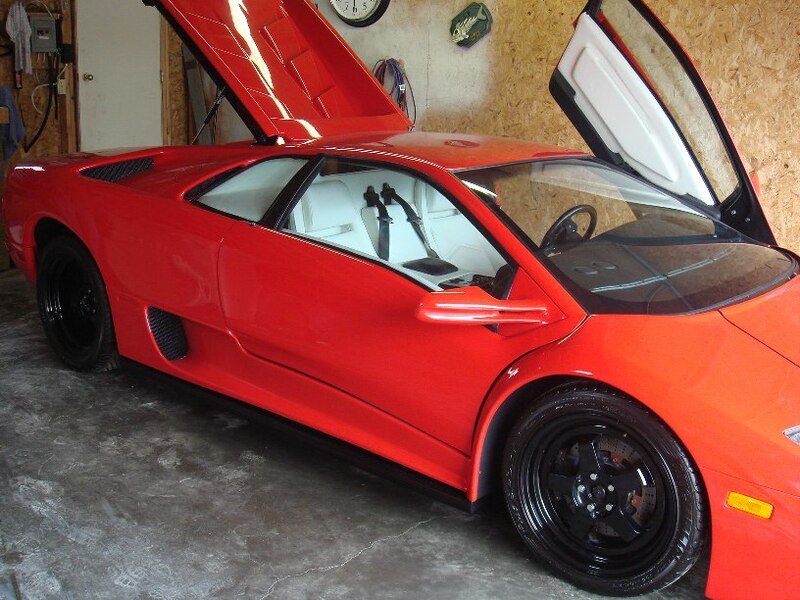 SOLD: Completed Lamborghini Replica VT Diablo Ninja Roadster Turnkey. The car is ready to drive, BRAND NEW. No need to repair or any additional installation, unlike other sellers 85% or 90% complete......This is 100% completed, test drive. Pontiac rebuilt V6 engine, manual transmission, A/C, spoiler, sporty silver color.... Asking price $42,000. 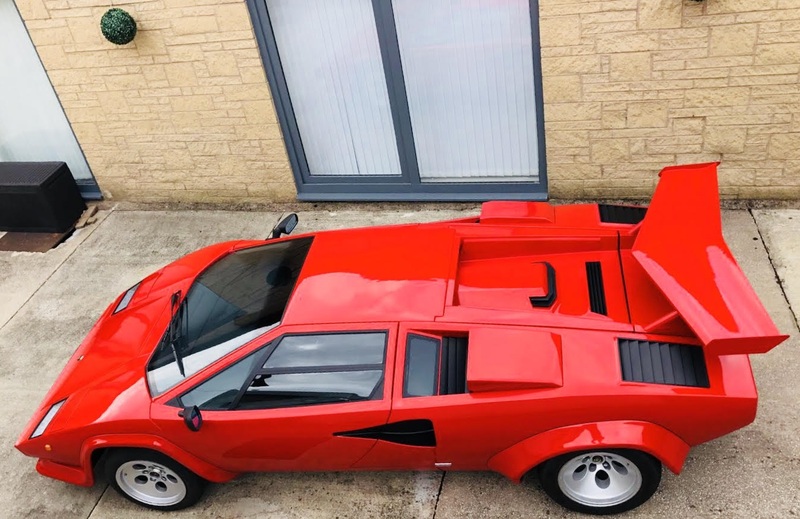 SOLD: (Listed at 30,000) Countach Replica. 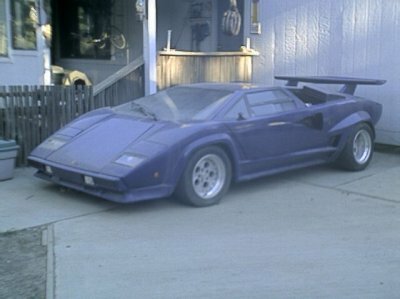 THIS IS NOT A FIERO MOUNTED LAMBORGHINI. 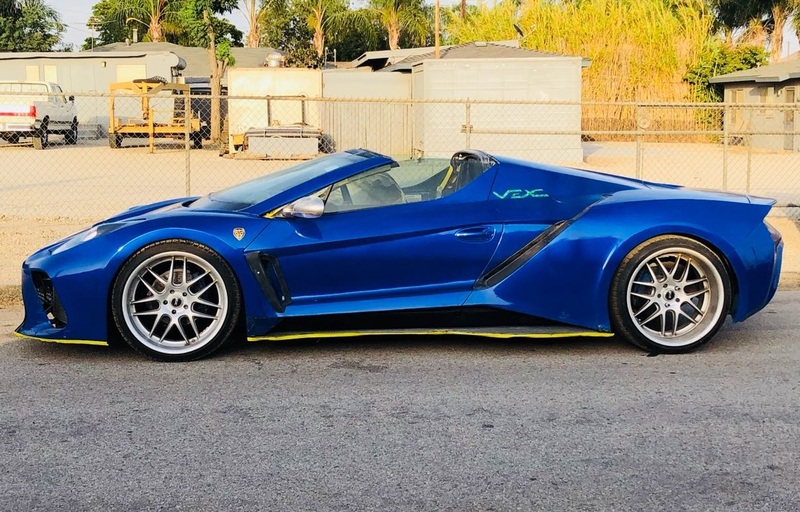 THIS CAR WAS HANDCRAFTED WITH MANY ORIGINAL LAMBORGHINI PARTS, V-8 TUNED PORT SYSTEM, THIS CAR IS CALIFORNIA REGISTERED CAR AS CUSTOM LAMBORGHINI REPLICA. RUNS VERY STRONG, NEEDS A LITTLE COSMETIC WORK. SOLD: 1999 fly yellow f355 spider, black interior, custom dash, 18 in wheels asking 22k. Click photos to enlarge. 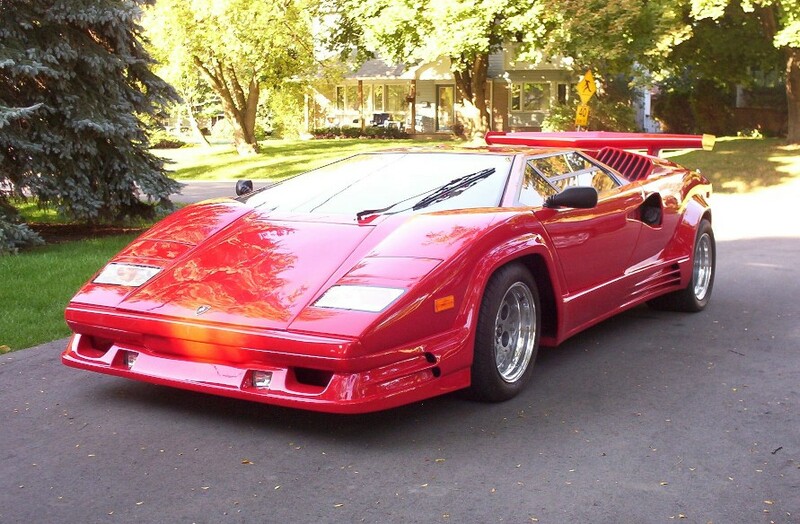 SOLD 25th Anniversary Lamborghini Countach Replica. Brand new rebuilt v-6 5 Speed engine with less than 20 Miles on it. 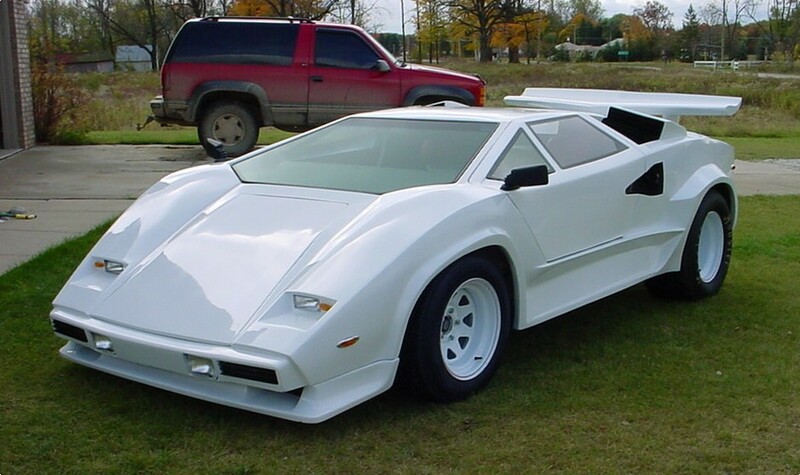 Built on a Stretched Fiero and is actual dimensions of real Countach. Turbo charged gm V-6 (water-cooled bearings) and rear view back up cameras and flip out monitor that is also connected, acts a rear view mirror. This car needs nothing and is the real deal, it is for driving and showing, leather seats, DVD/CD flip out monitor, rear-view cameras, anti-lock breaks, sunroof, Yokohama tires etc. Car comes with Professional appraisal for $47,500 with old engine, now worth even more with rebuilt engine. This car is an attention getter, just get ready, everyone will want a picture with it and no-one can tell it's not the real thing! This car is 100% ready to go! $30,000. 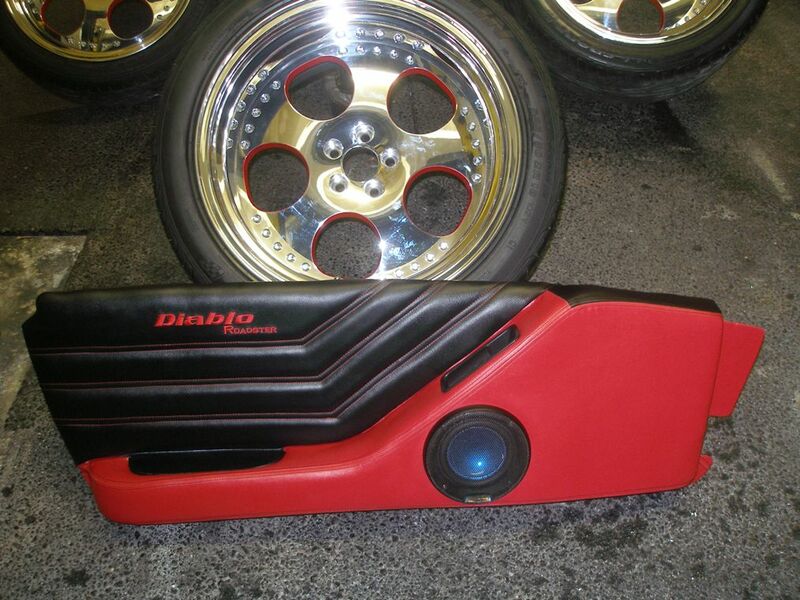 SOLD: Diablo kit. VT with all body parts. (Body shell, Doors, trunk, hood, bumpers, spoiler, 2001 interior with seats, dash and console. $2000 firm. Body kit can be seen by anyone who is within driving distance of North Carolina and serious buyer$ only please. .....Thanks for the Ad, It gave me lots of Calls. I will definitely recommend the site. Thanks, Mirelio. 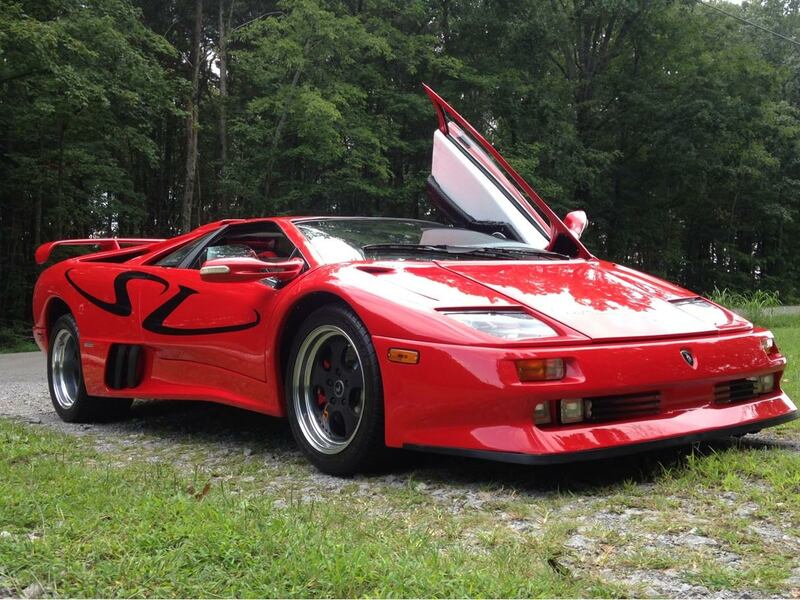 SOLD:: Diablo 6.0 replica. Built on 87 Fiero GT chassis with 2.8 stock V6 w/ 5 speed trans. It's about 70% built. 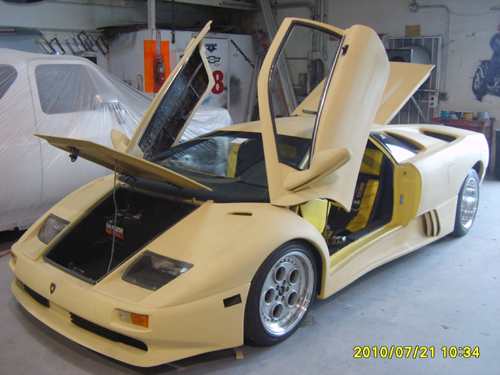 It is a North American Exotic Replica kit with comp 2001 replica interior. I have 2 frt. windshields, original tail lamps, and replica wiper that comes with the car BUT no side , quarter glass. You will need Paint, Upholstery, Rims, Tires and head lights to complete the car. Personal reasons force me to sell. If you want to see the photos, you must send E-mail. I'm offering this car at $17,900. SOLD: 3.4DOHC 24 valve twin turbo/ twin intercooler. Nearly $40.000 invested. Must sell this month for $28,000. Drive it away. Contact Pablo. Located North Lauderdale, Florida. 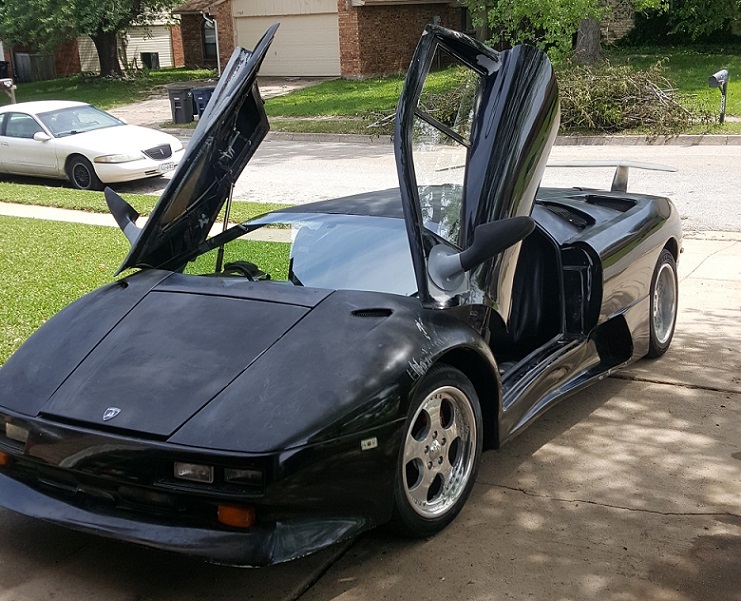 SOLD: Lamborghini 25th Anniversary Replica Body kit with 5" stretched 1988 Fiero 2.8L V6 5 Speed chassis, wheels and tires included - Needs assembly. Asking $7,000 - Located in Los Angeles California. 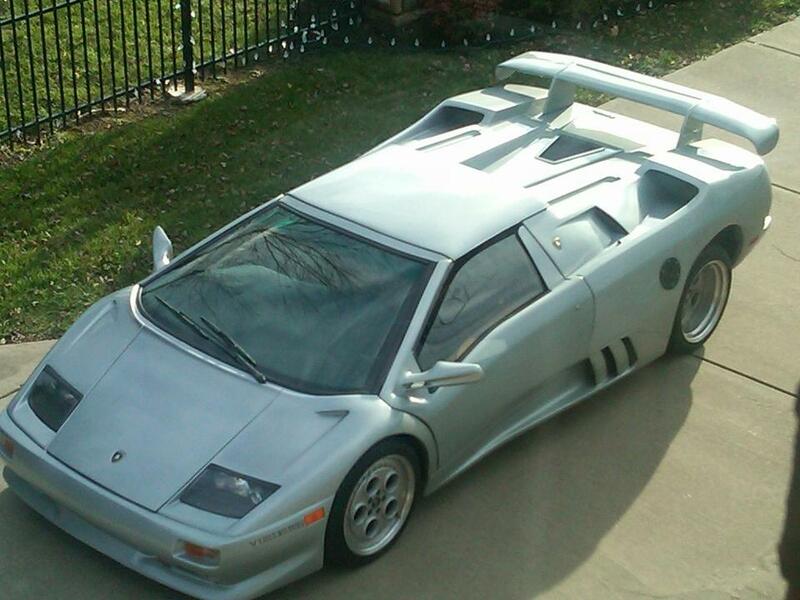 SOLD: FNFAB replica of the Aluminum Wing used on a Rain-X sponsor Lamborghini Diablo race car. One piece 78 inch wide T6 aluminum skin. Nine internal ribs, two T6 aluminum inner wing spars. Four attachment points. Weighs only nine pounds. $999. Learn how we built this wing in the MEMBERS AREA of this website! 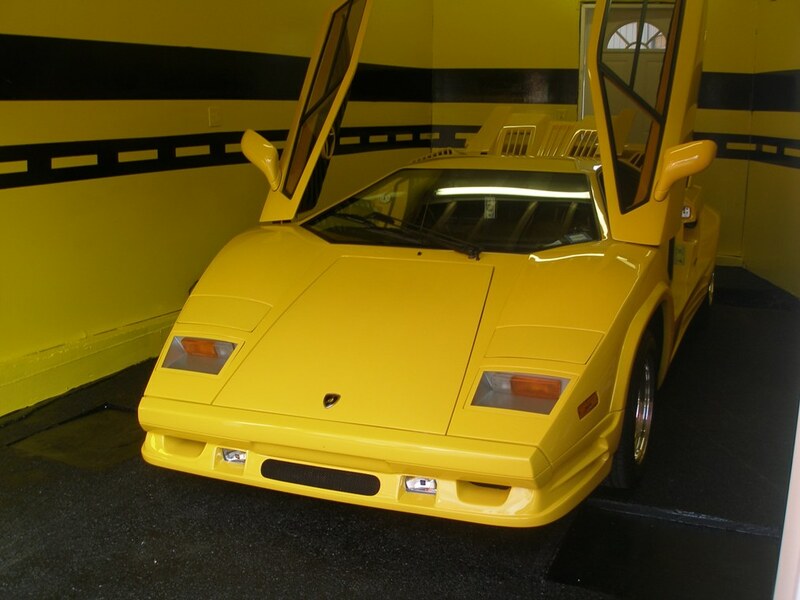 SOLD 1989 Lamborghini Countach 25th Anniversary Replica. Completely finished in almost like new condition including a new paint job and interior, runs amazing, everything works including stereo, backup camera, air conditioning, remote control activated doors and engine hatch. This is no Fiero, it has been built with performance in mind, under the hood is a completely rebuilt 3.8 Turbocharged Buick Grand National engine that torques out at 500 FT. Lbs, that’s Viper territory! (Engine has less than 1000 miles). The car has won several shows and is an amazing head turner where ever you go. Replica interior with VDO gauges. $40,000. 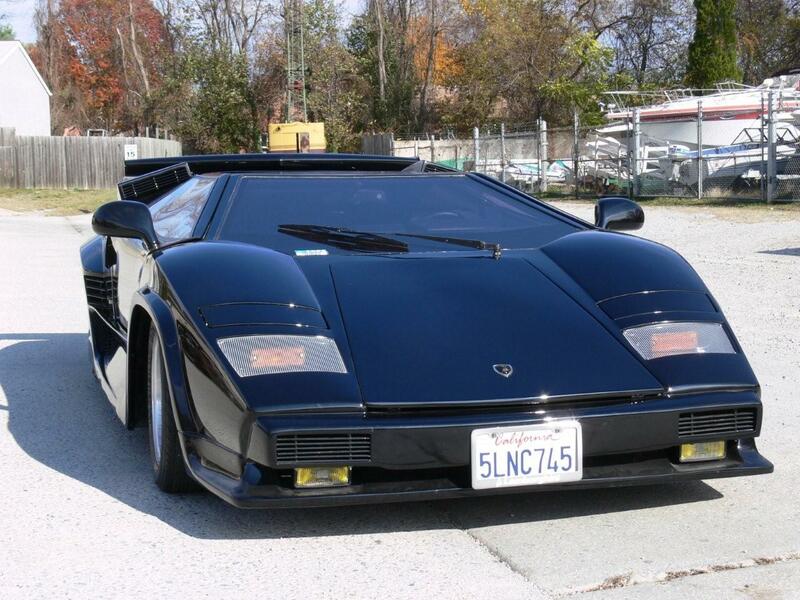 SOLD: 1989 factory built ASVE Lamborghini Countach 5000s replica. For more information contact Chris. 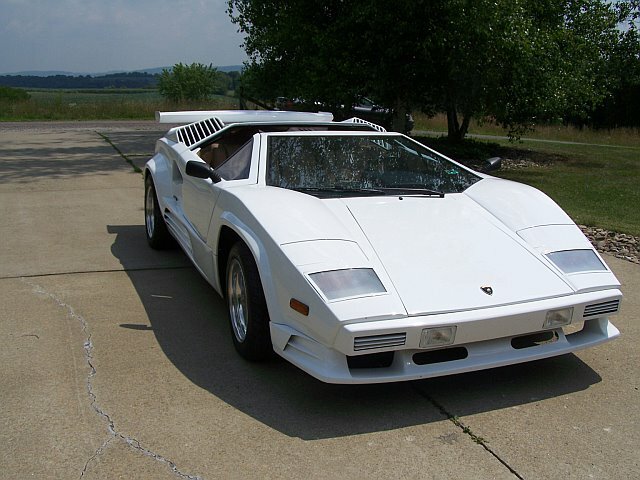 SOLD: 1985 Lamborghini Countach Replica professionally built by ASE GM certified technician. Built on a 1986 Pontiac Fiero, rebuilt 2.8 board 30 over. All parts on car new. One hundred percent street legal and inspected through New Jersey. Too many options to list. Owner has records of maintenance and receipts. It's a beauty. 37,000. 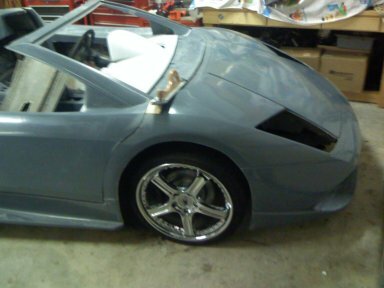 SOLD: Lamborghini Murcielago Replica Professionally Built Customized 2005 Convertible has removable top. Custom exterior body has Aquios Titanium Color for a sharp look. 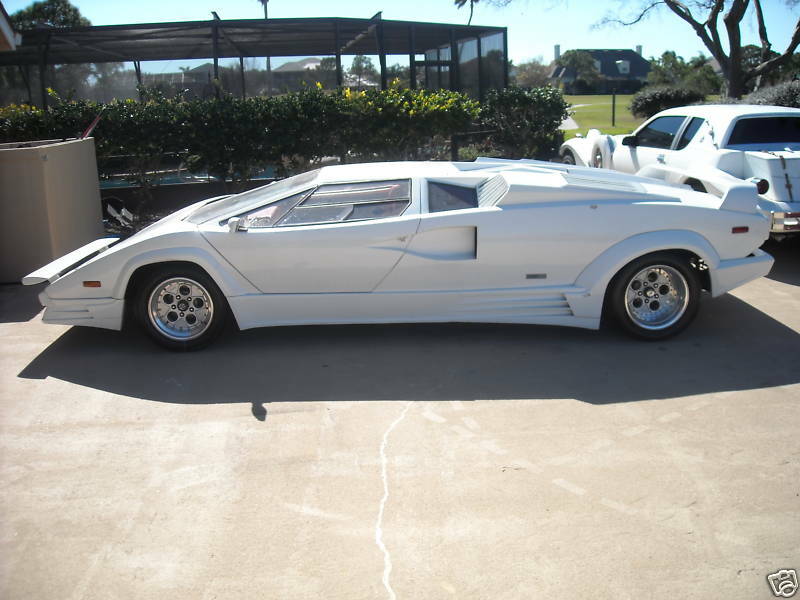 This customized kit car was built on a stretched Pontiac Fiero chassis with a 2.8 liter V-6 GT Block Motor, placed mid-ship, transverse with stock insulators. The power plant is a 2.8 liter all aluminum V-6 GT, 190 BHP Fuel injected motor. The motor is backed by a 3 speed automatic (unisex friendly) in its stock location as a transaxle with CV joints. The transaxle is an LSD unit (Limited Slip Differential). Has stock exhaust with after-market Monza tips......... Learn more.